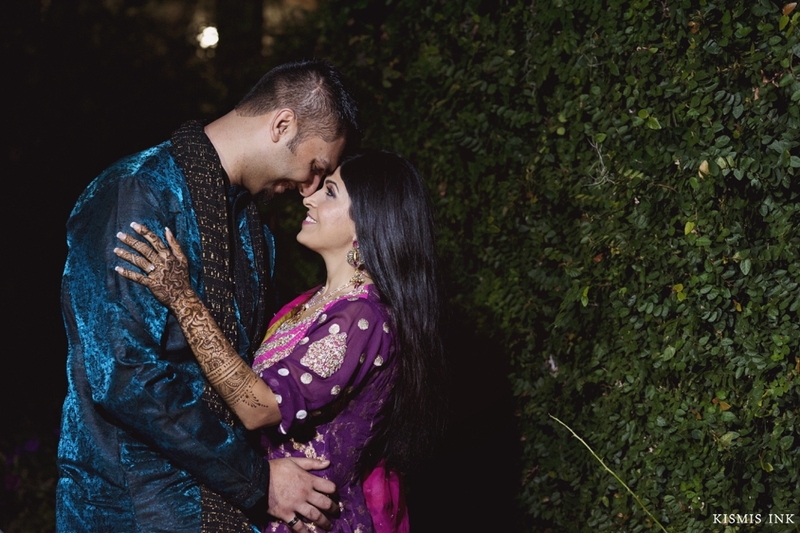 If Jasmin and Hameed’s engagement session was to be any indication of their upcoming wedding, then it was to be without a doubt one of the most energetic, colorful, and fun-filled weddings I’ve had the pleasure to experience. 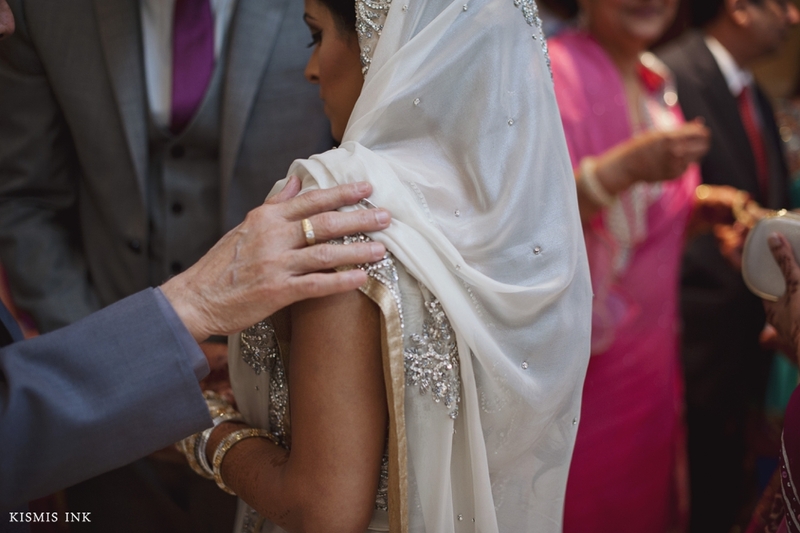 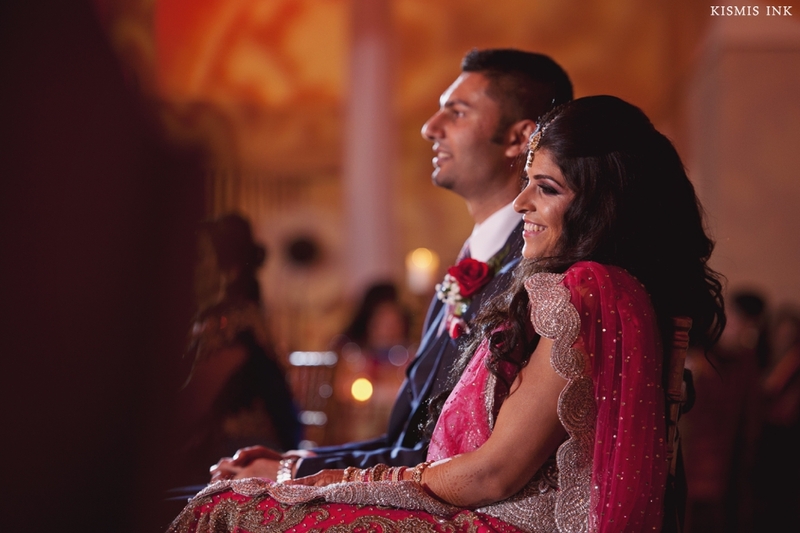 There are endless reasons we love documenting multi-day wedding celebrations, including getting to spend extra time with our couples- especially ones as sweet, kind-hearted and accommodating as Jasmin and Hameed. 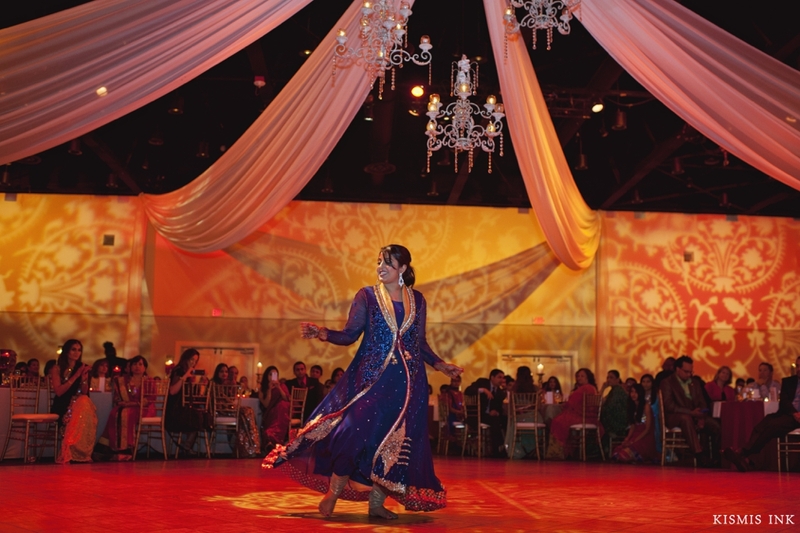 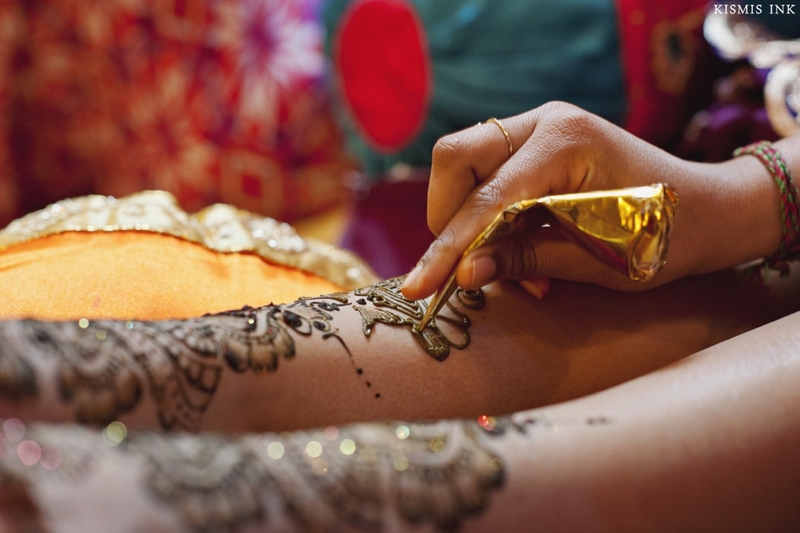 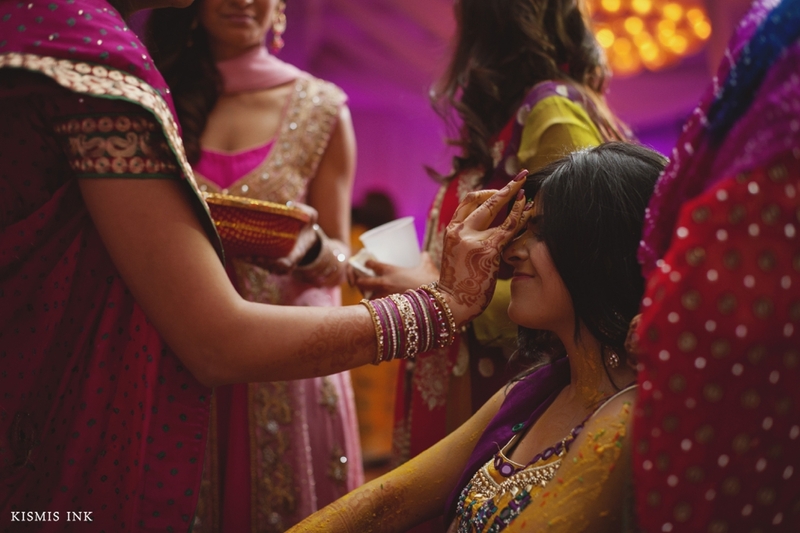 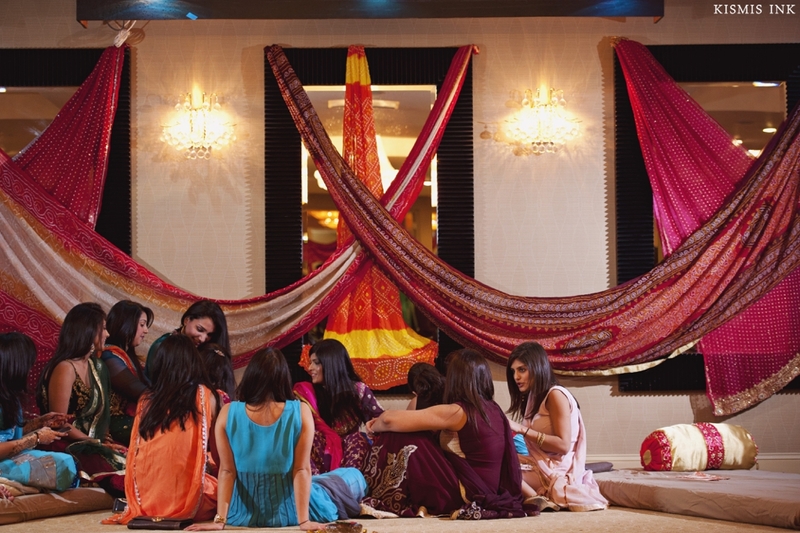 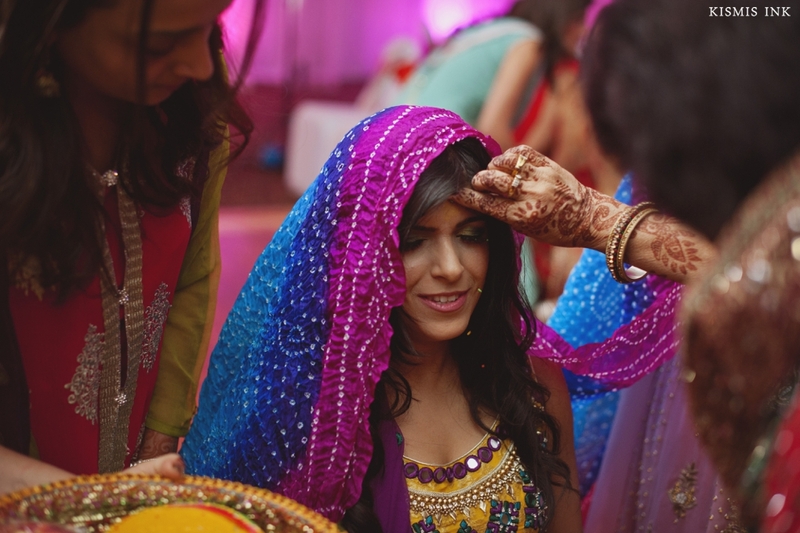 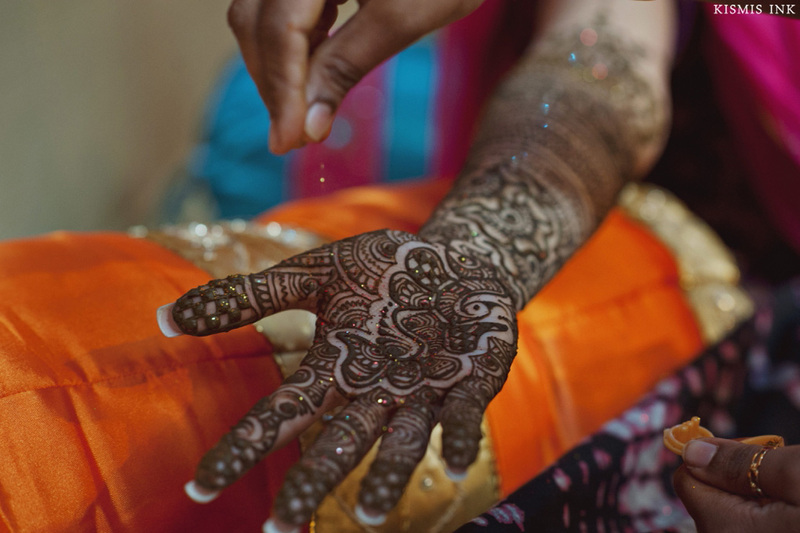 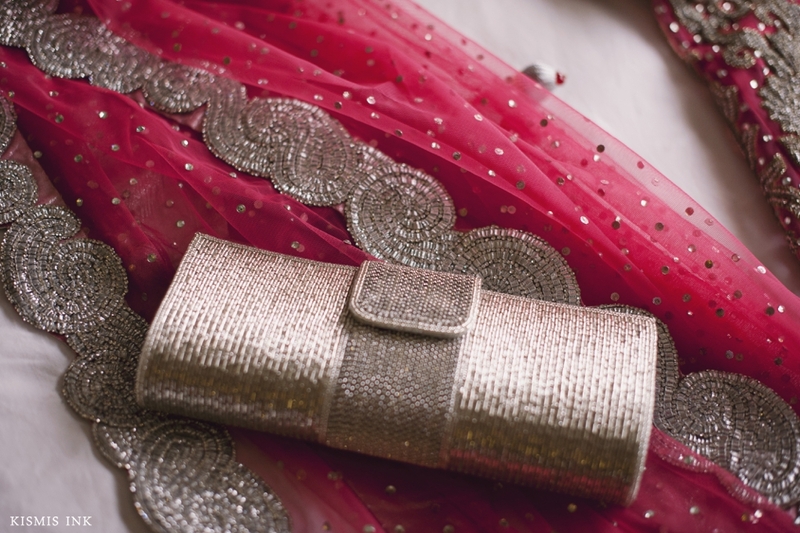 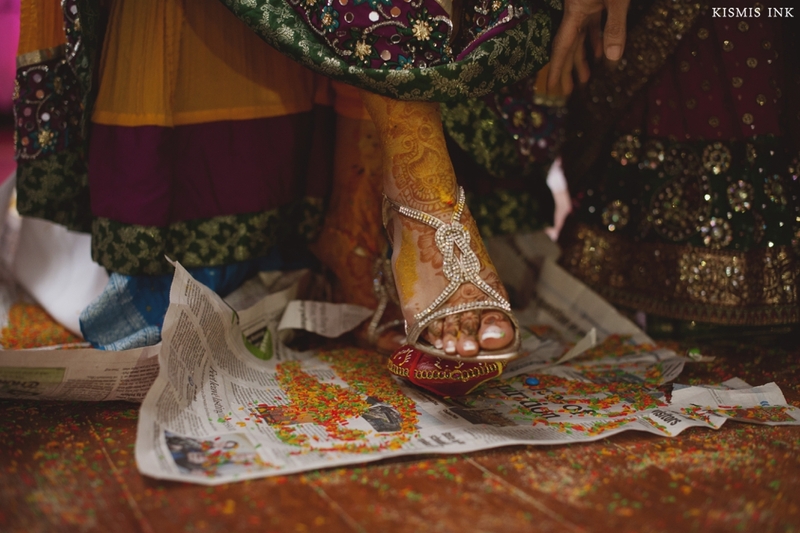 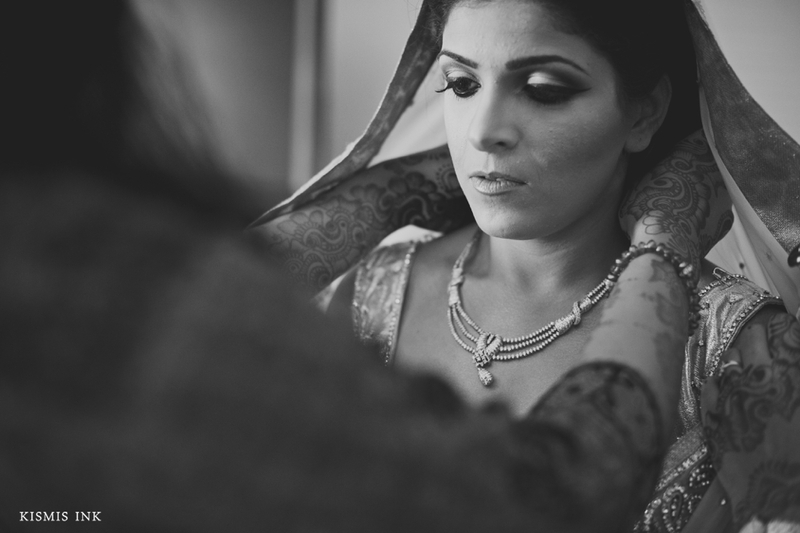 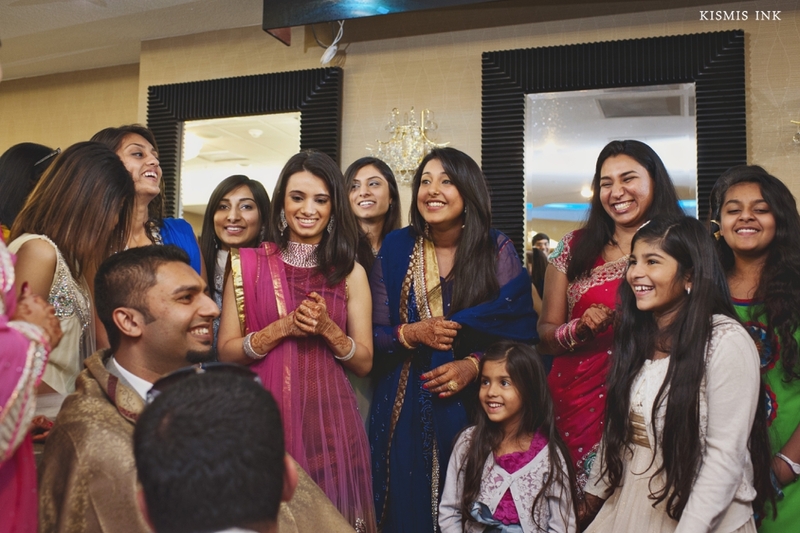 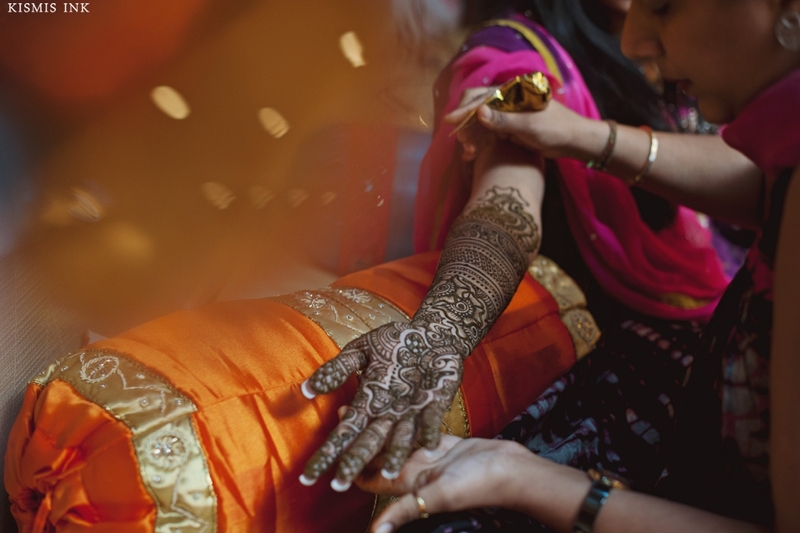 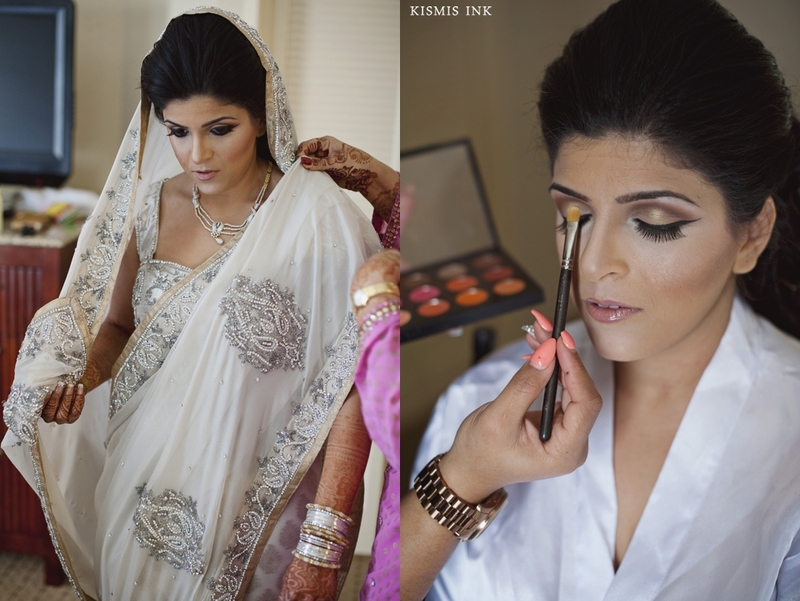 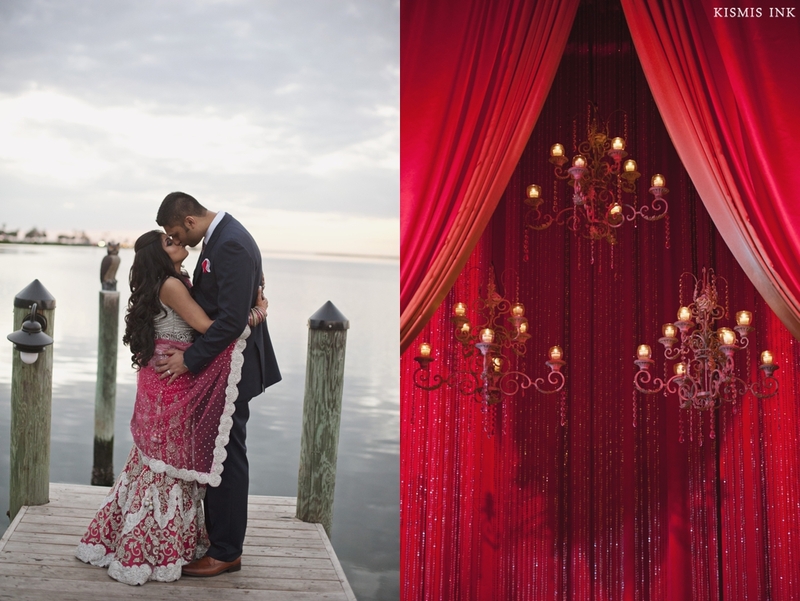 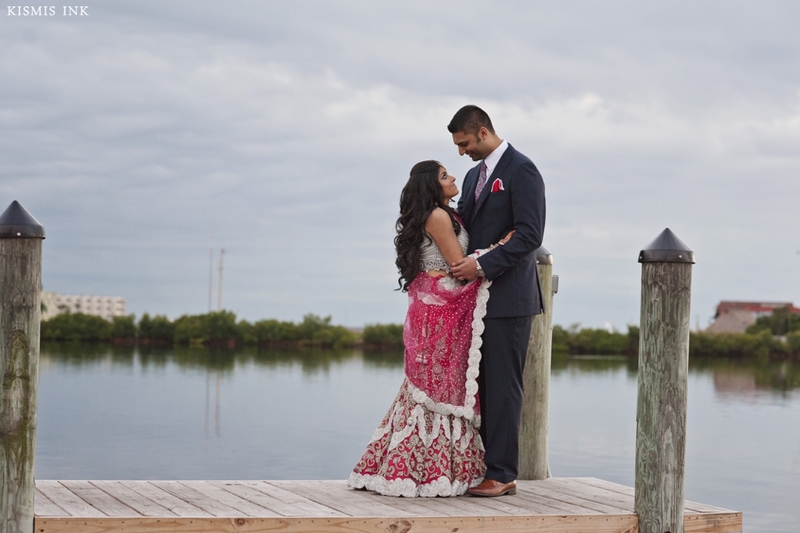 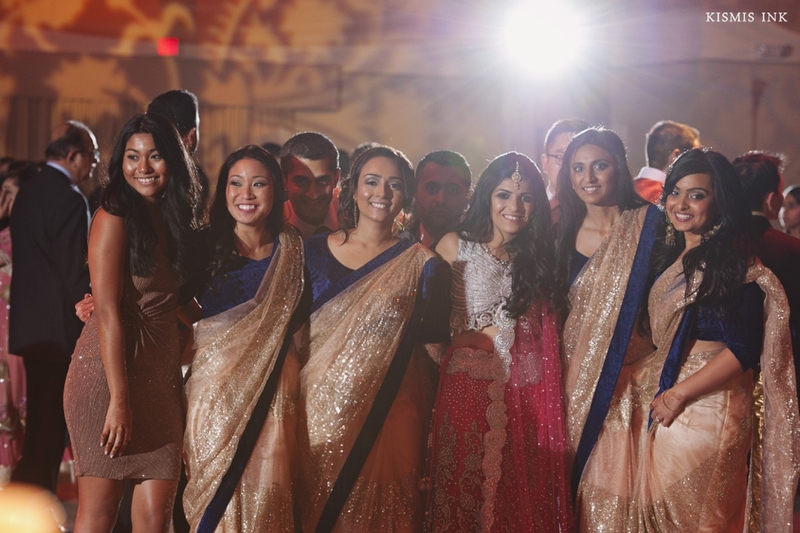 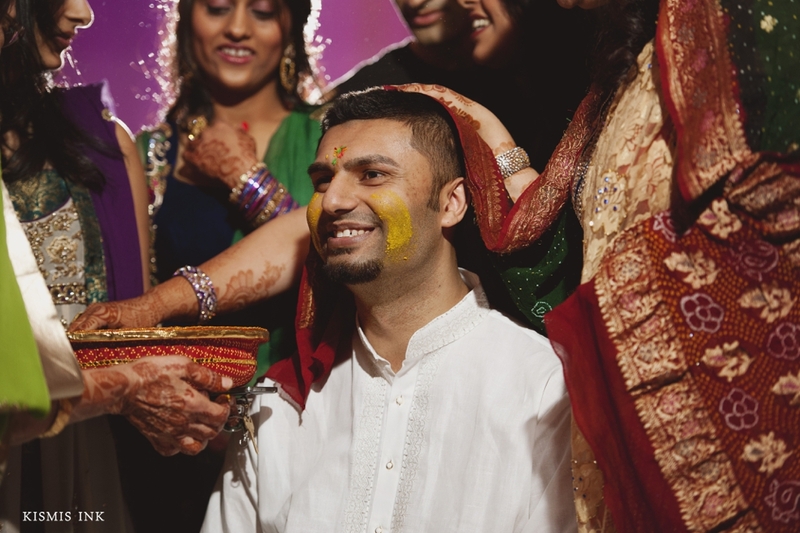 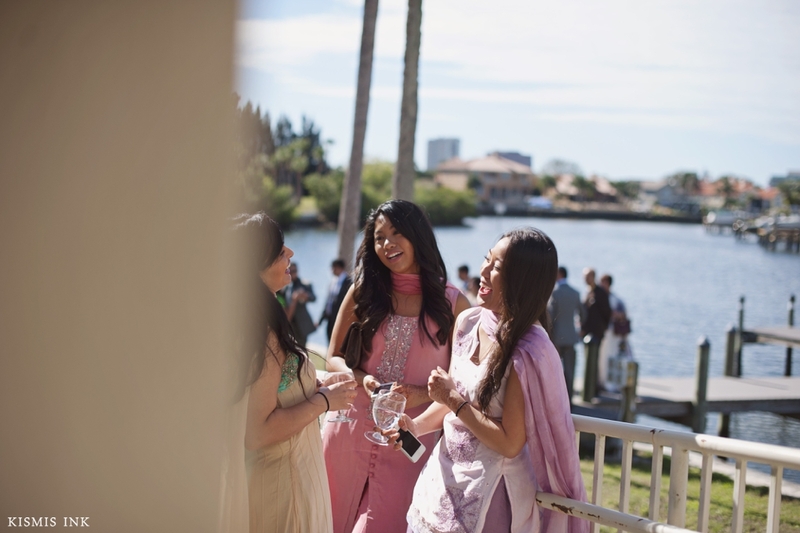 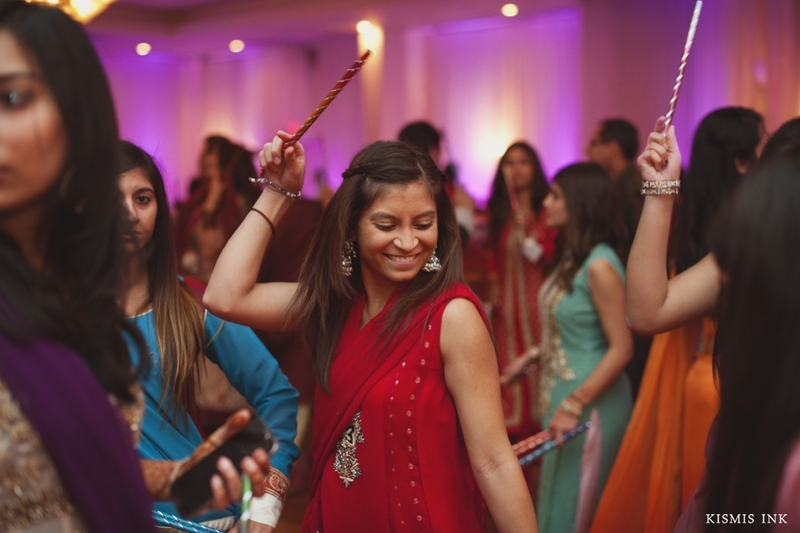 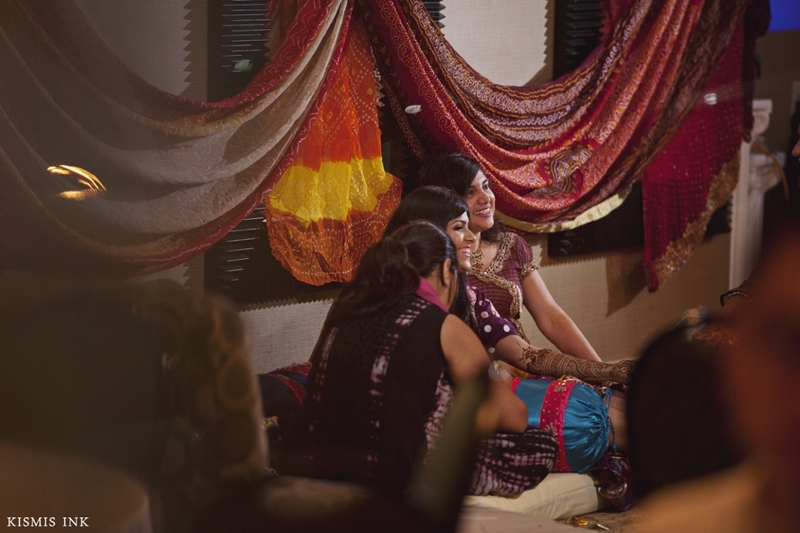 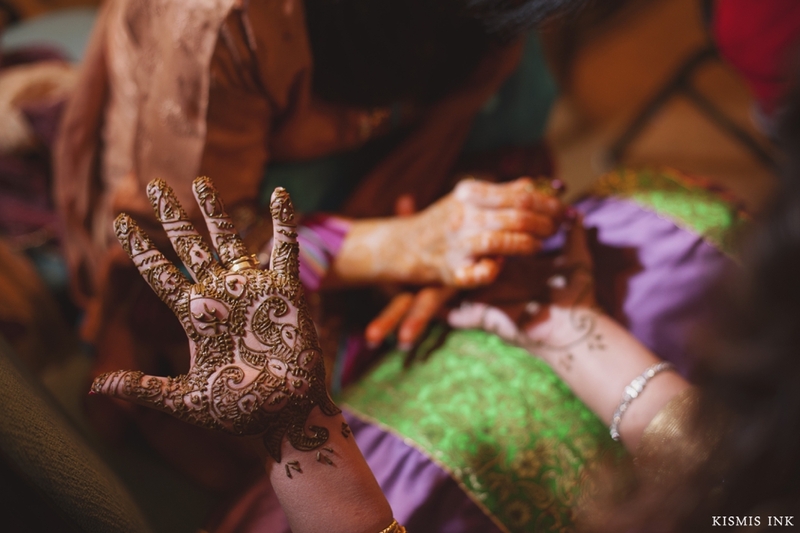 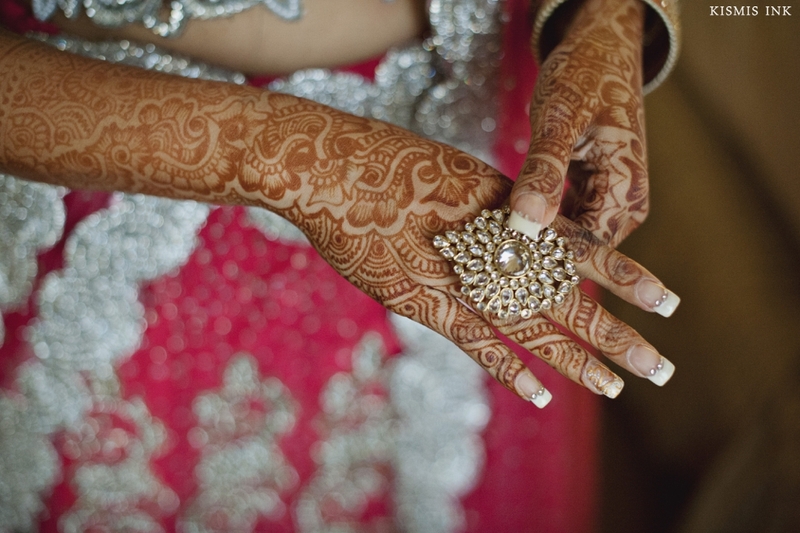 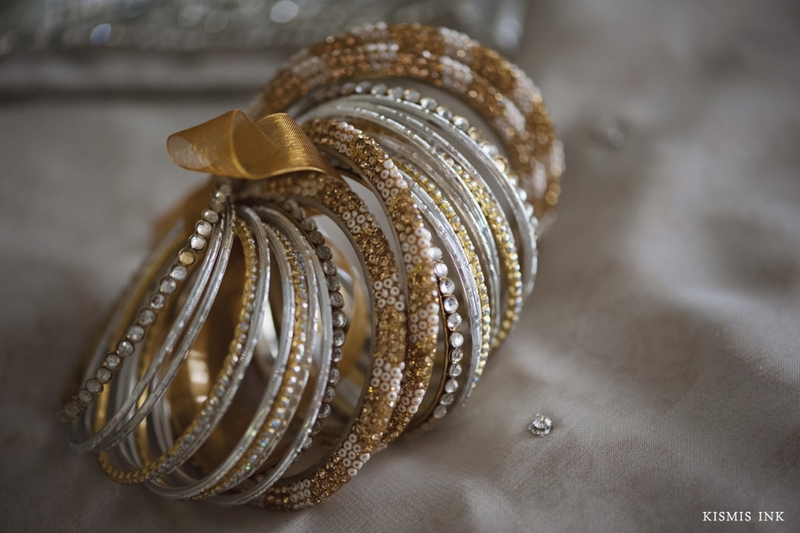 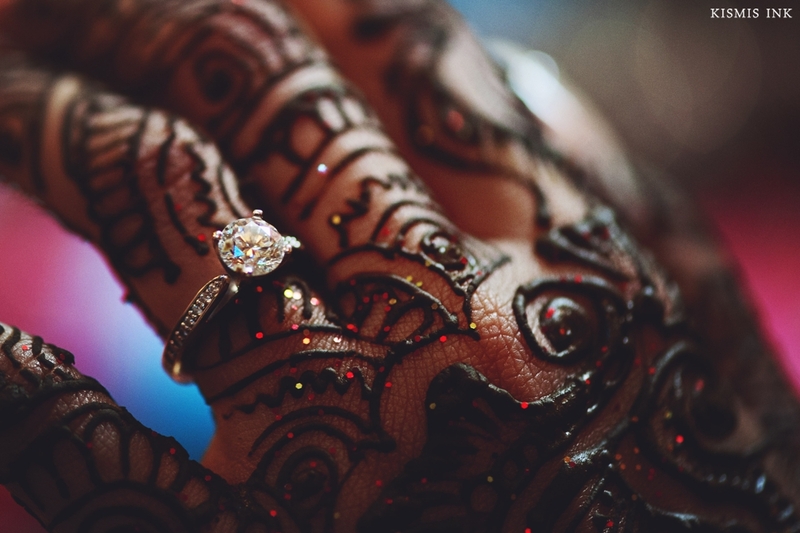 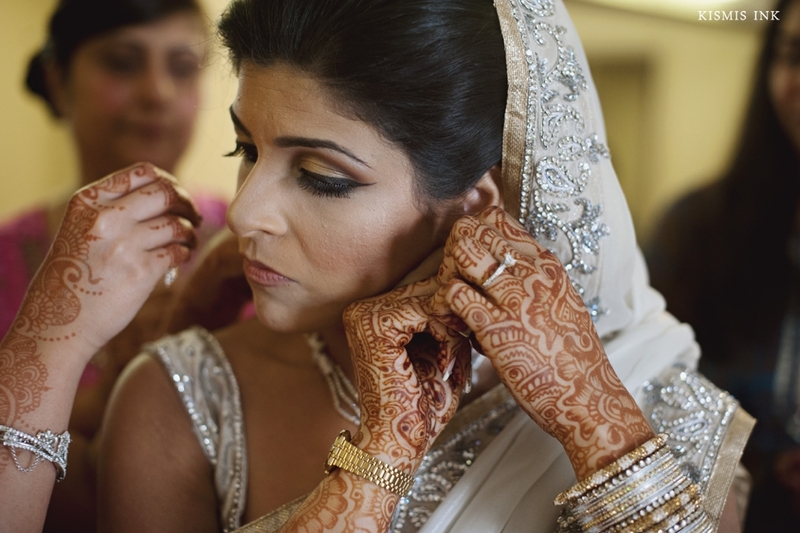 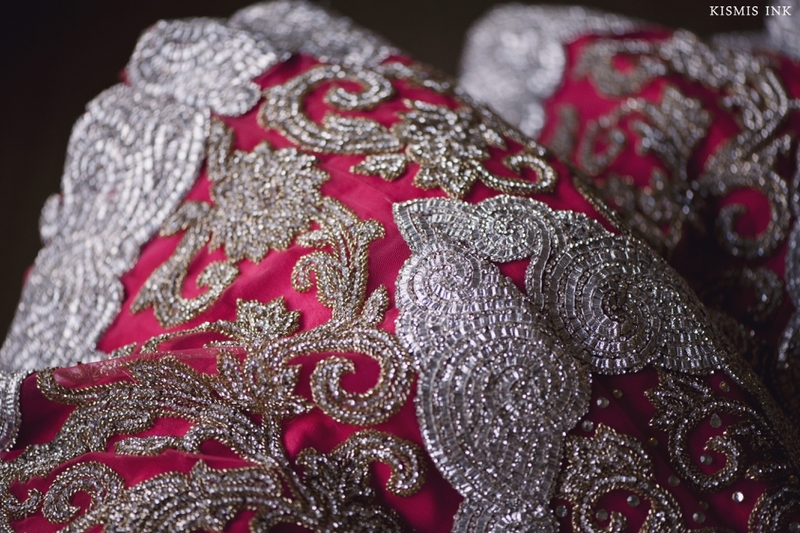 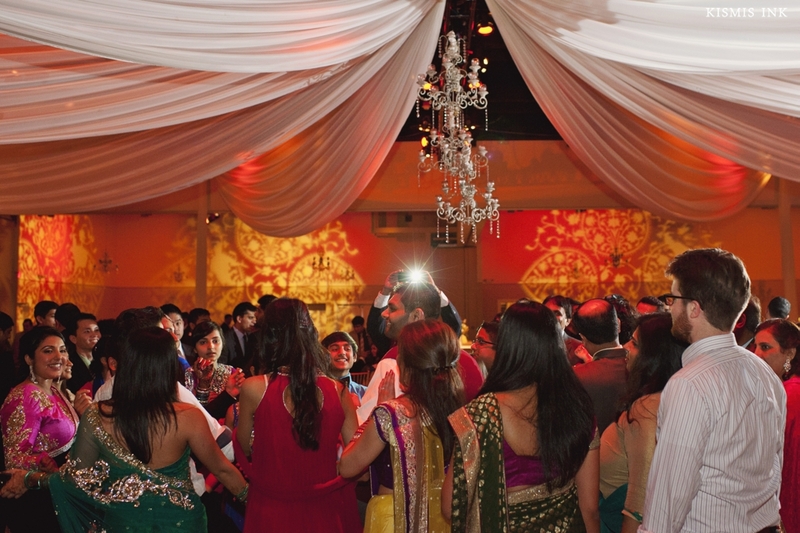 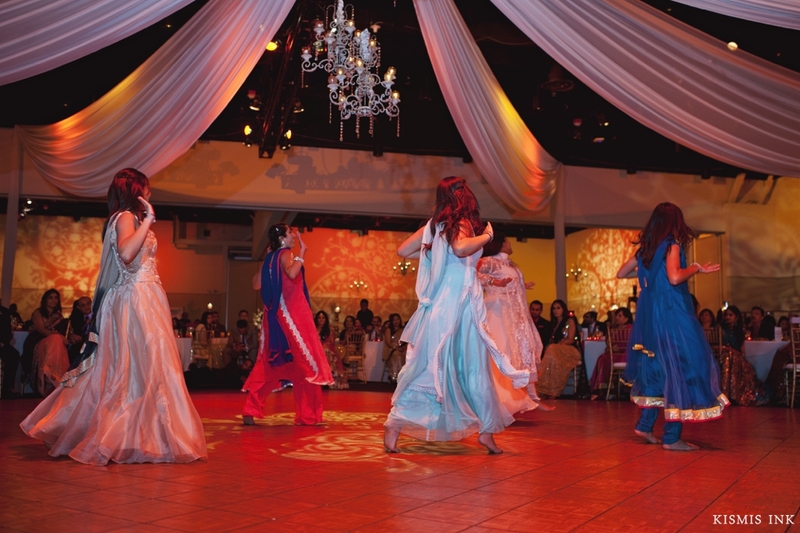 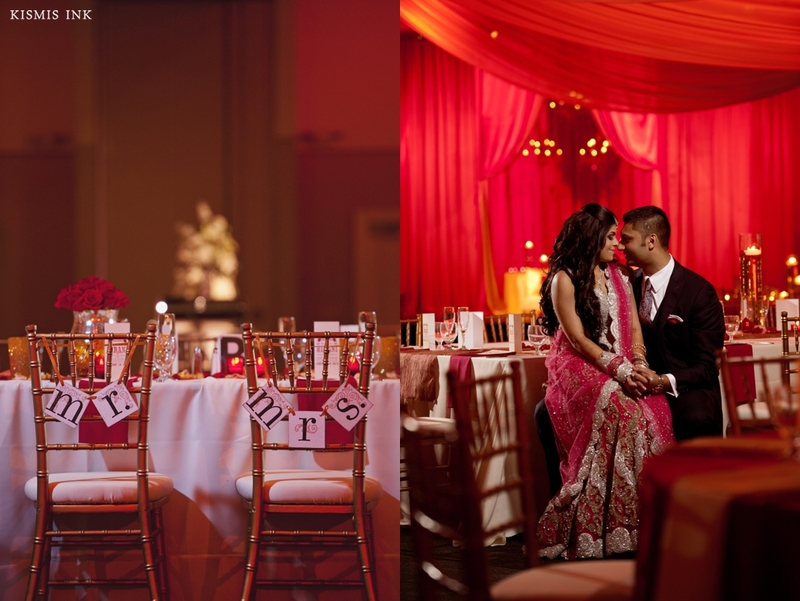 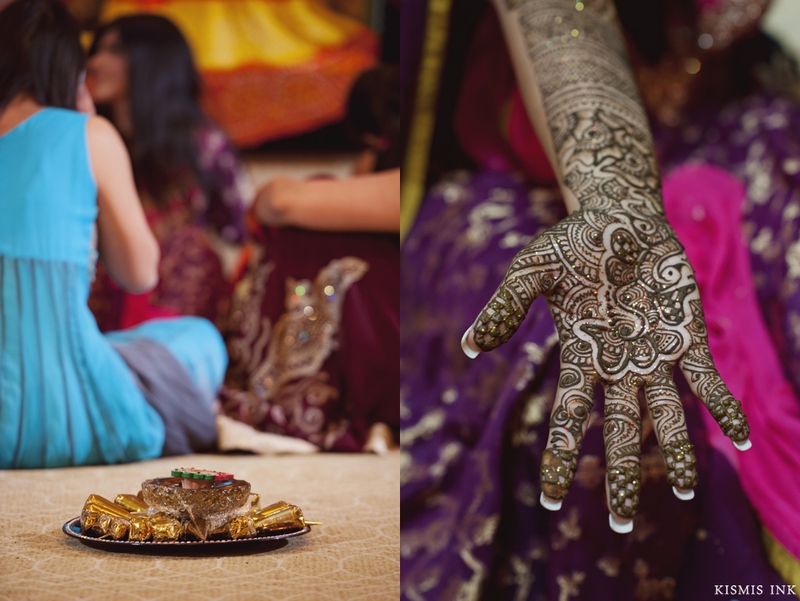 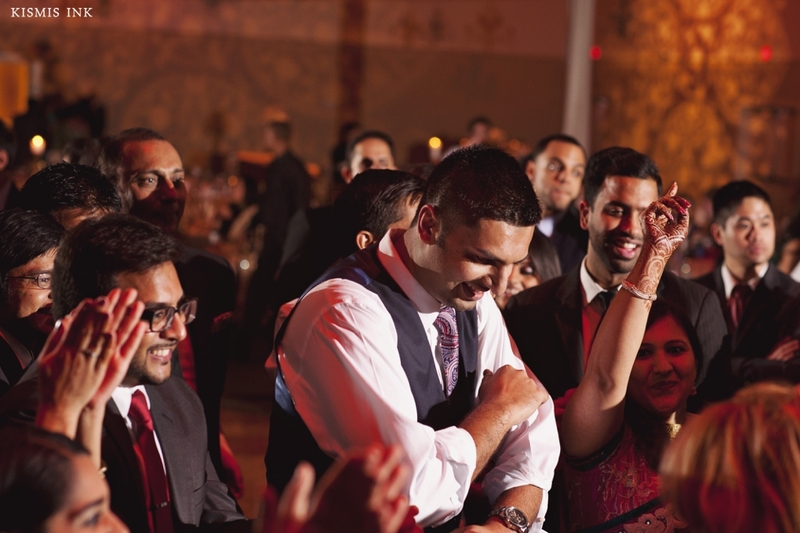 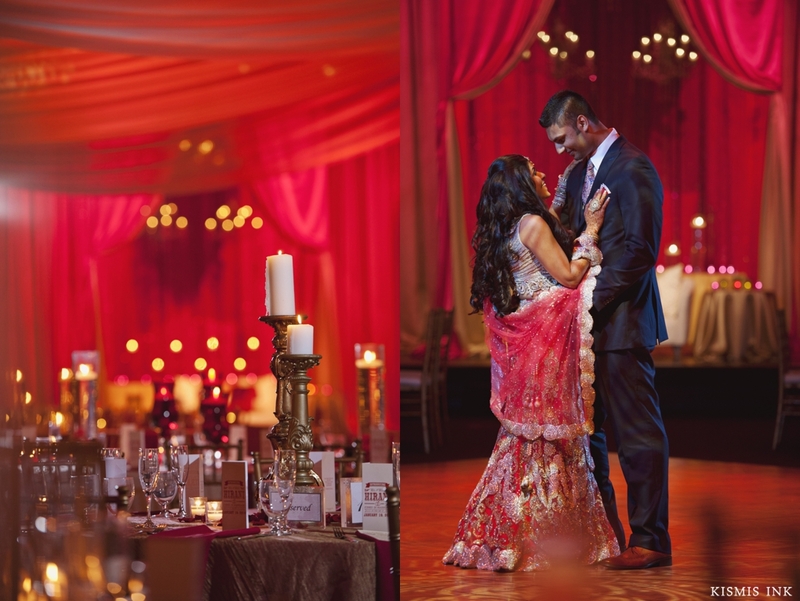 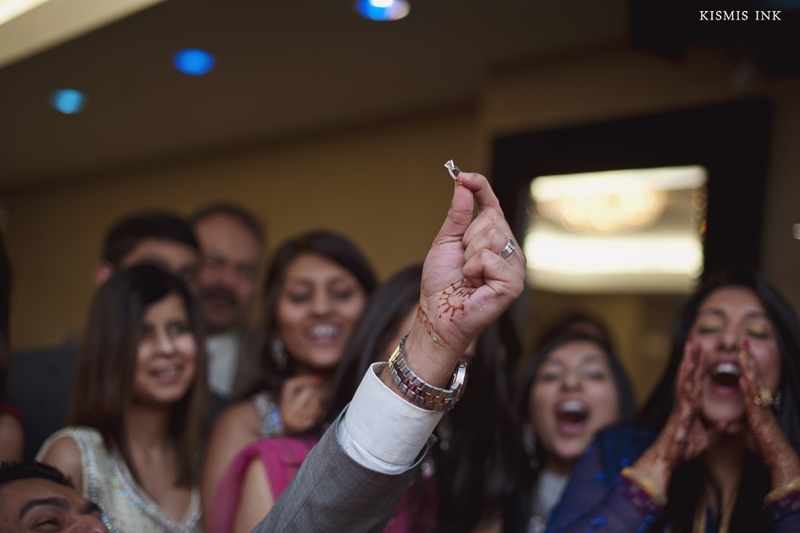 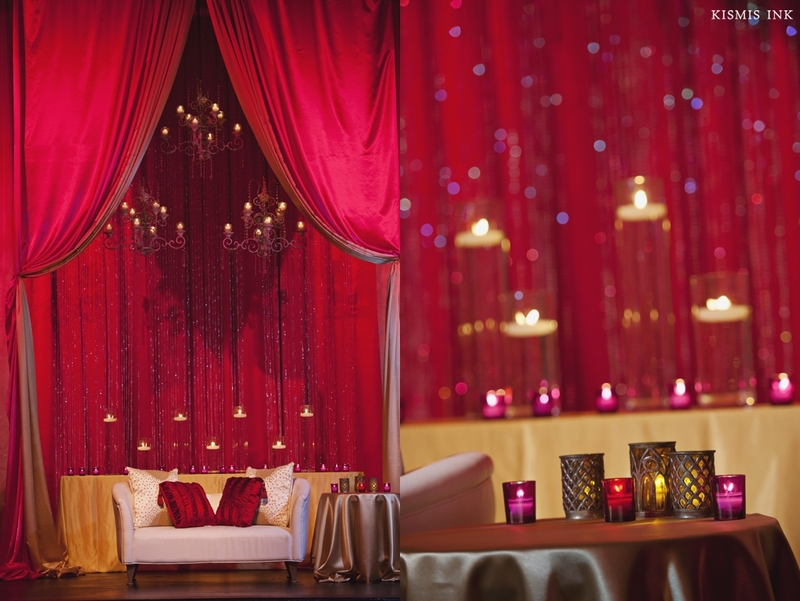 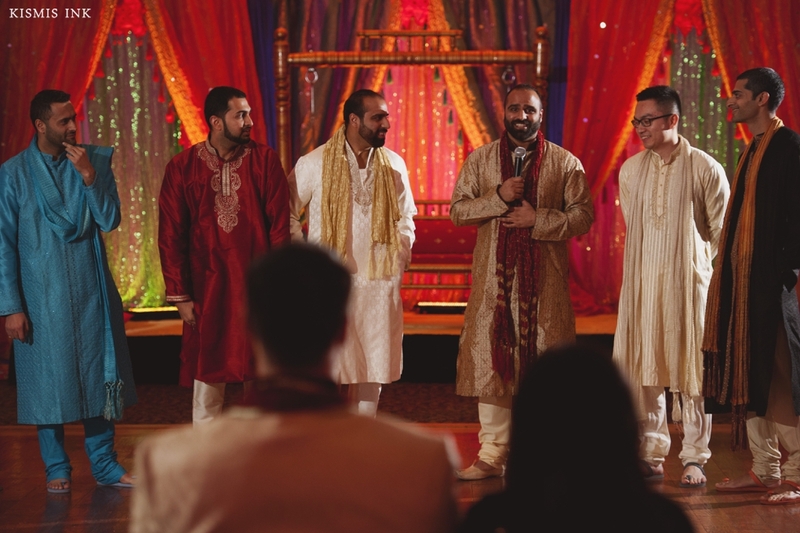 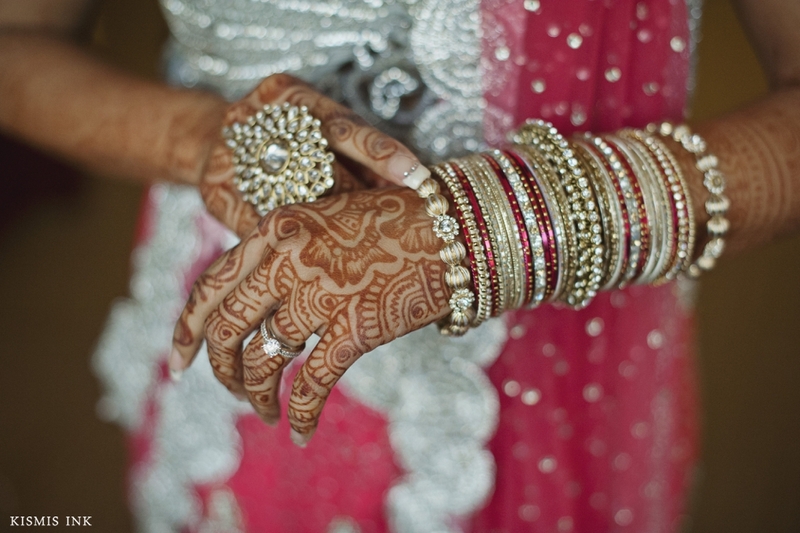 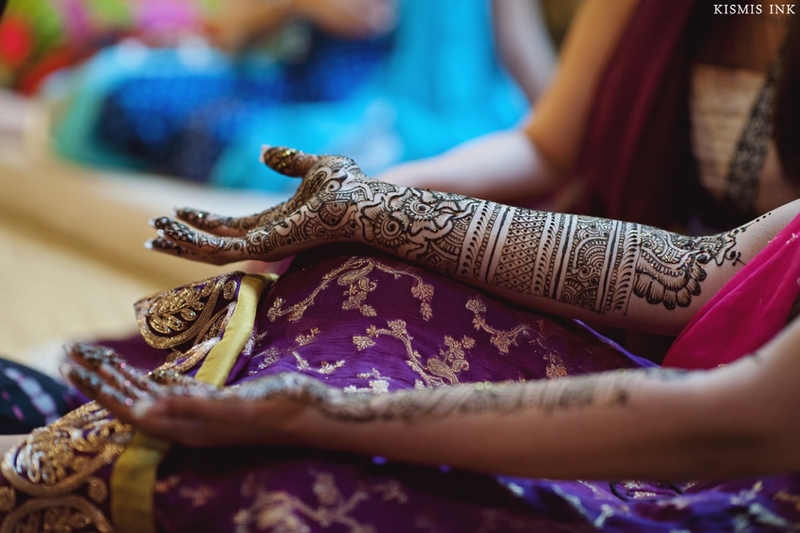 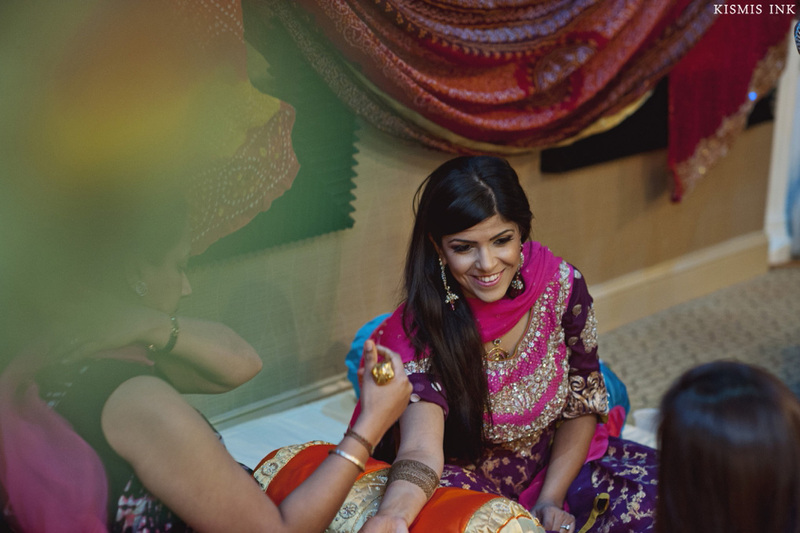 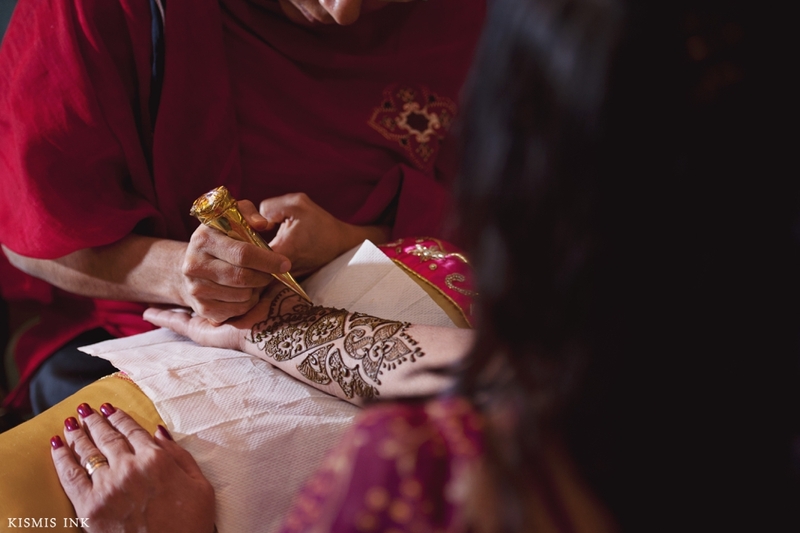 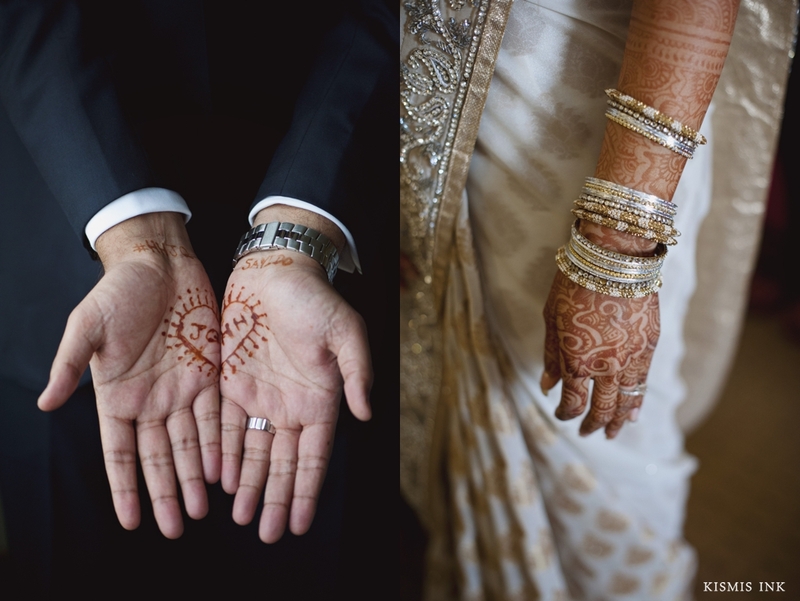 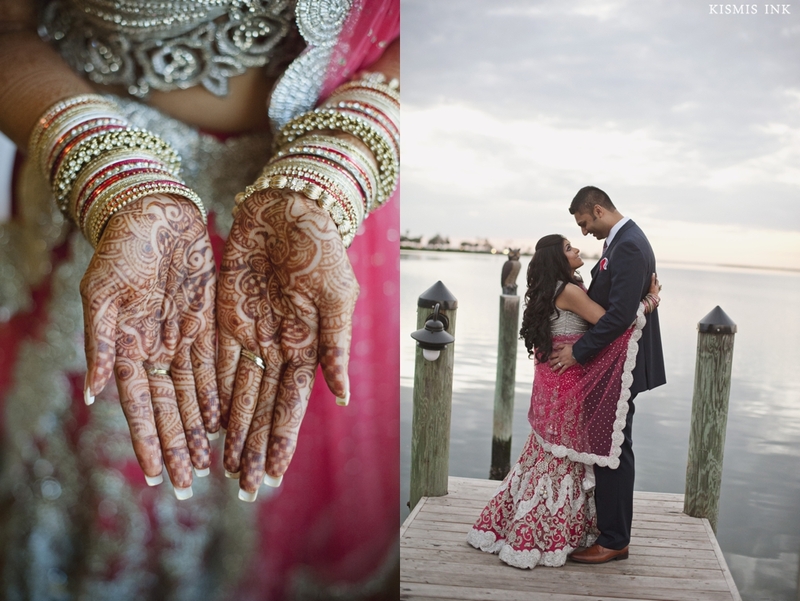 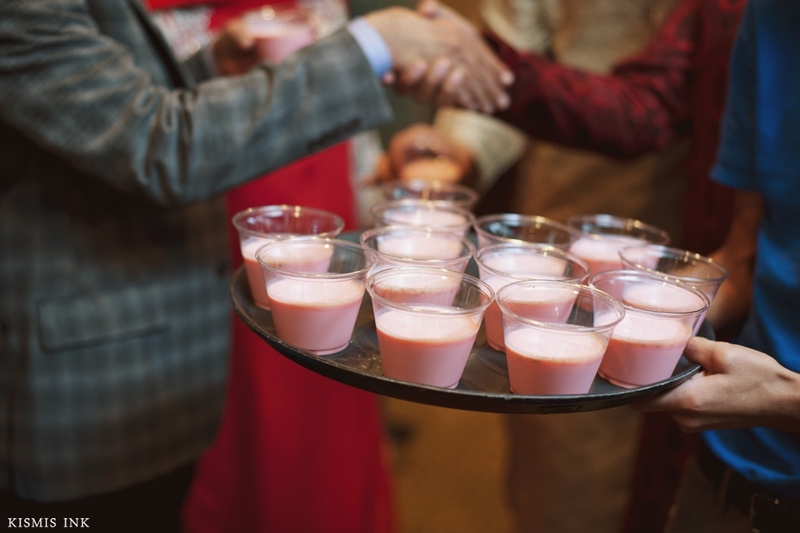 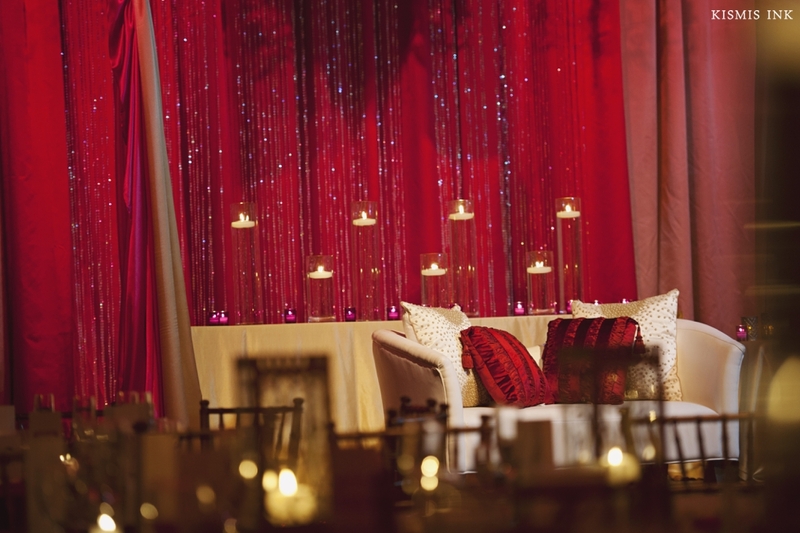 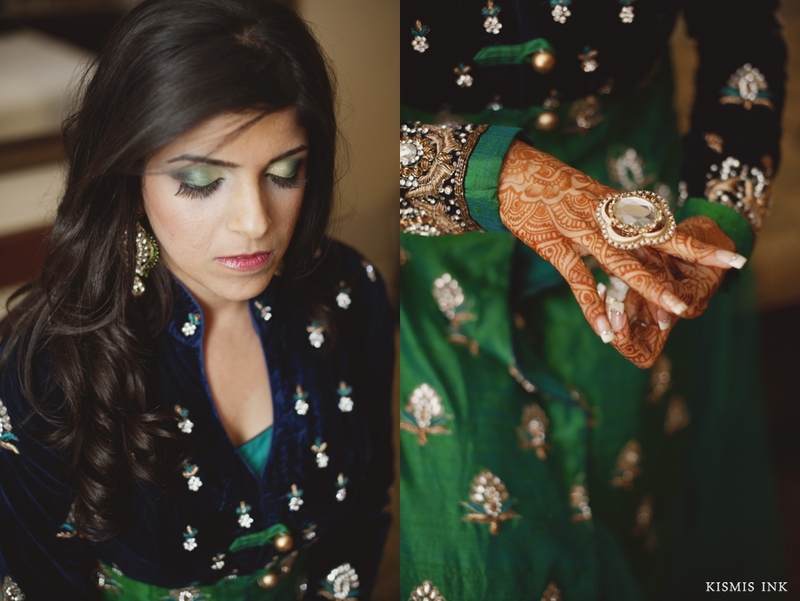 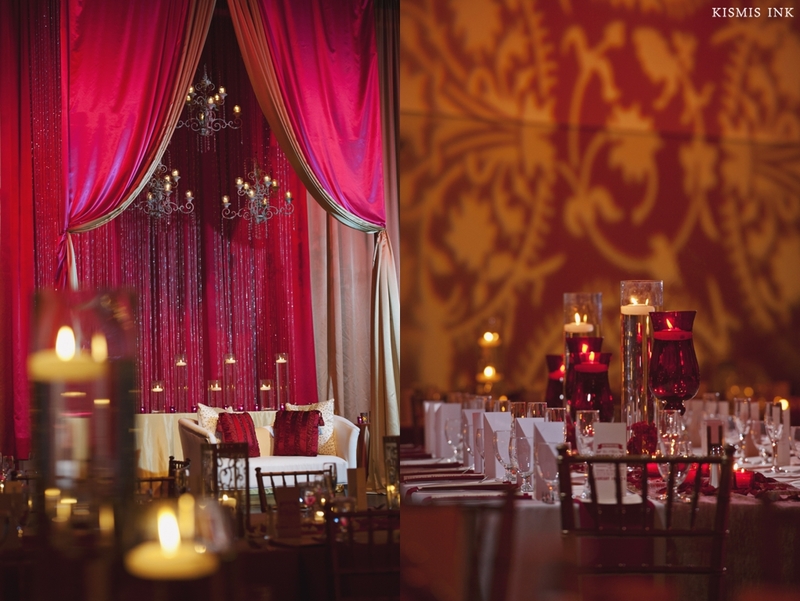 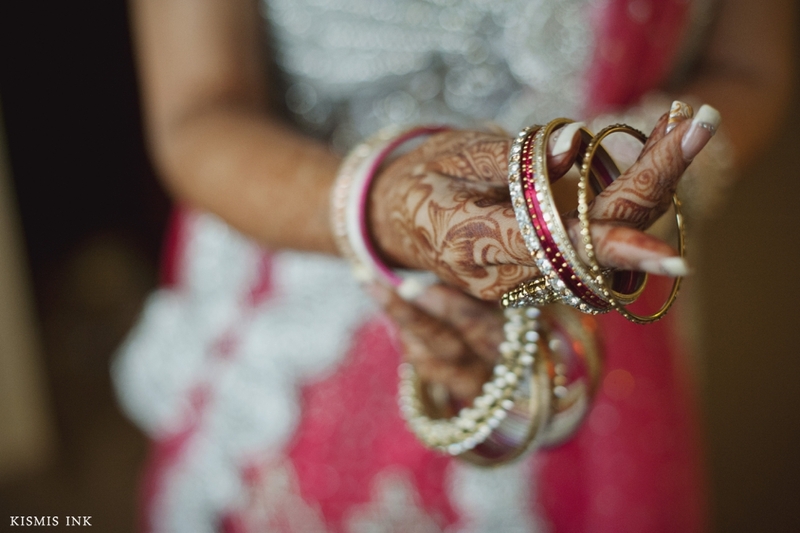 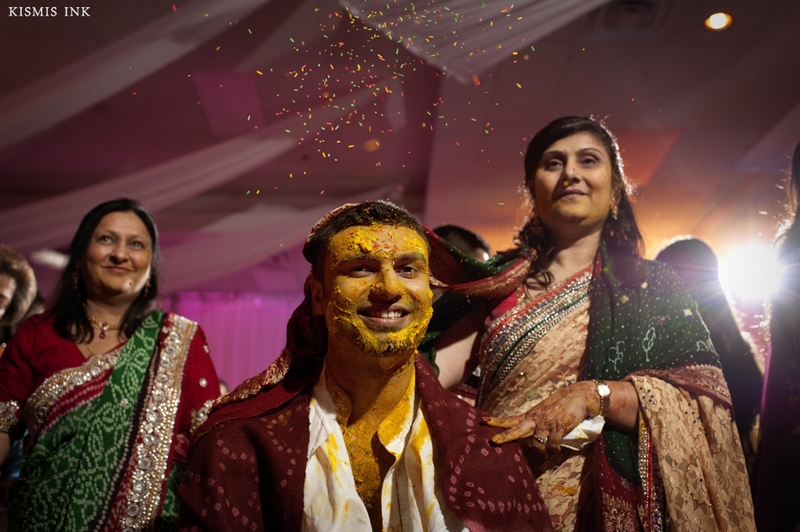 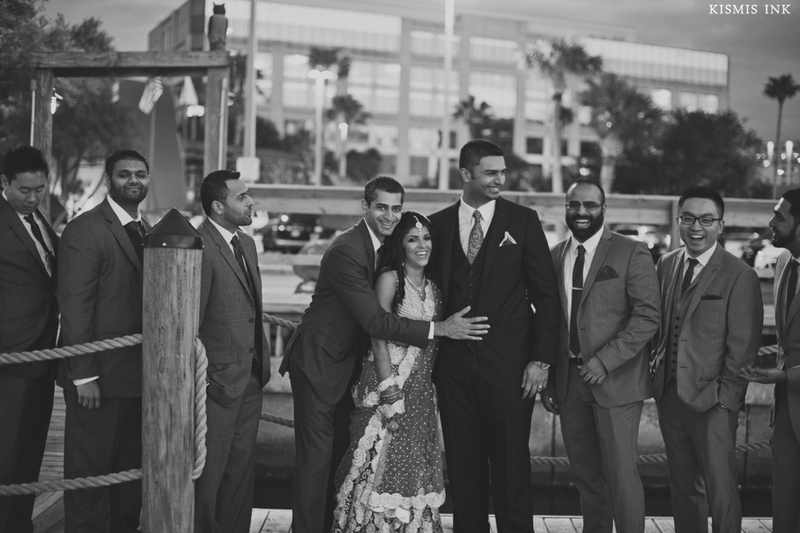 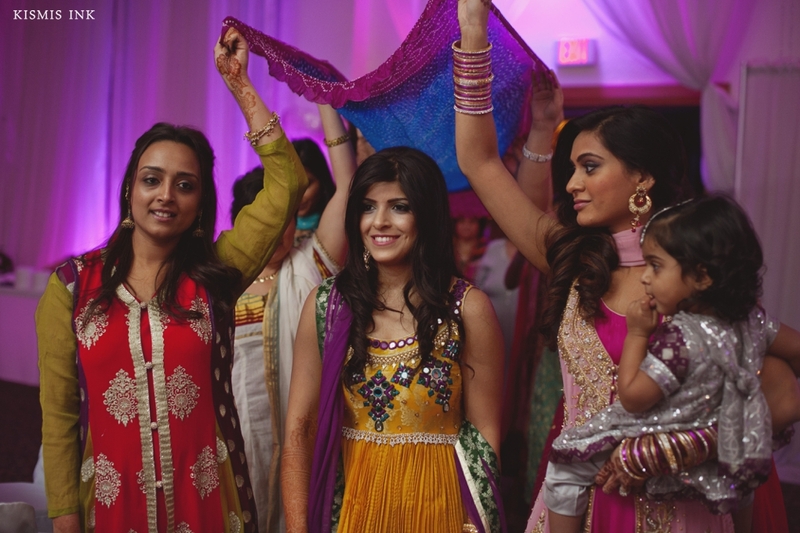 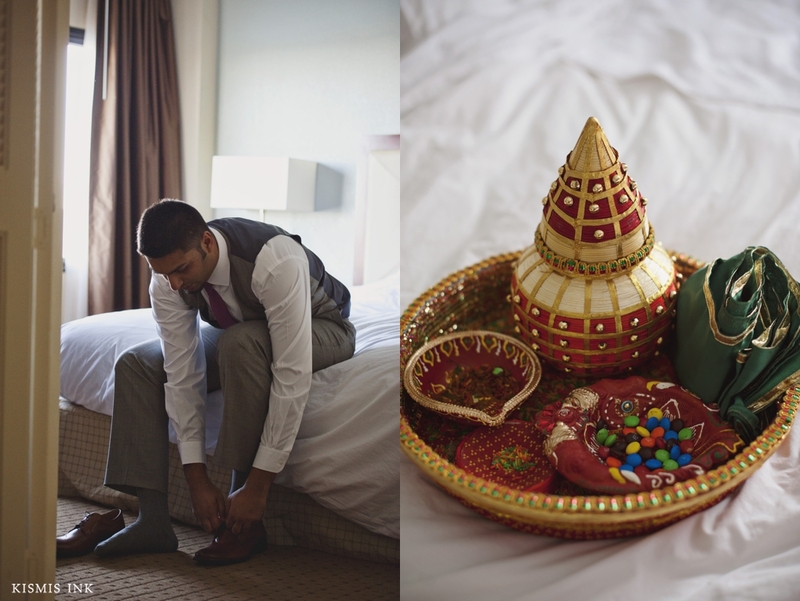 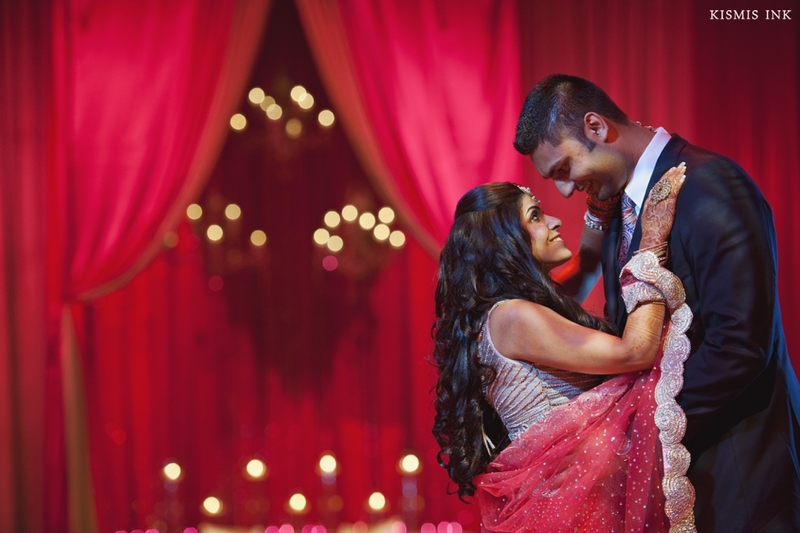 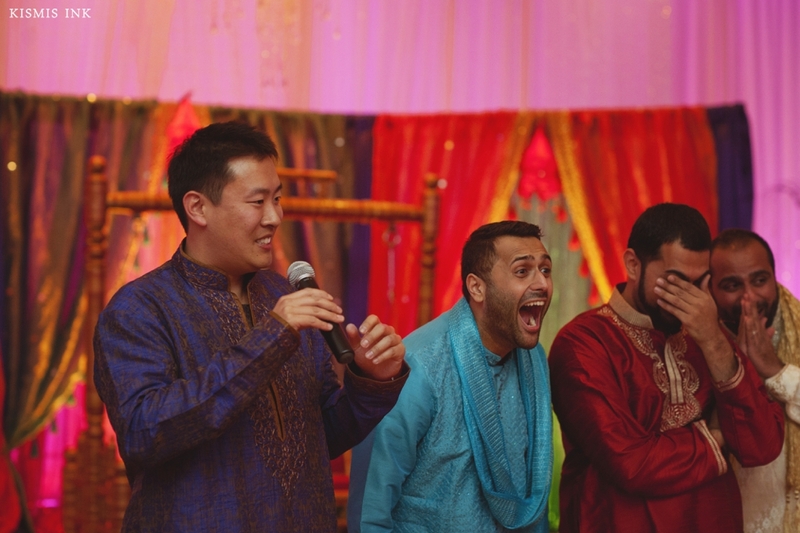 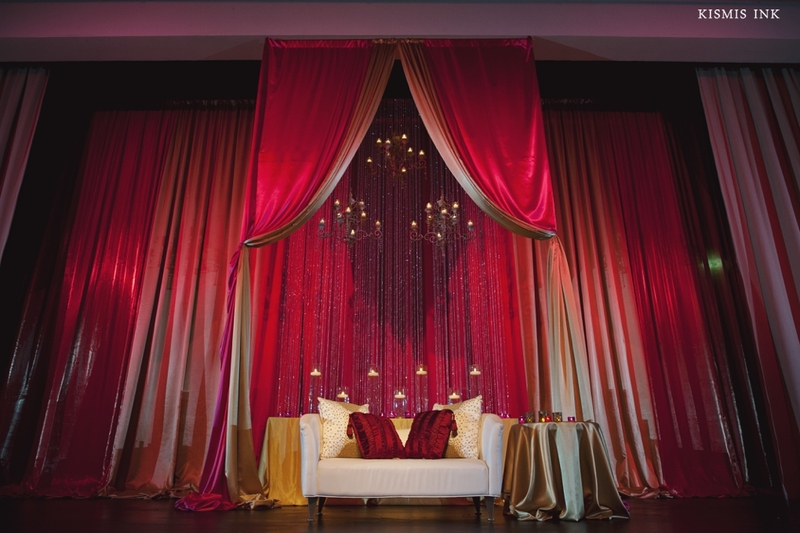 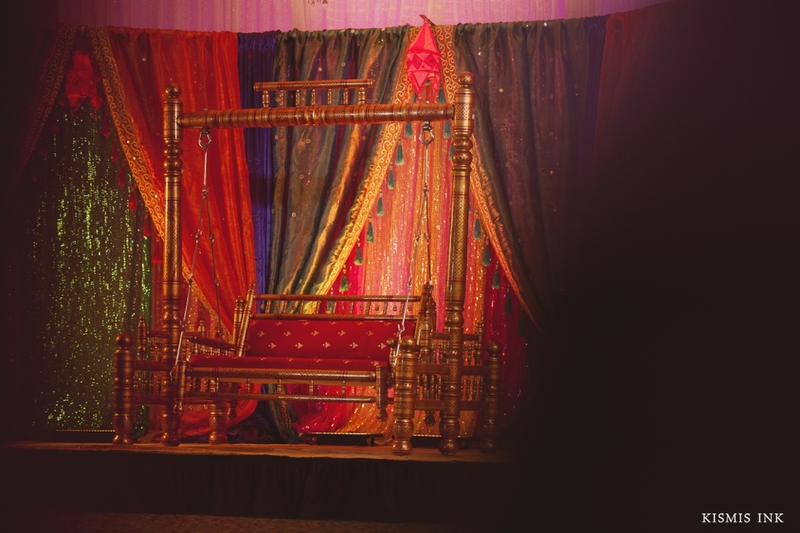 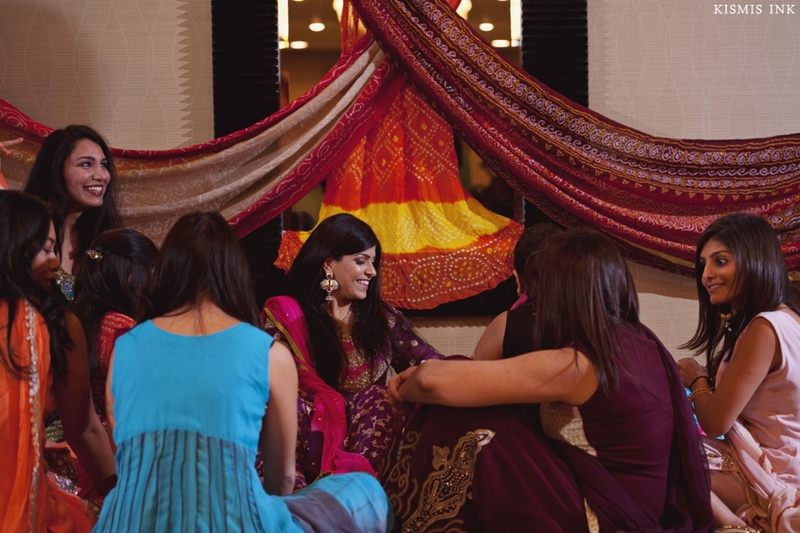 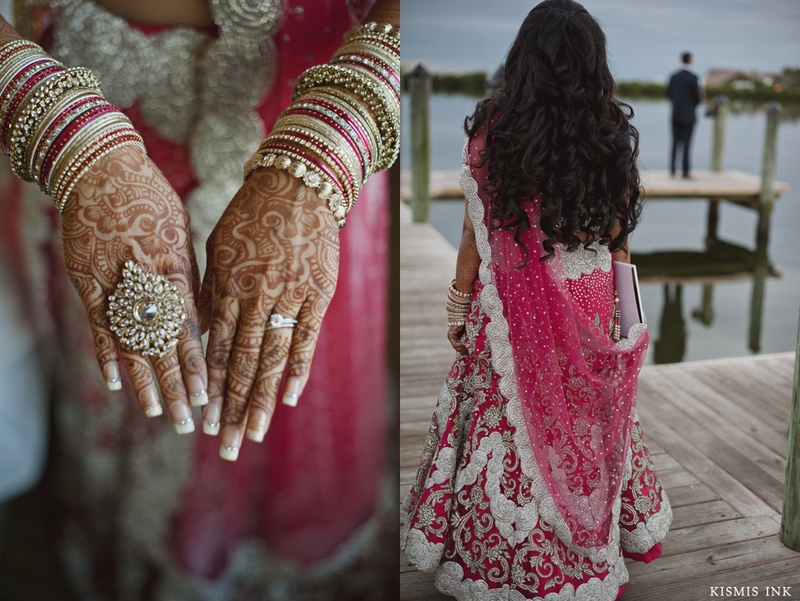 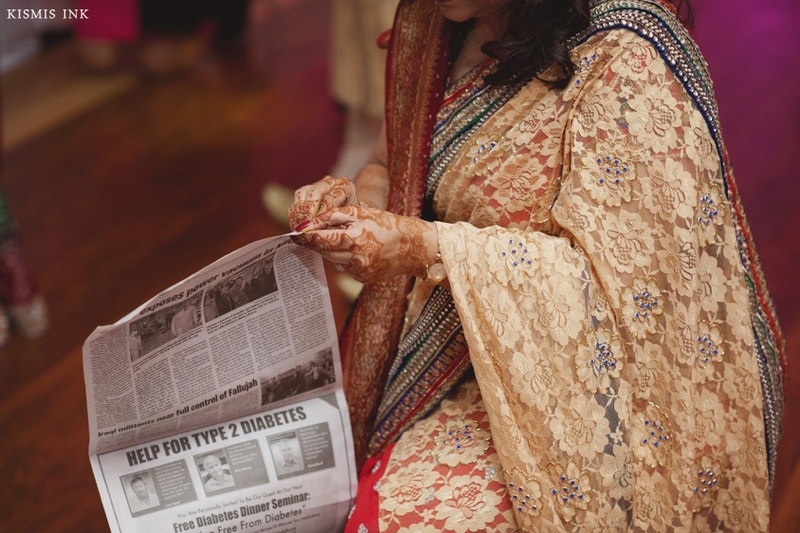 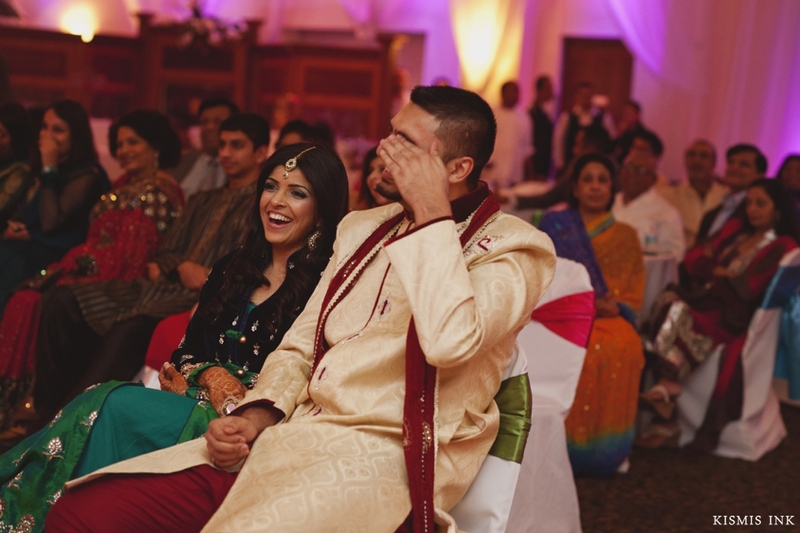 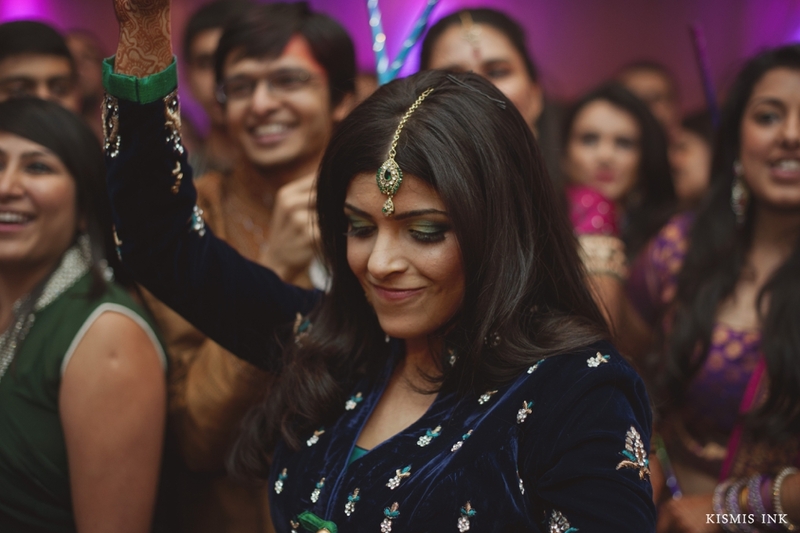 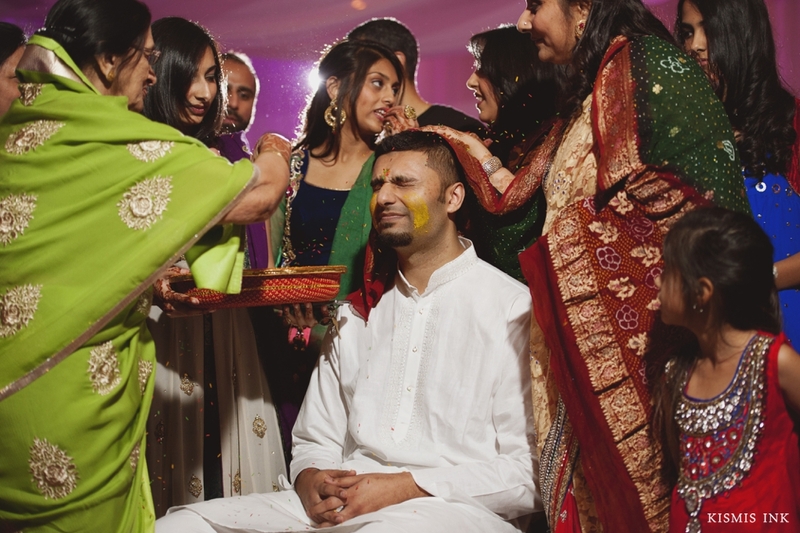 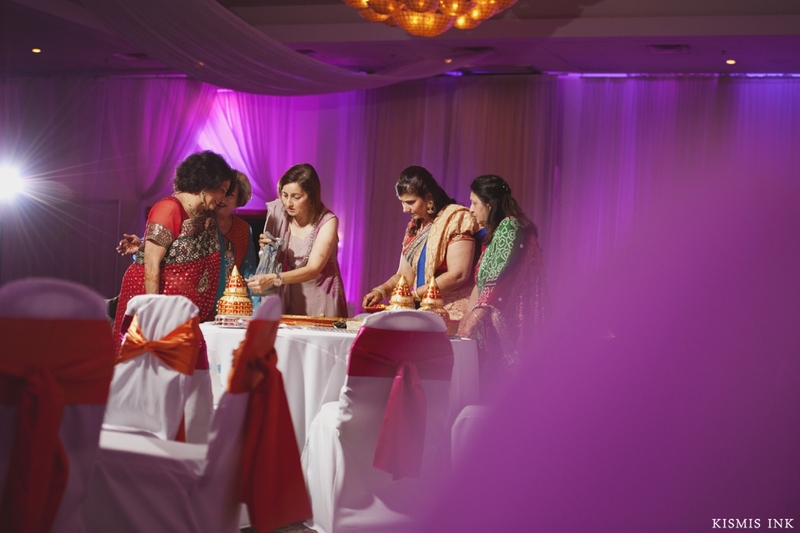 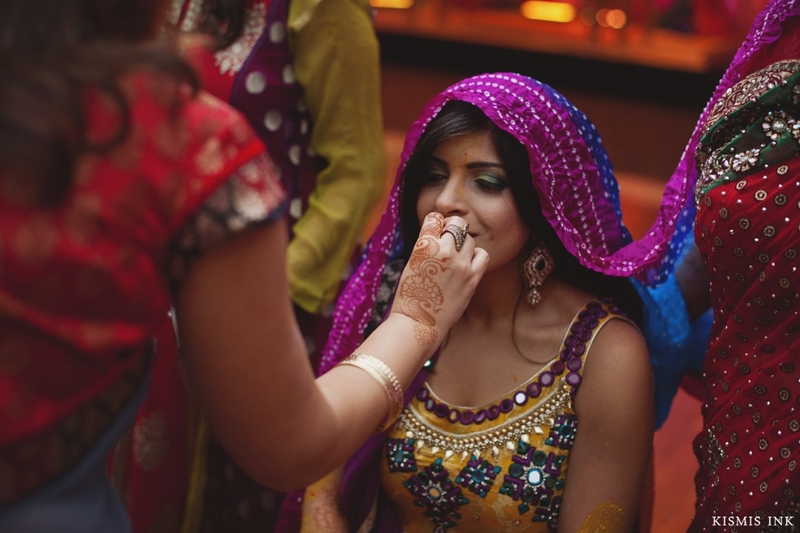 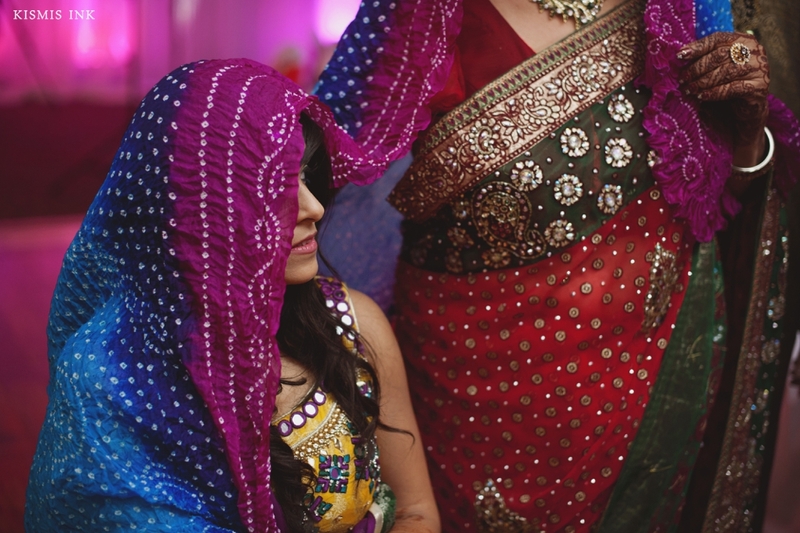 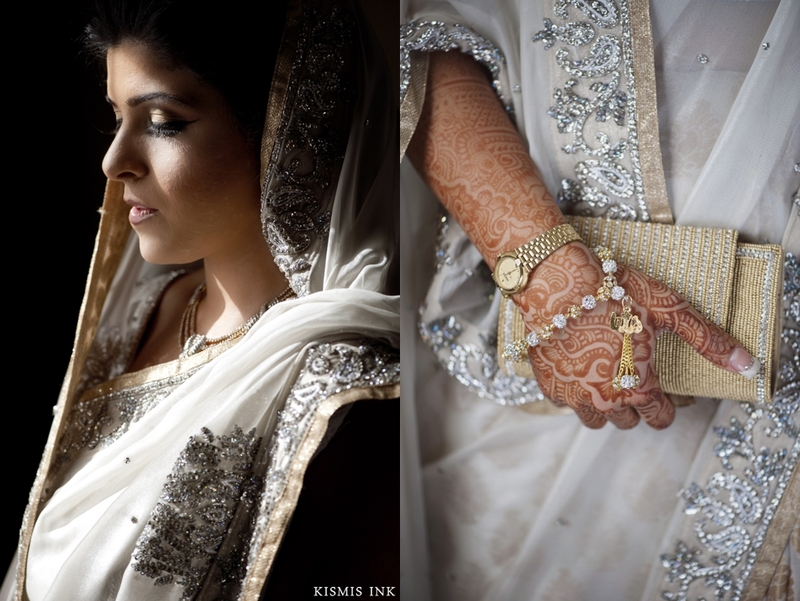 Their wedding weekend began with the mehndi ceremony, filled with intricately mesmerizing henna designs. 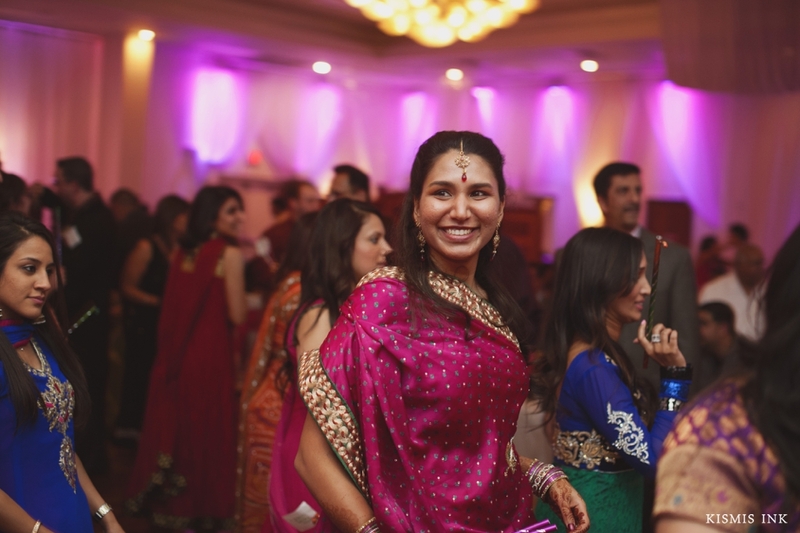 Jasmin’s warm smile filled the room and it was a fun evening for family, friends, traditions, and delicious food. 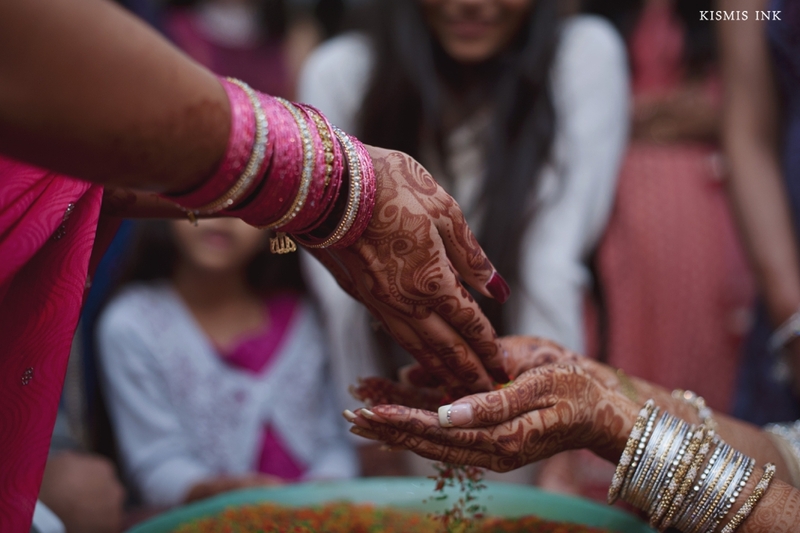 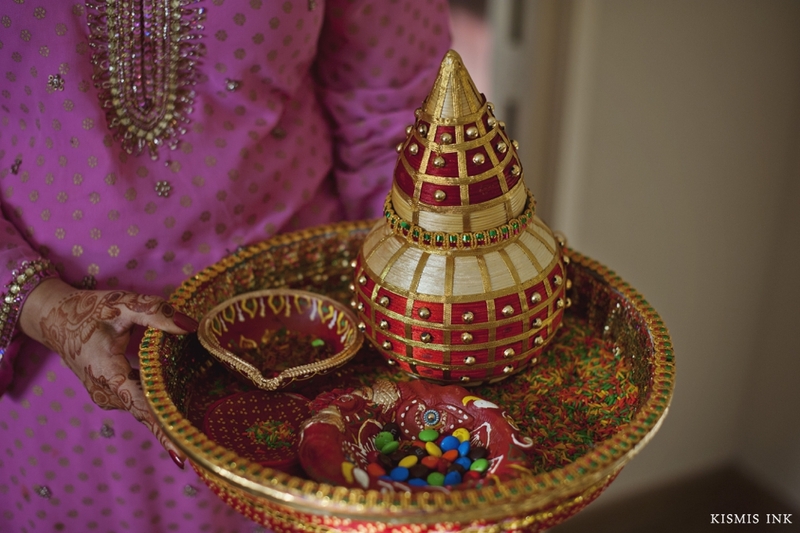 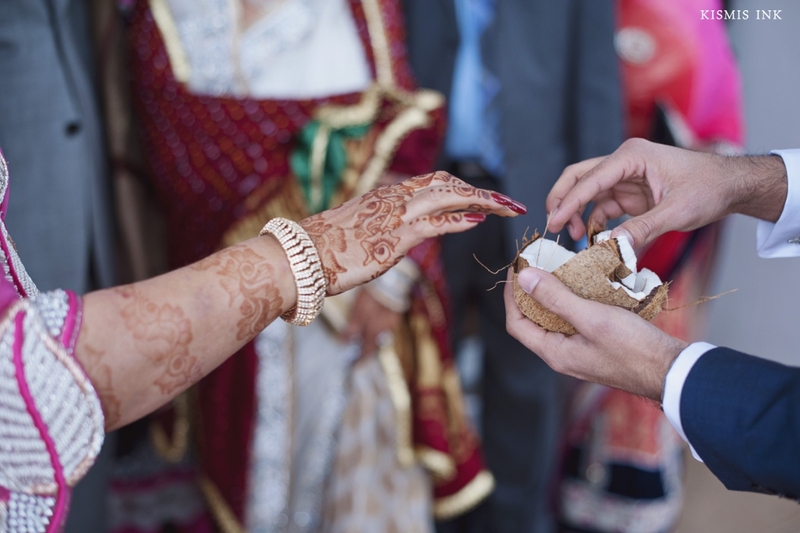 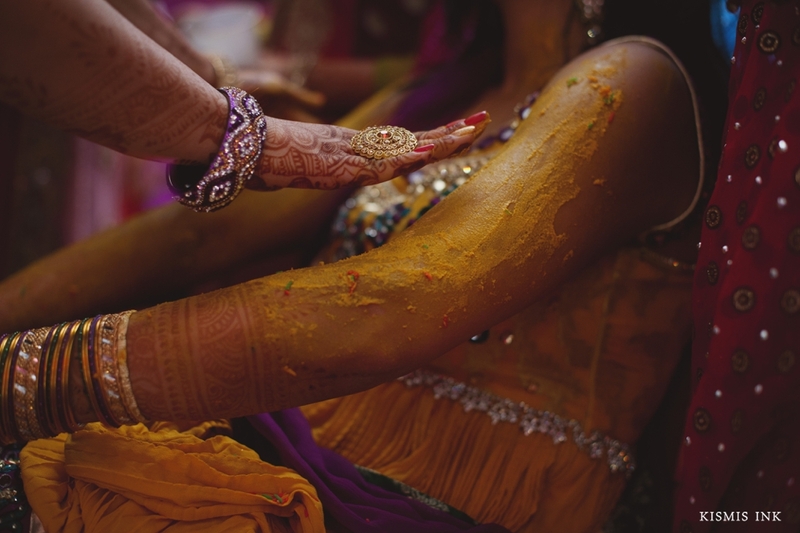 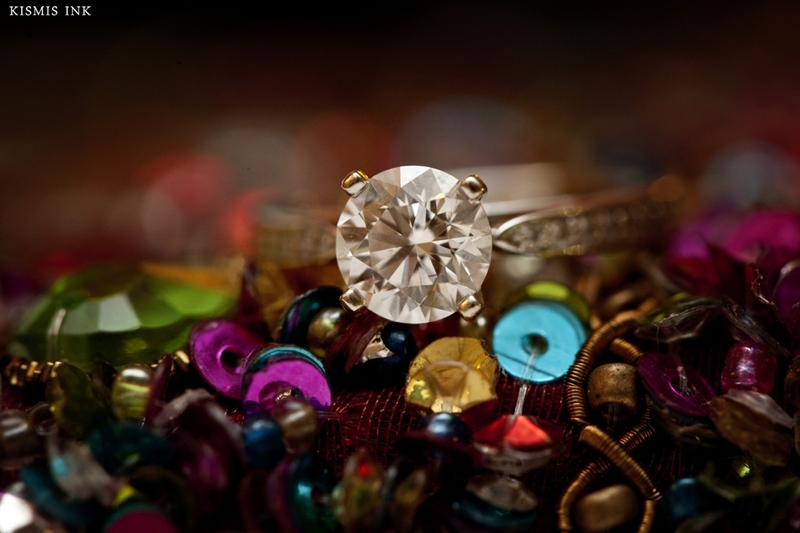 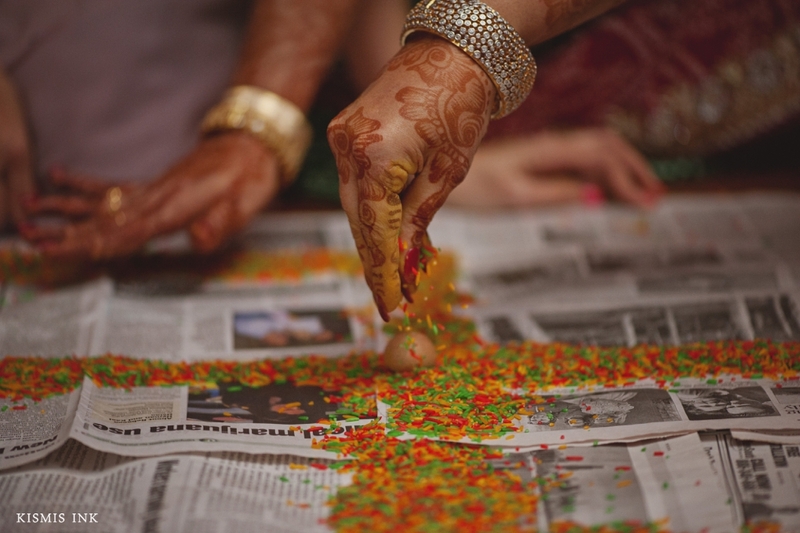 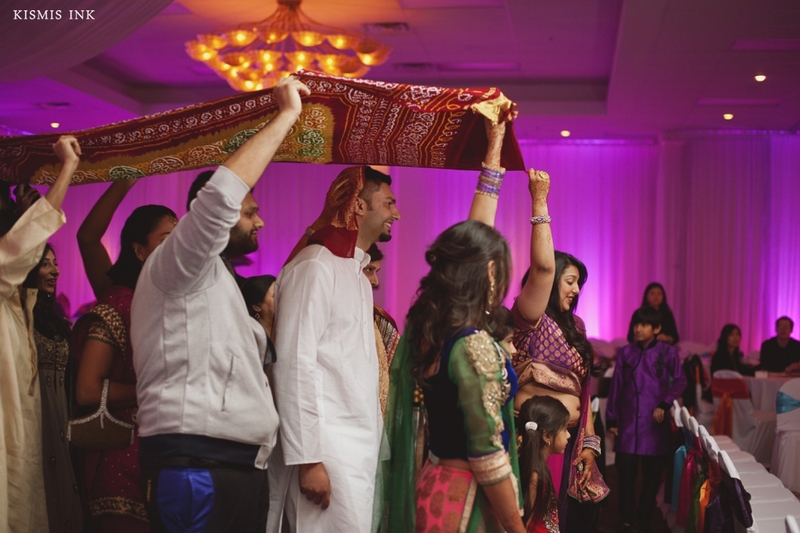 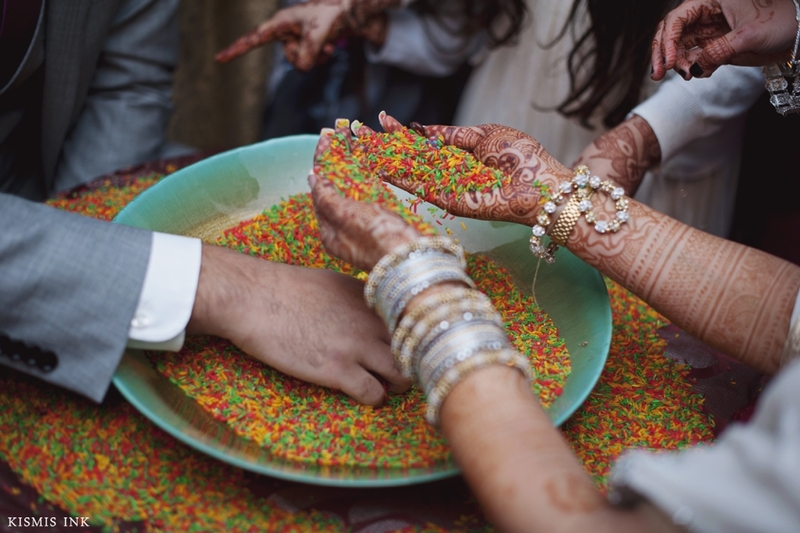 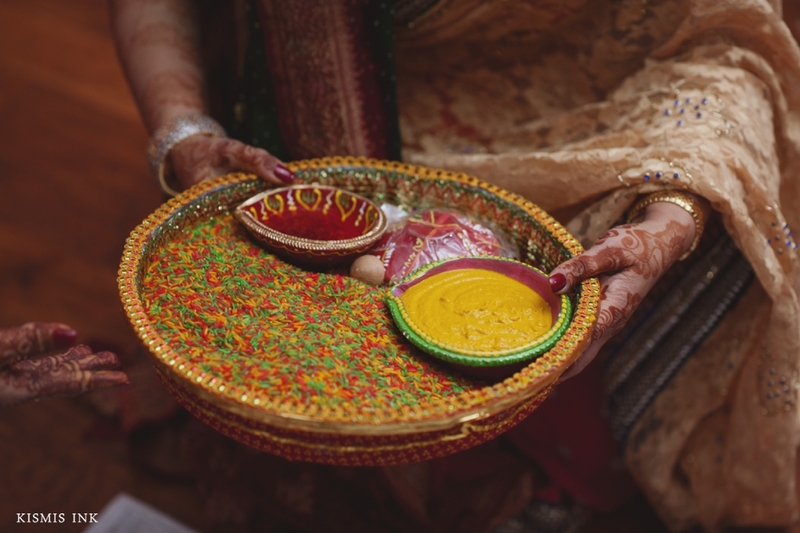 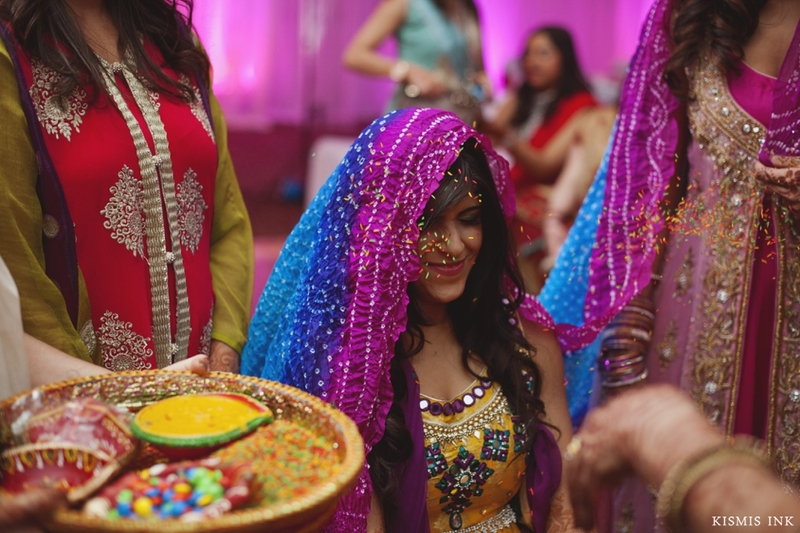 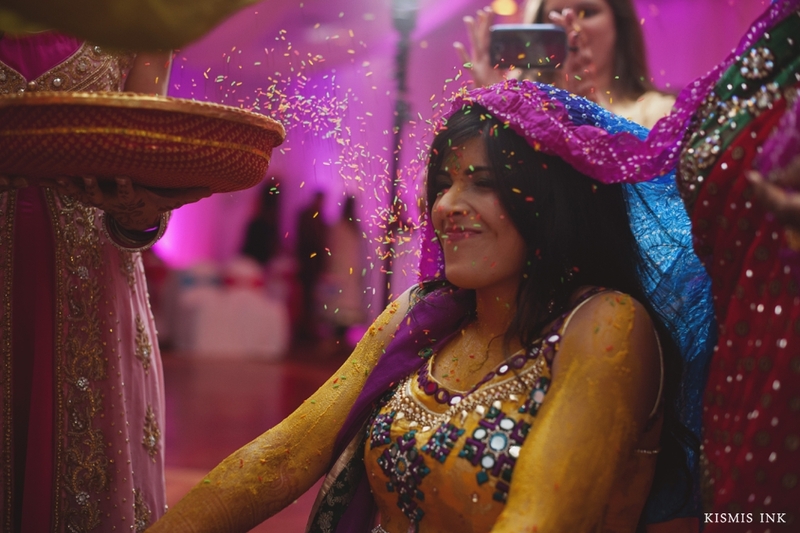 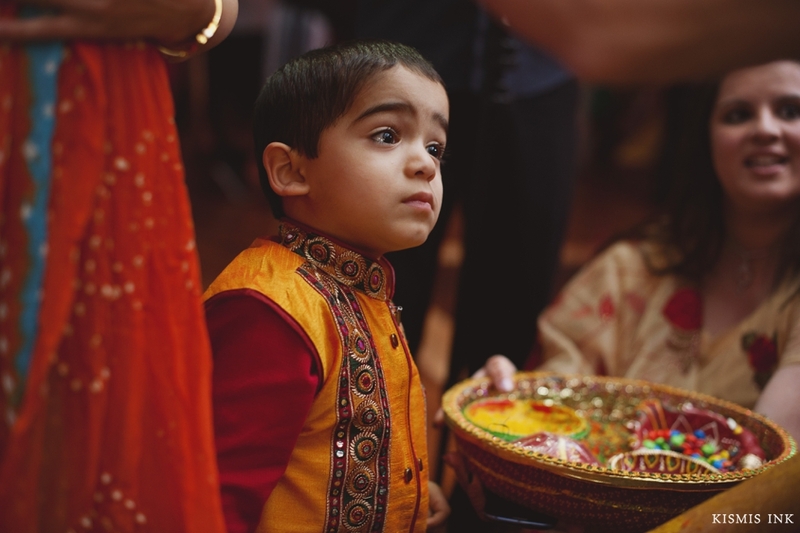 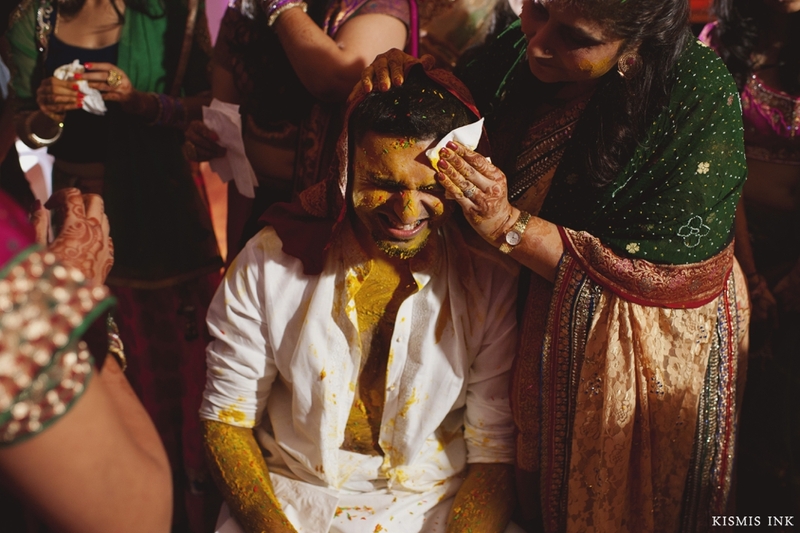 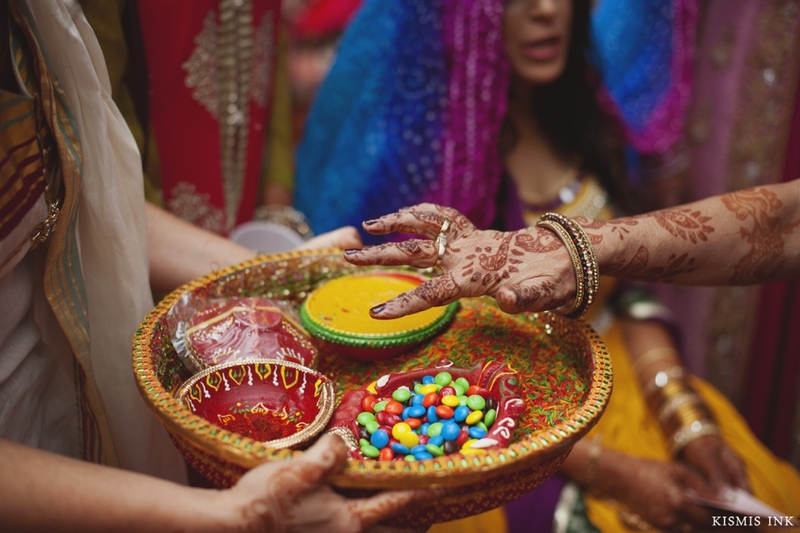 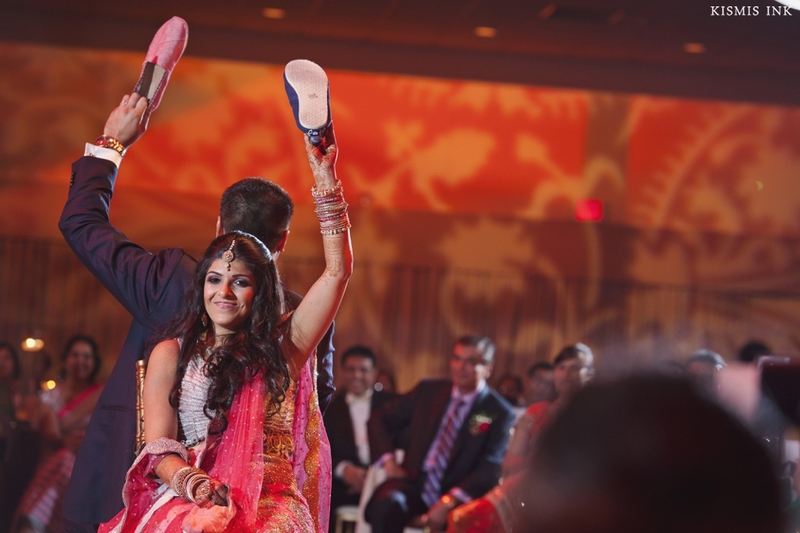 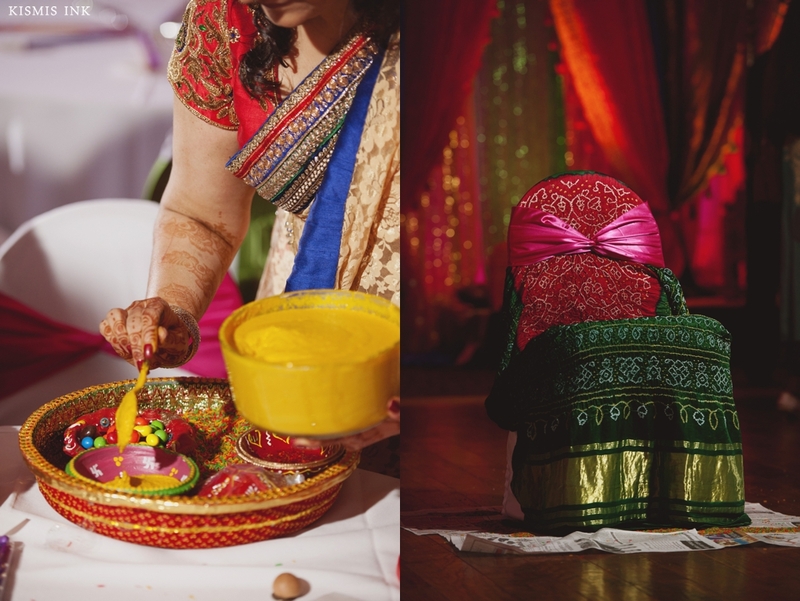 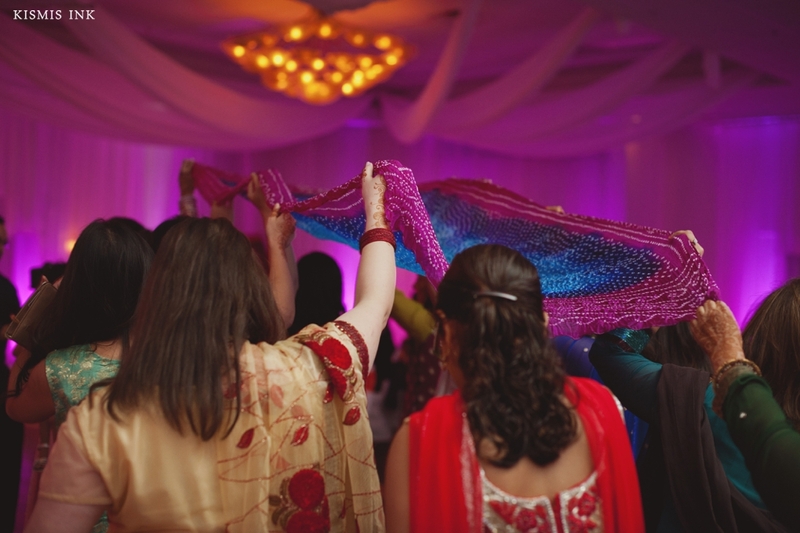 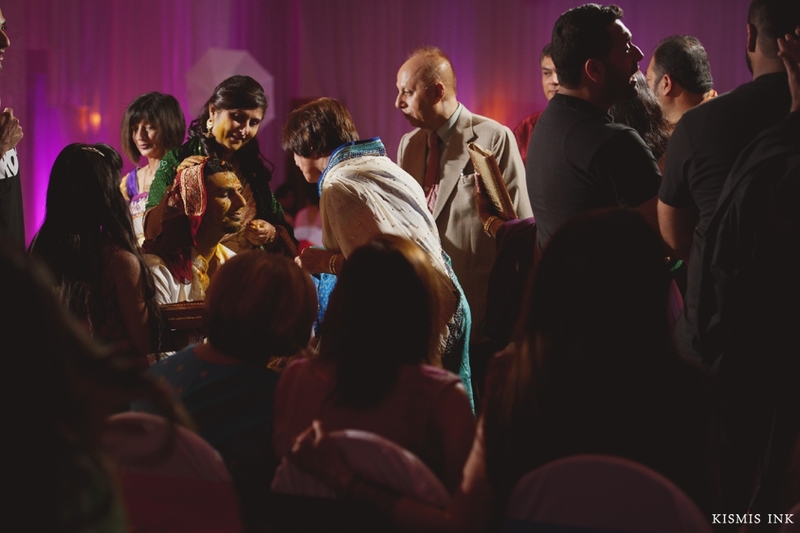 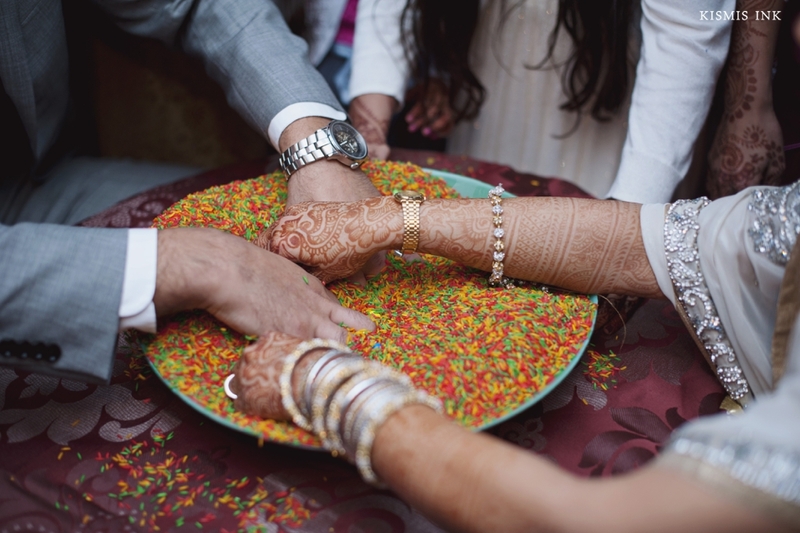 The pithi ceremony that took place the next day was one of the most colorful parts of the wedding! 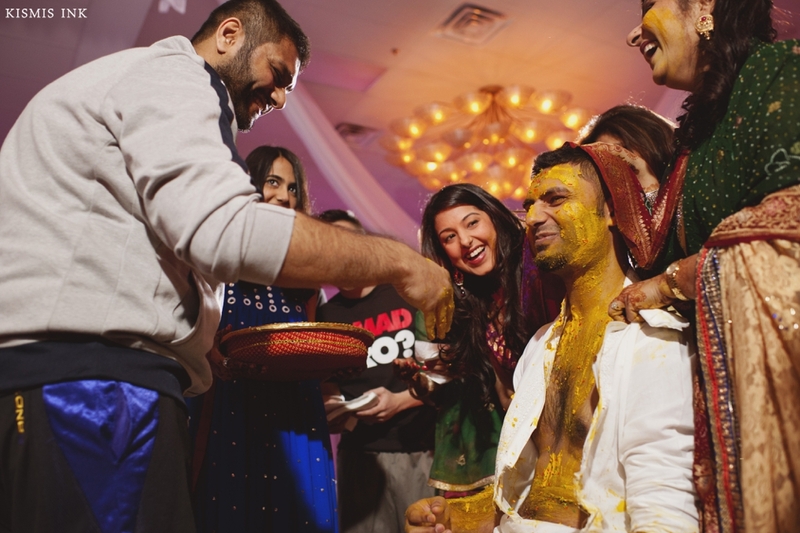 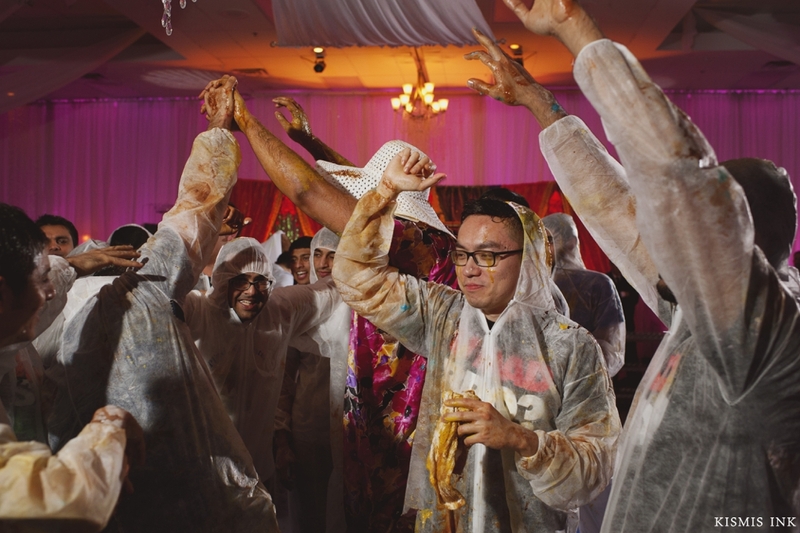 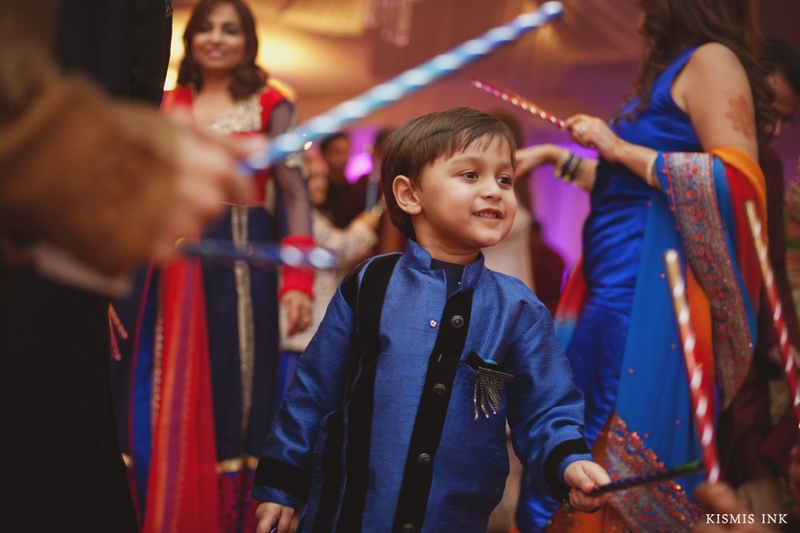 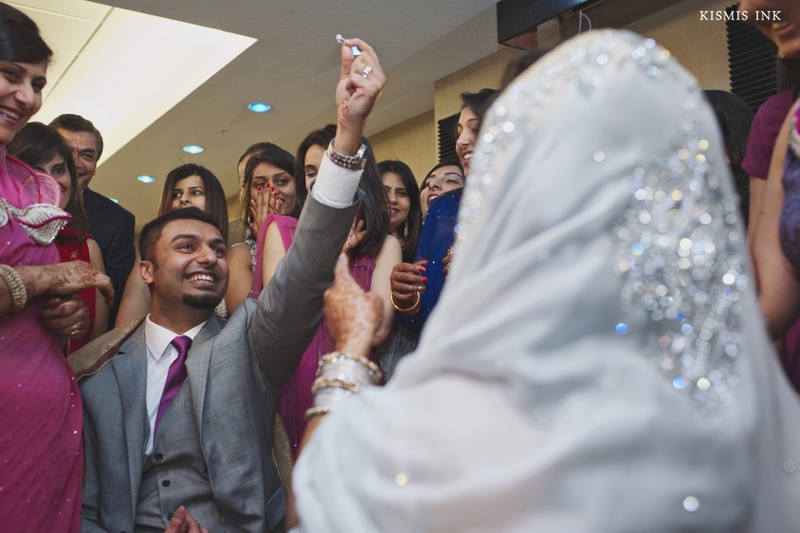 From the neon colored rice to the delicate saris, every single element was gorgeous and bright- right until Hameed’s egging ceremony! 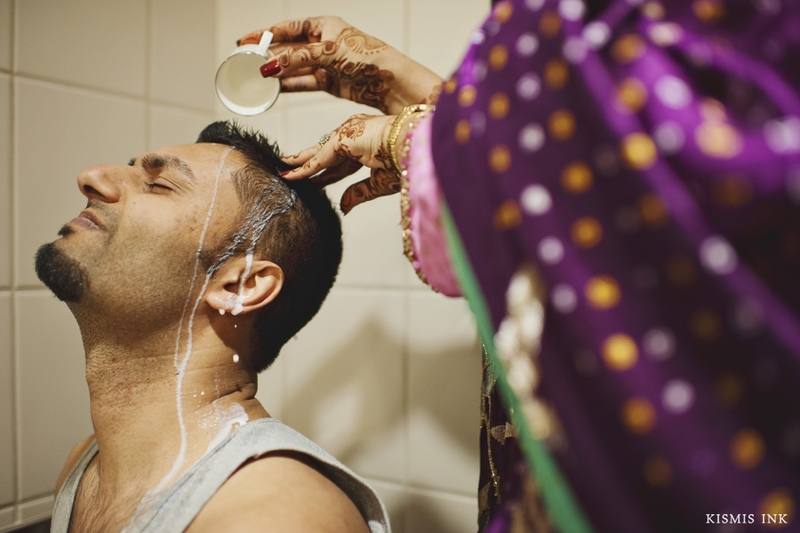 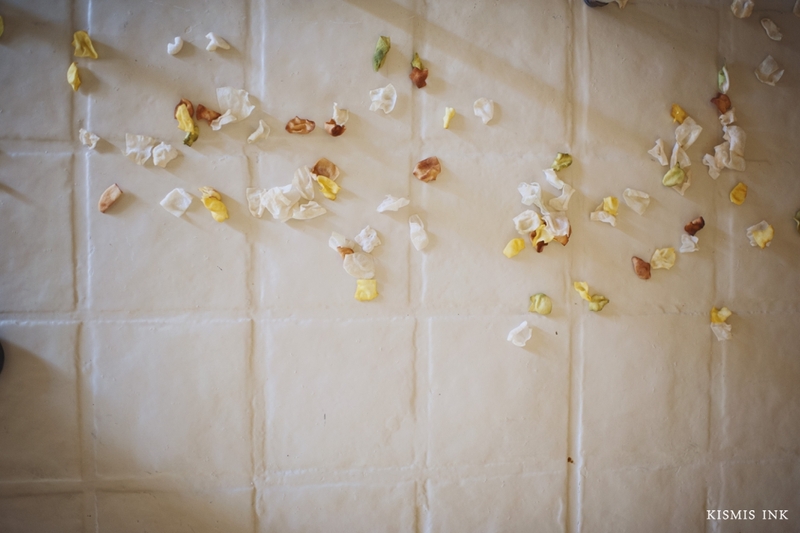 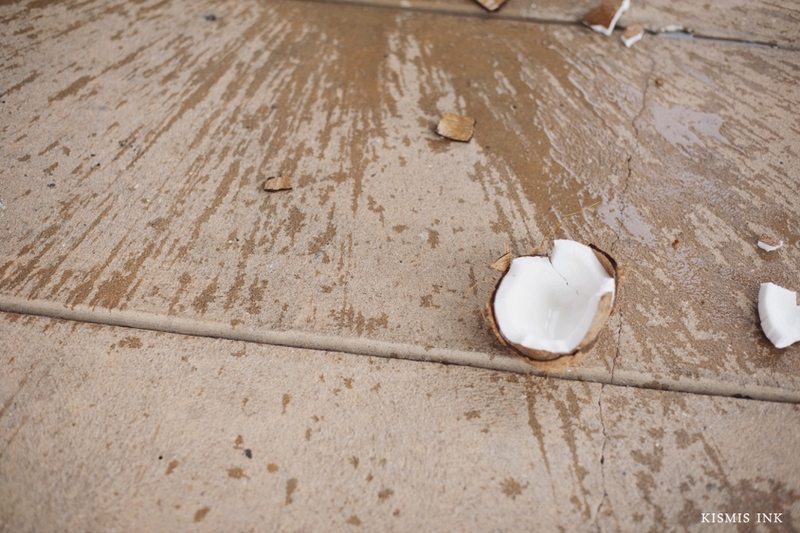 Hameed was pummeled by friends and family with an array of mess-making substances. 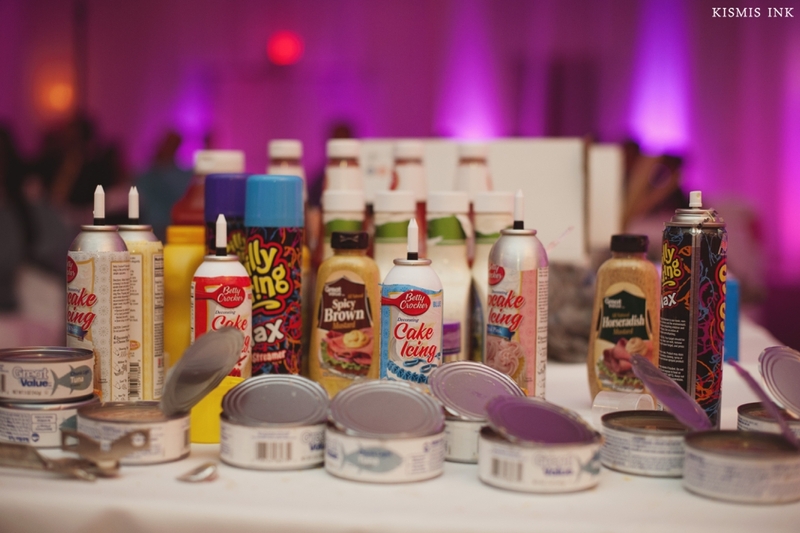 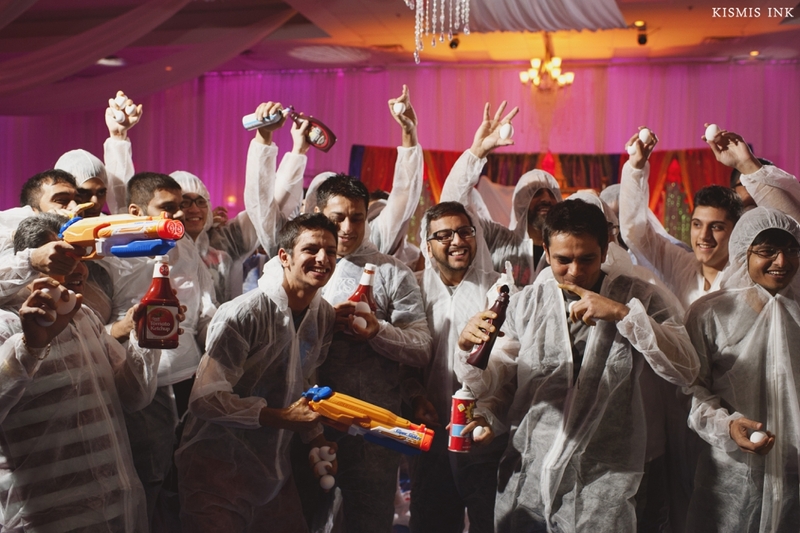 Ammunition included chocolate, tuna, silly string, ketchup, and eggs, to name a few. 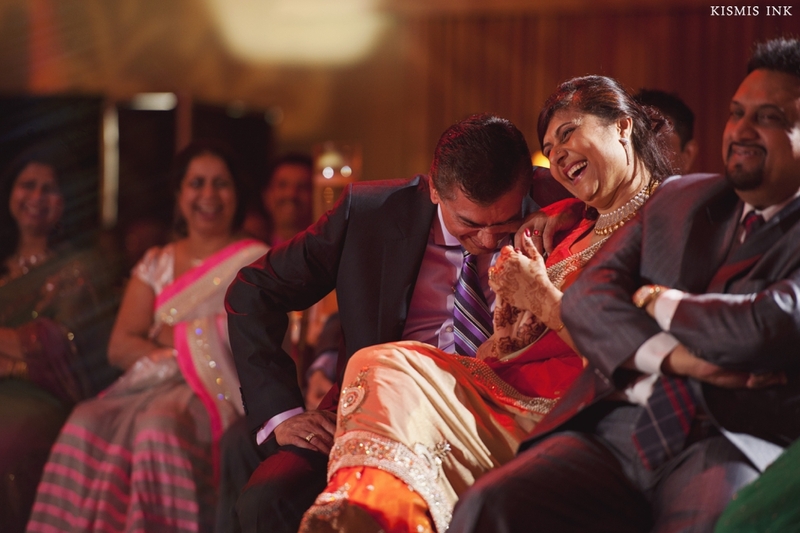 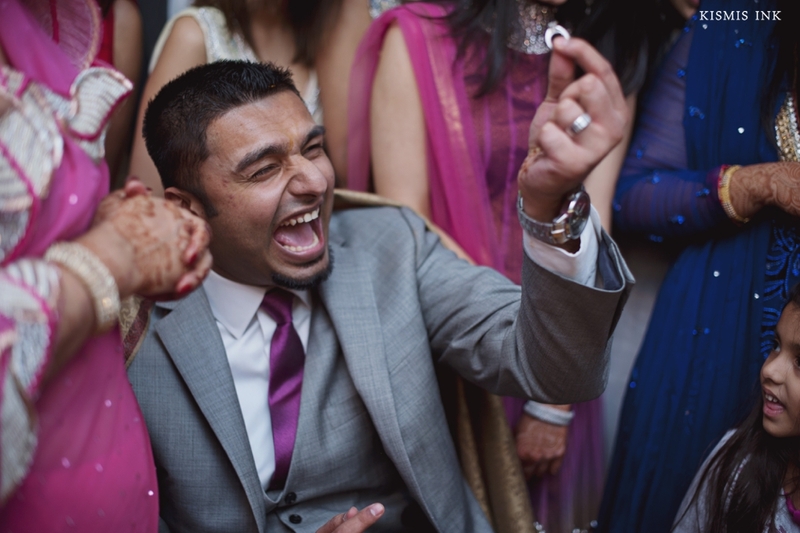 We had never seen anything like this at a wedding and it was an adrenaline rush to capture such an exciting and fun time! 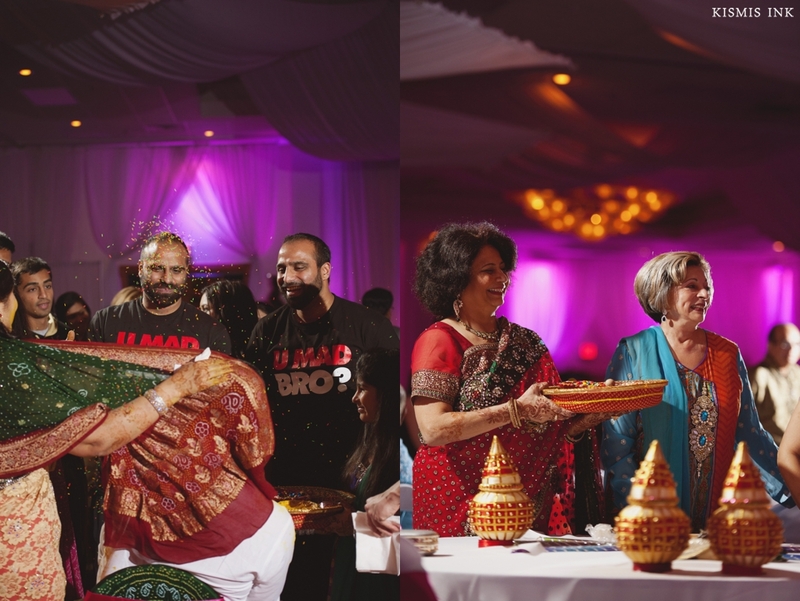 The action shots we captured at the pithi were some of the best we’ve ever taken- filled with emotions and colorful rice captured midair. 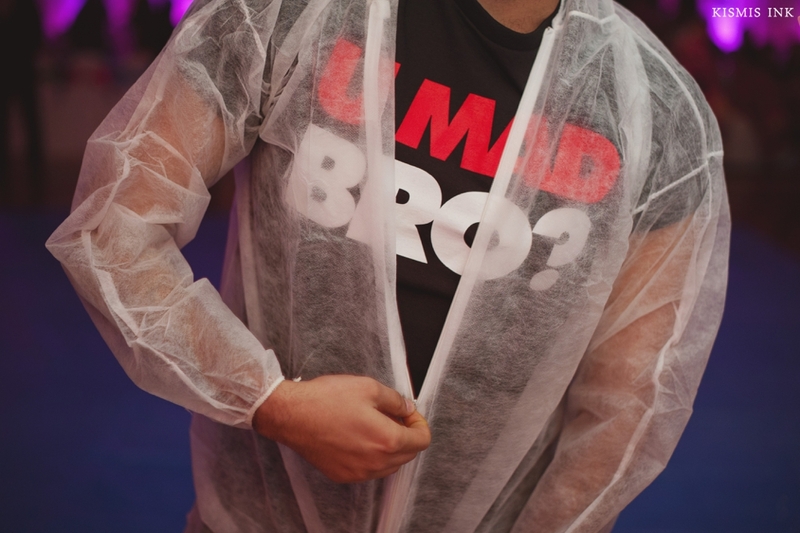 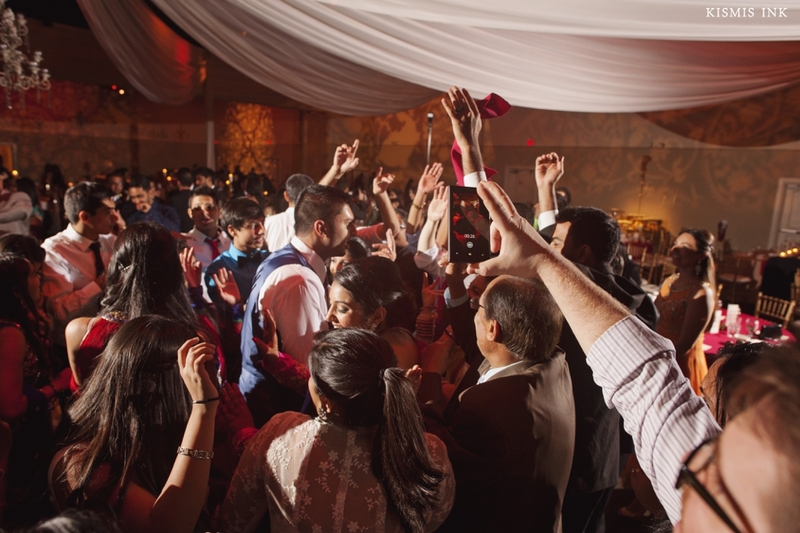 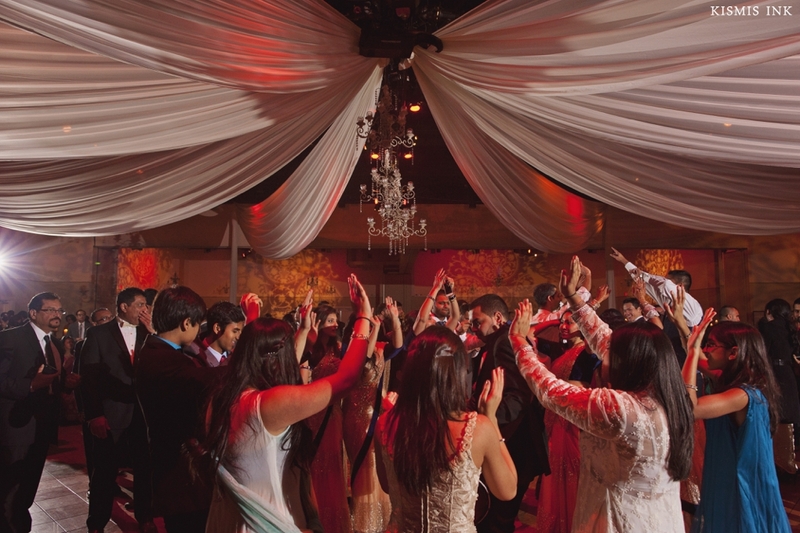 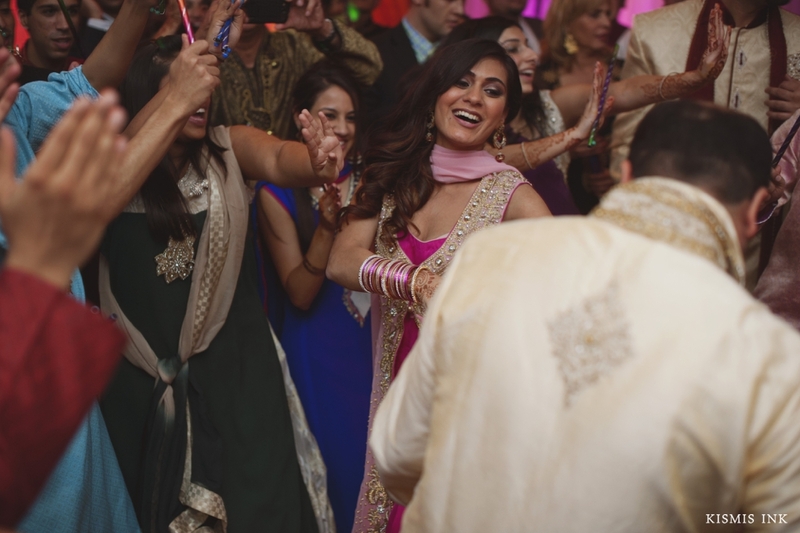 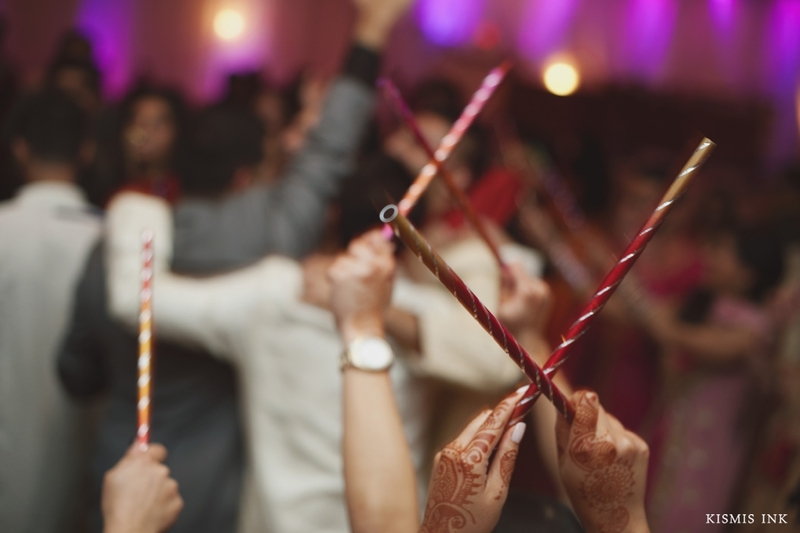 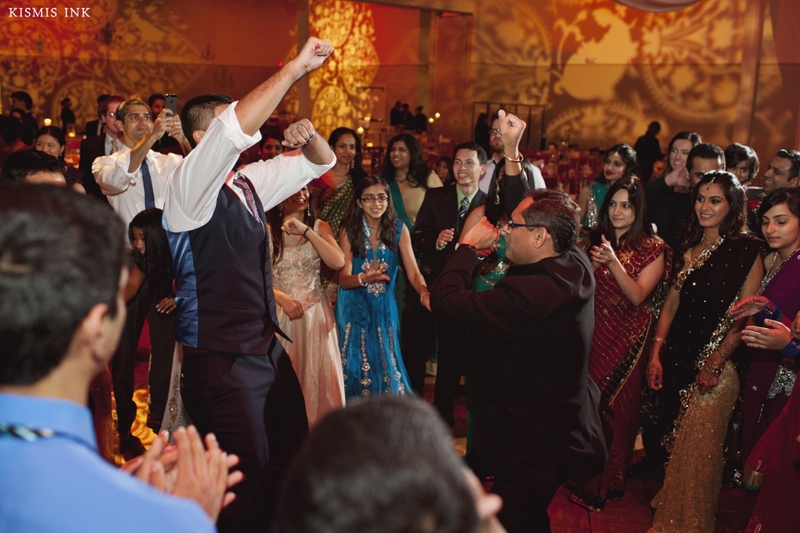 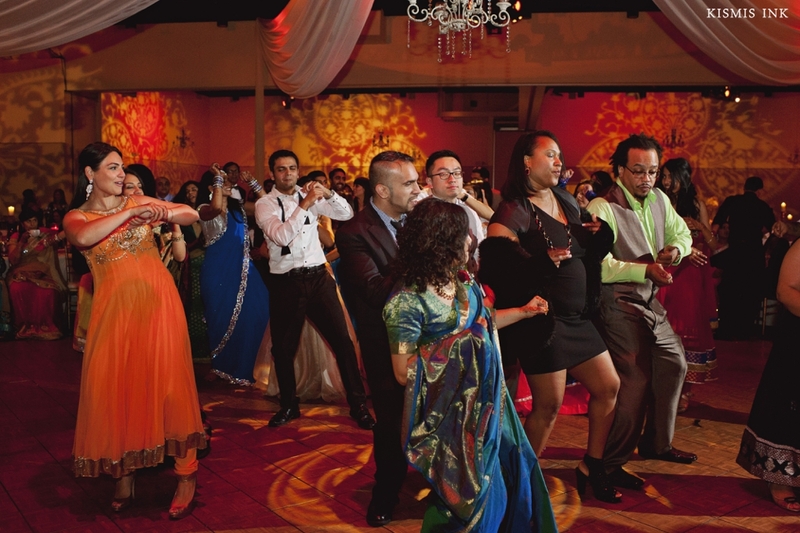 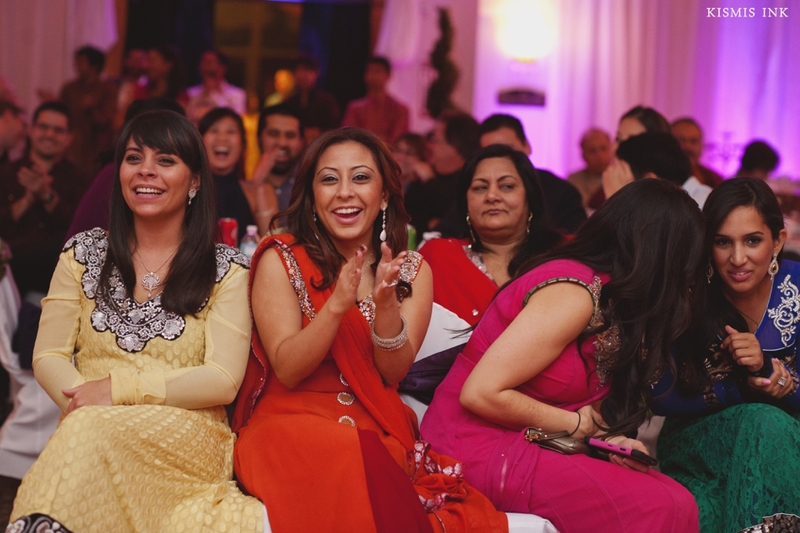 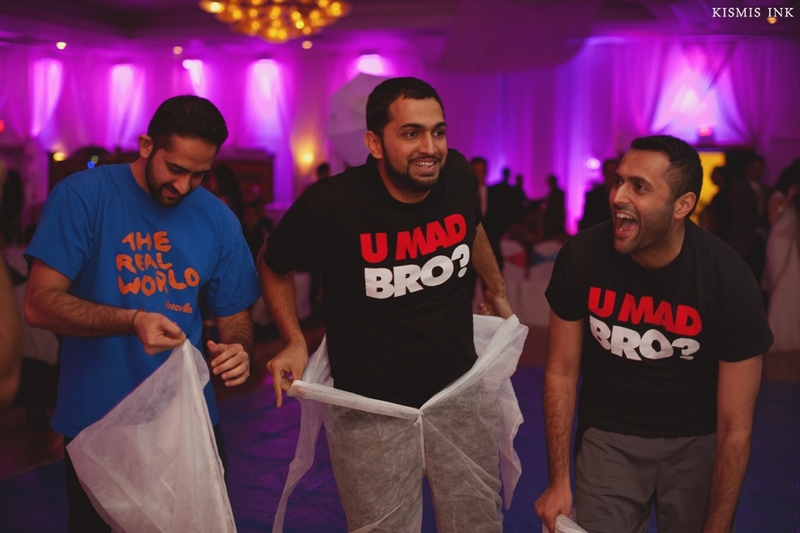 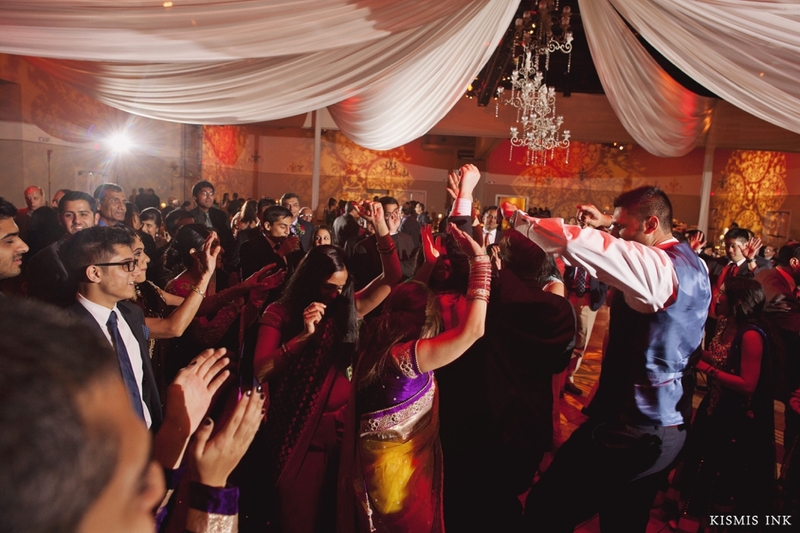 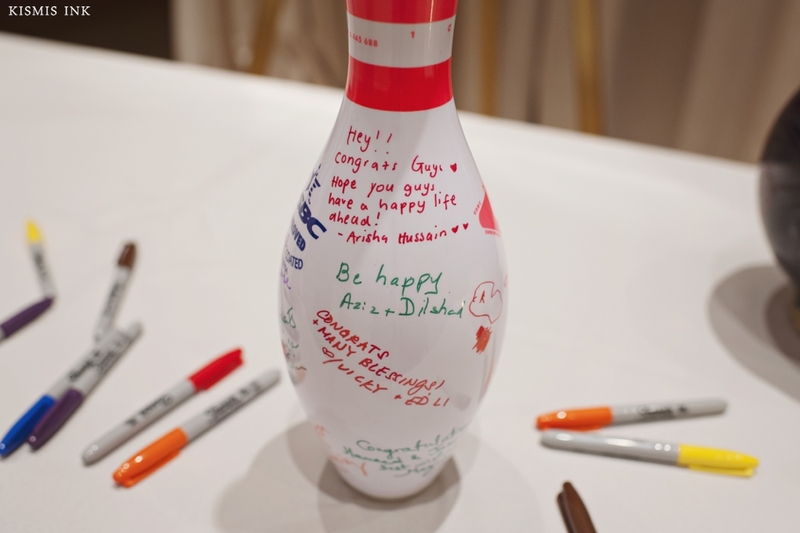 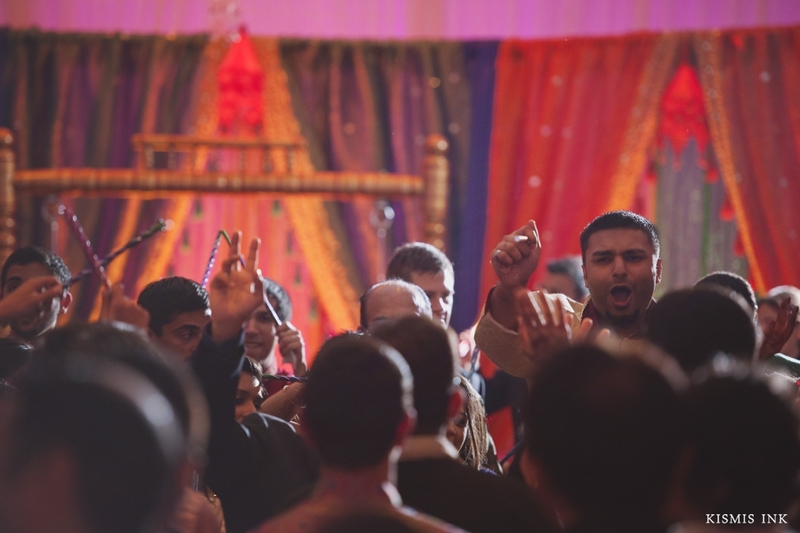 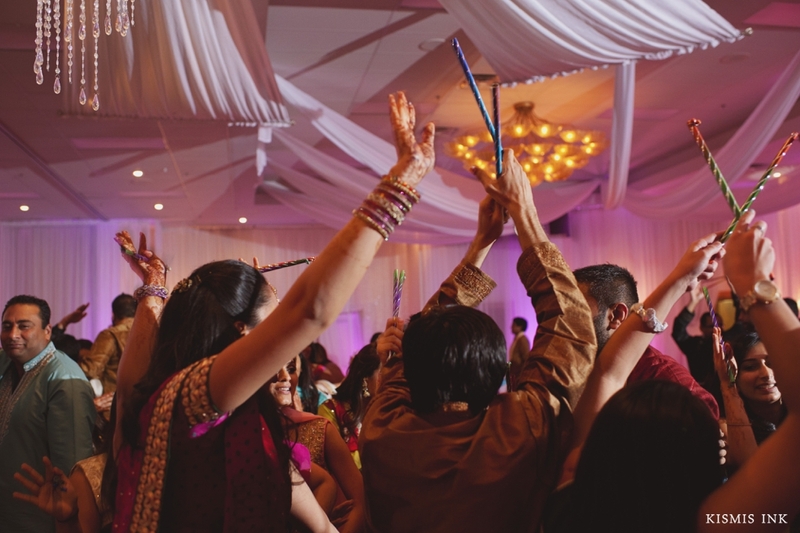 Jasmin and Hameed’s family and friends definitely know how to party! 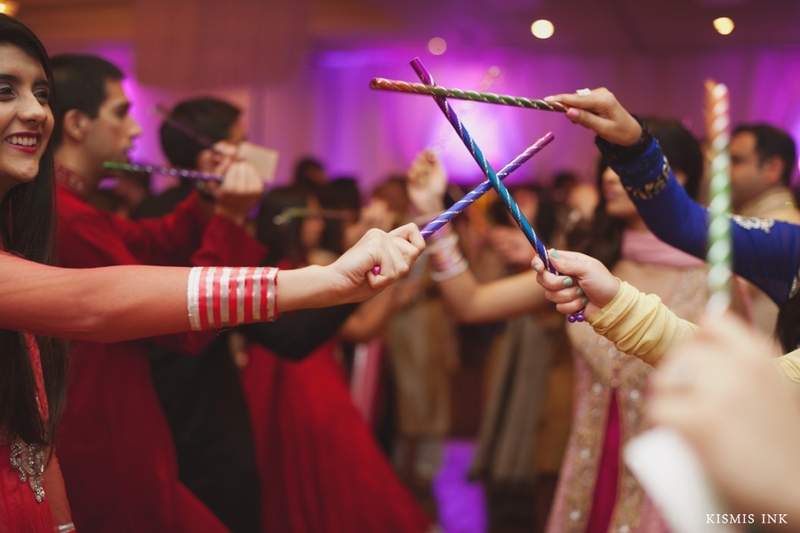 The evening continued with them circling and dancing around the sweet couple- complete with dandia sticks all colors of the rainbow. 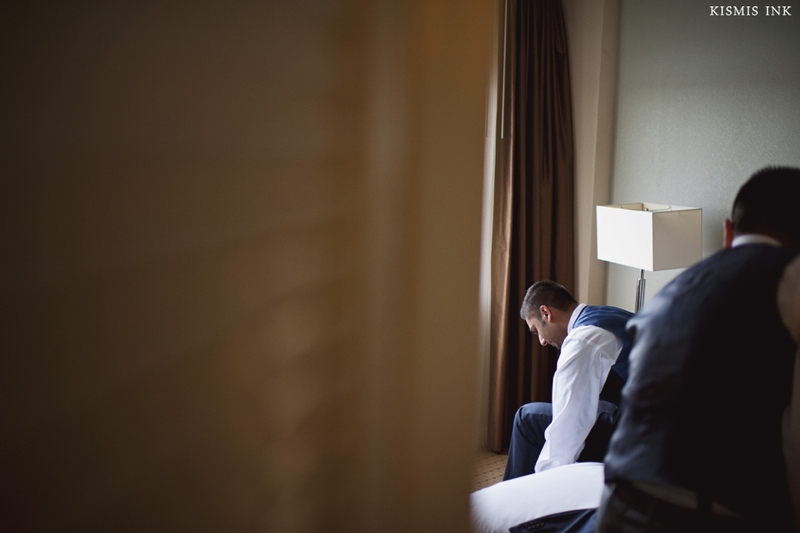 It seems like every day we documented prepared us for the energy of the next, so you can imagine how thrilled we were for their wedding day! 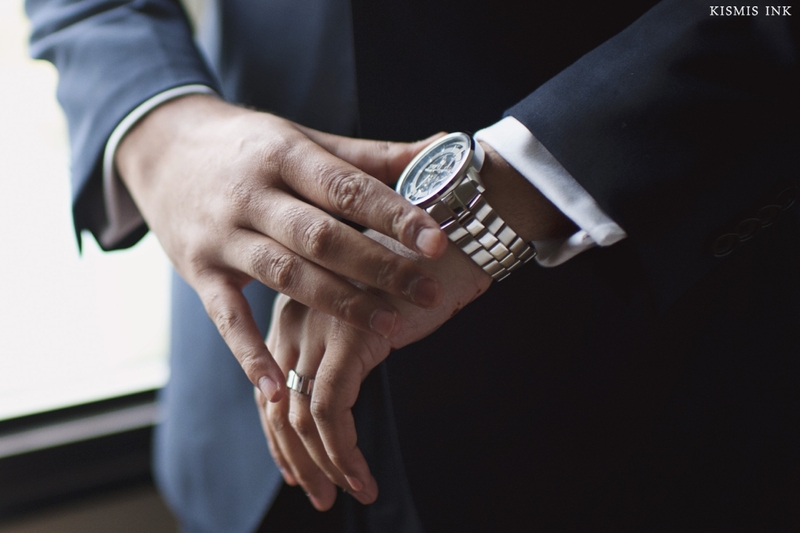 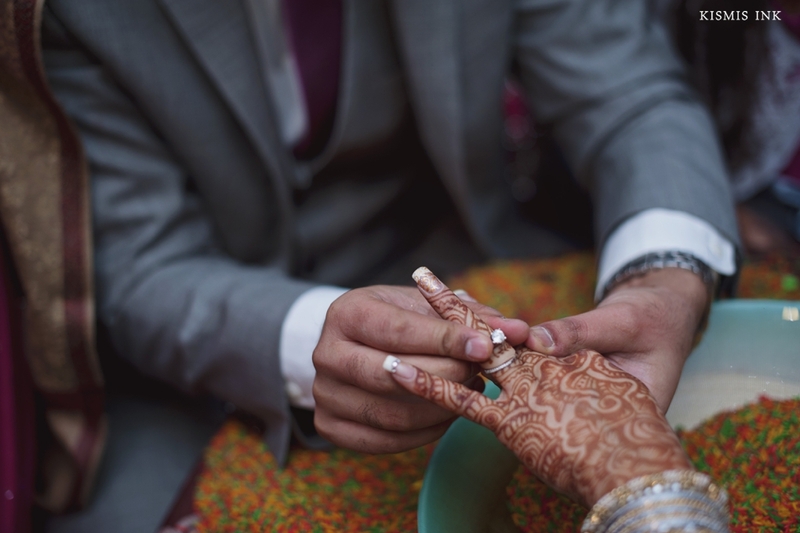 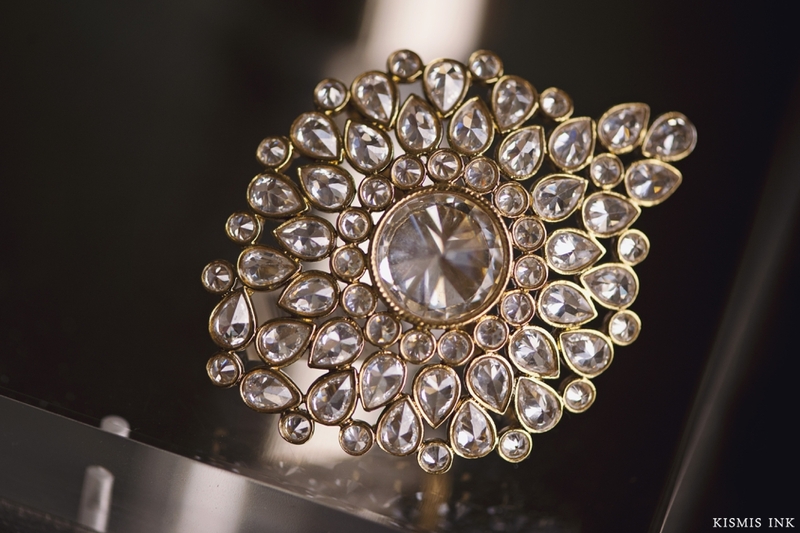 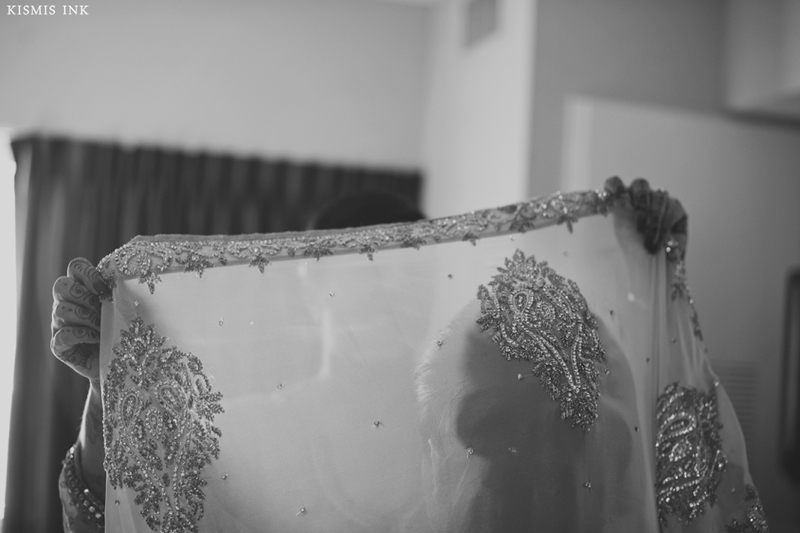 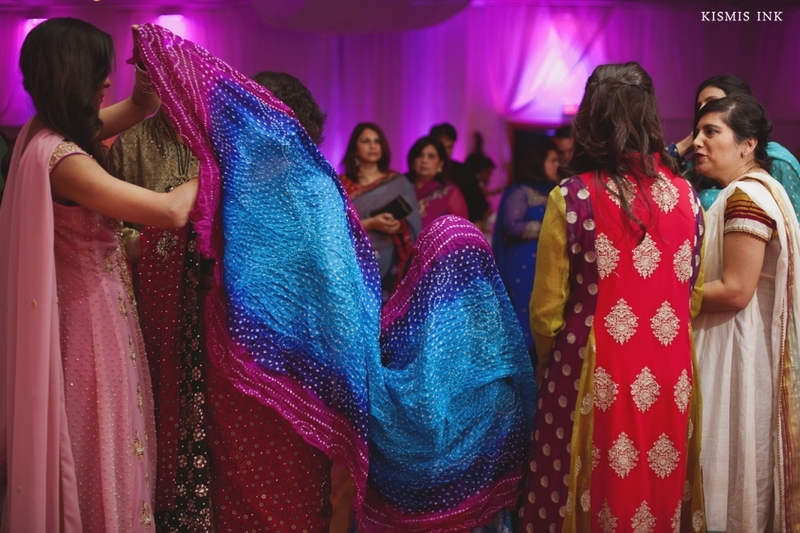 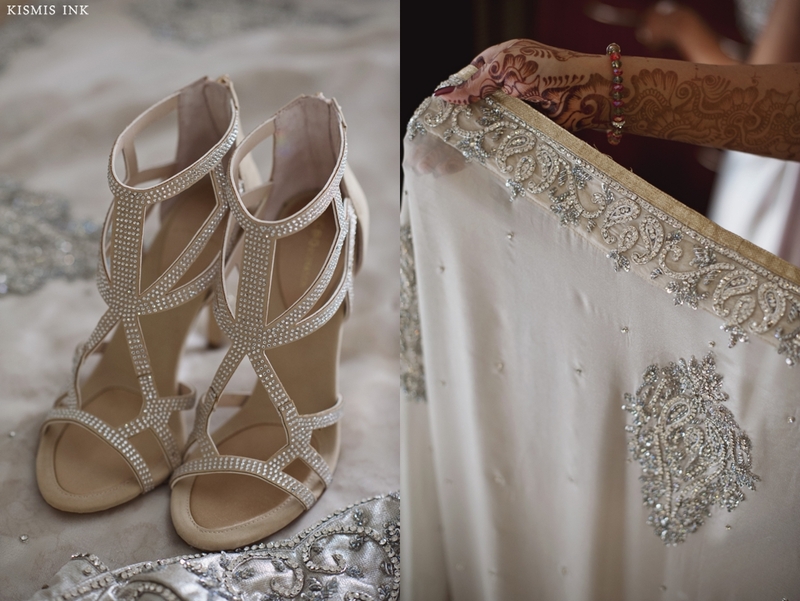 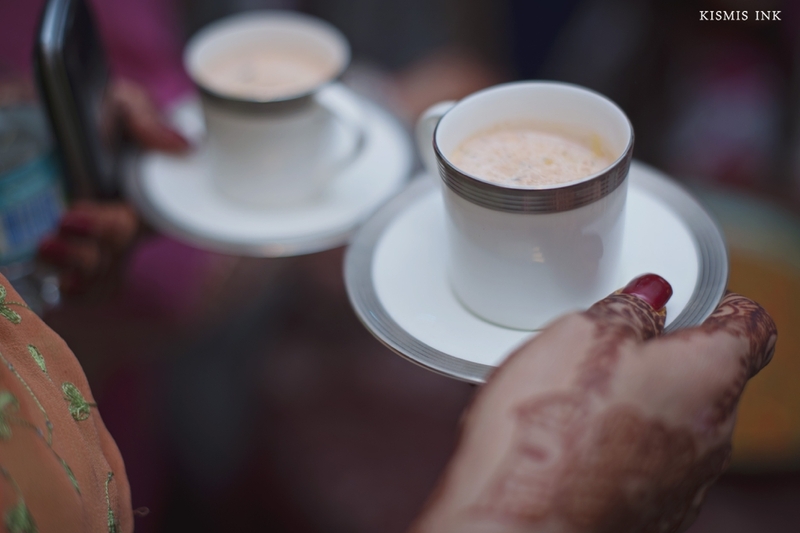 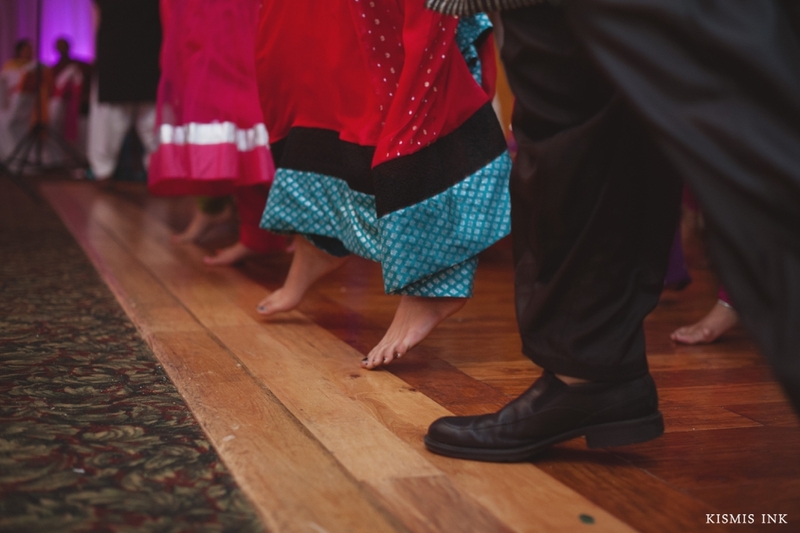 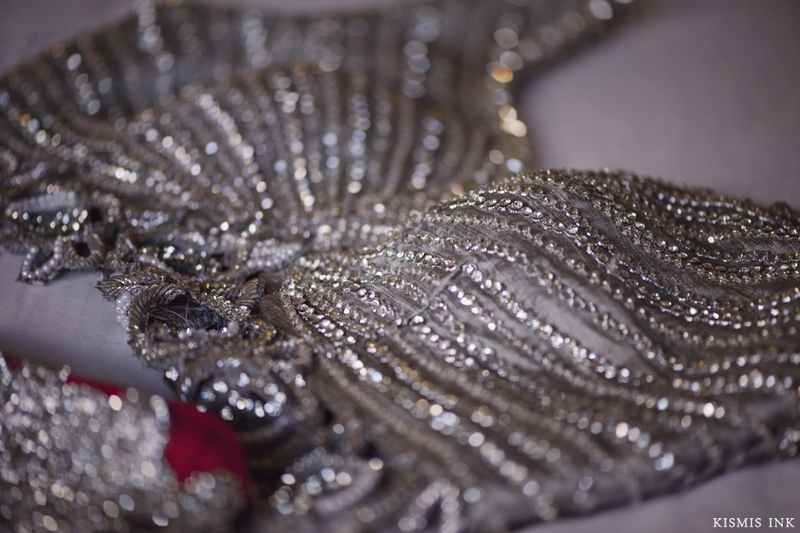 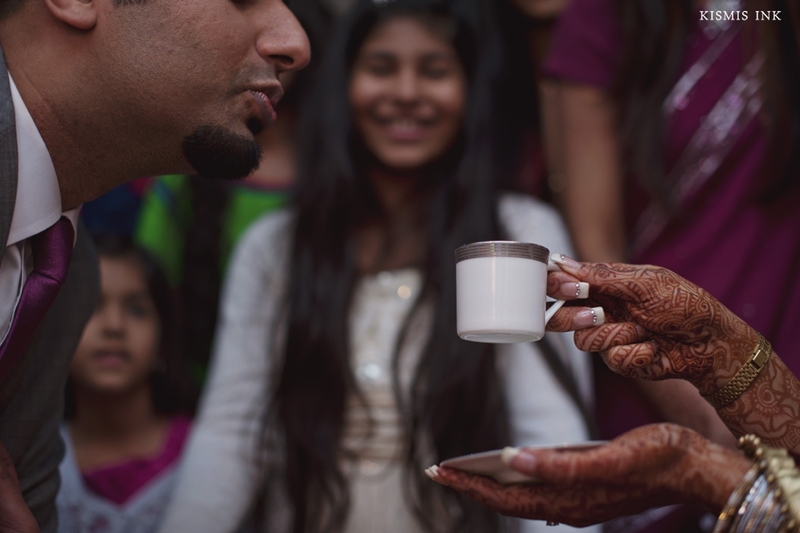 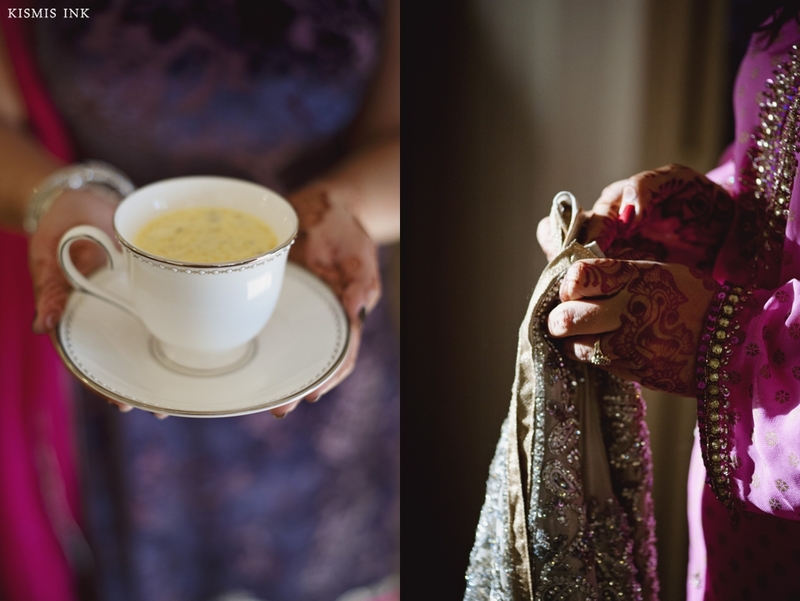 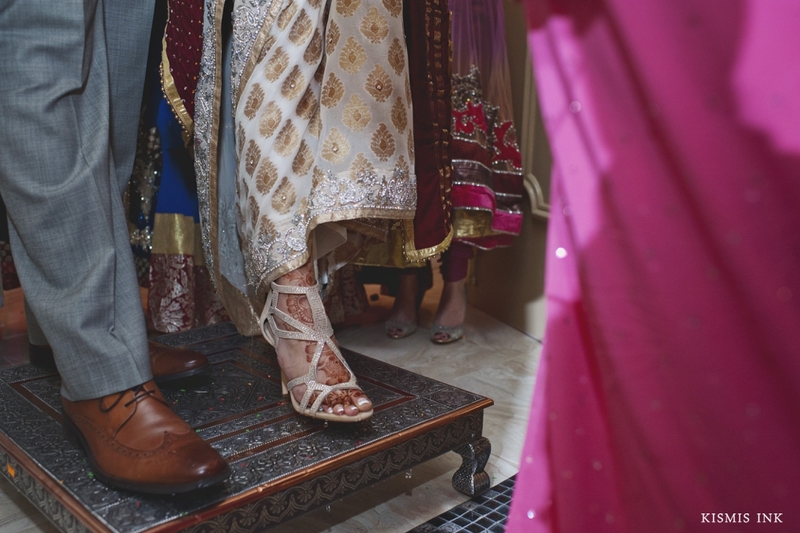 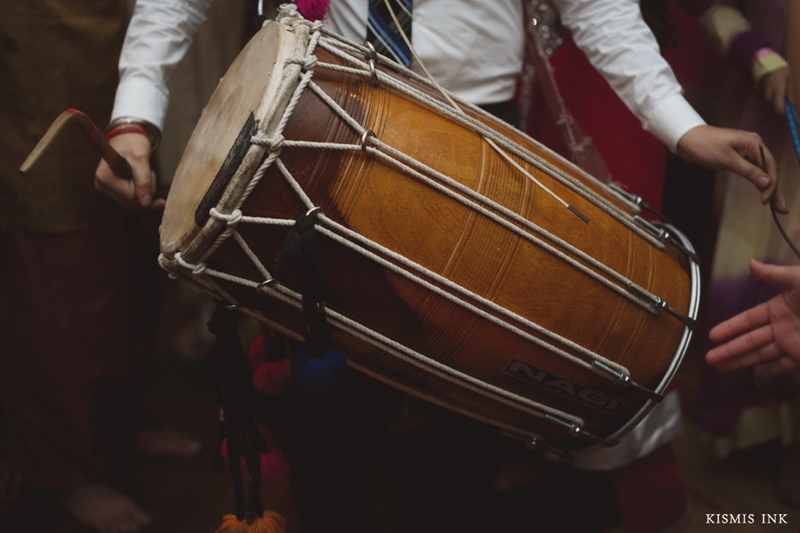 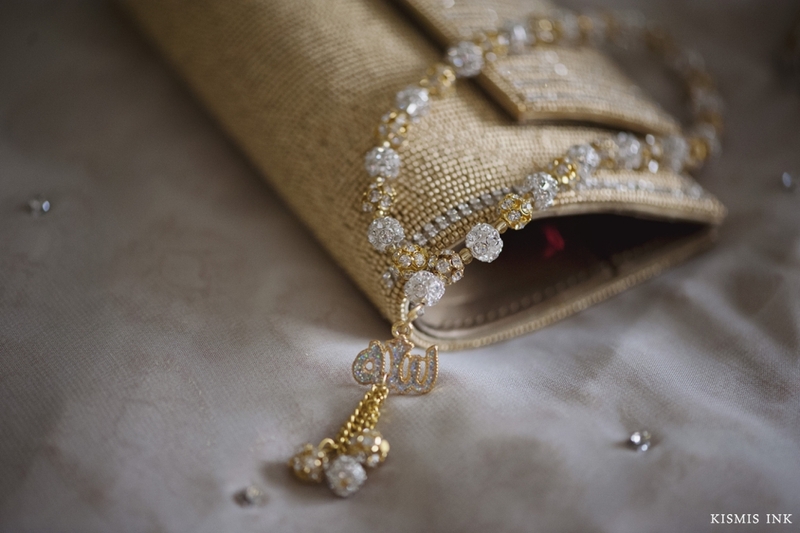 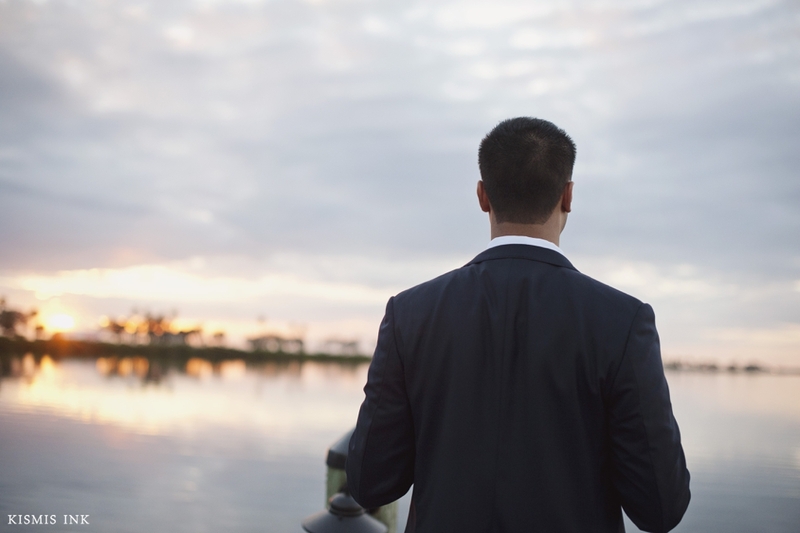 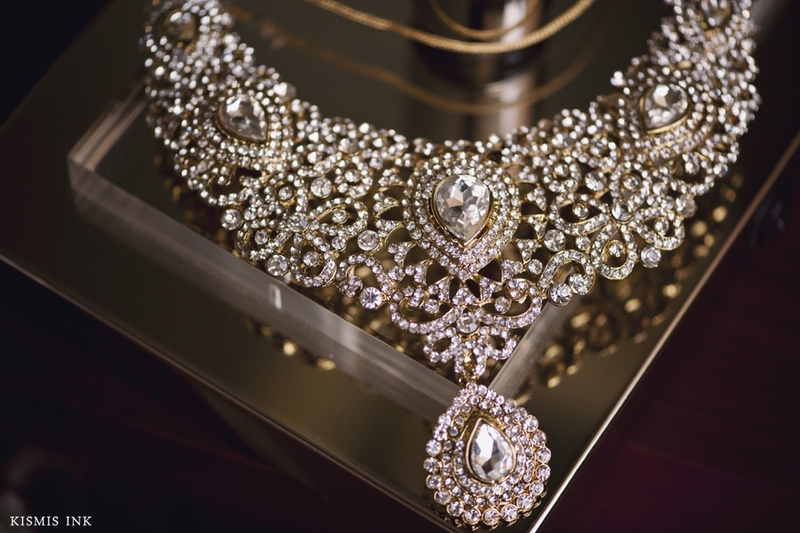 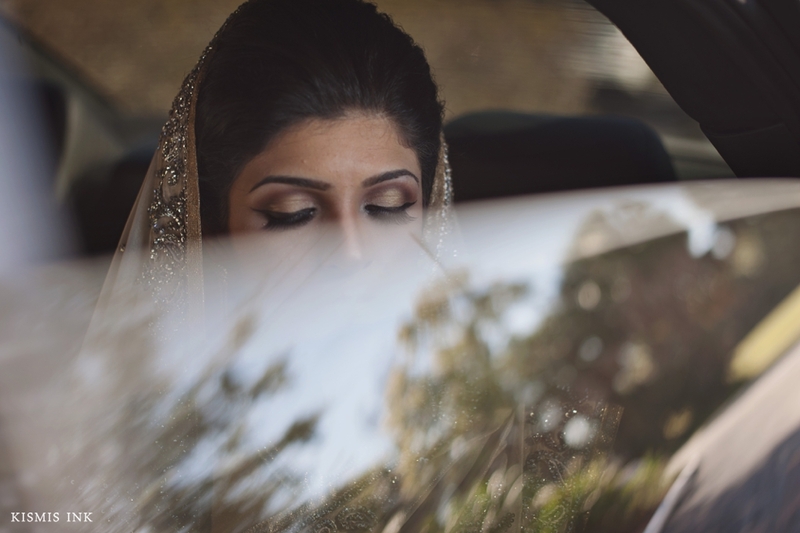 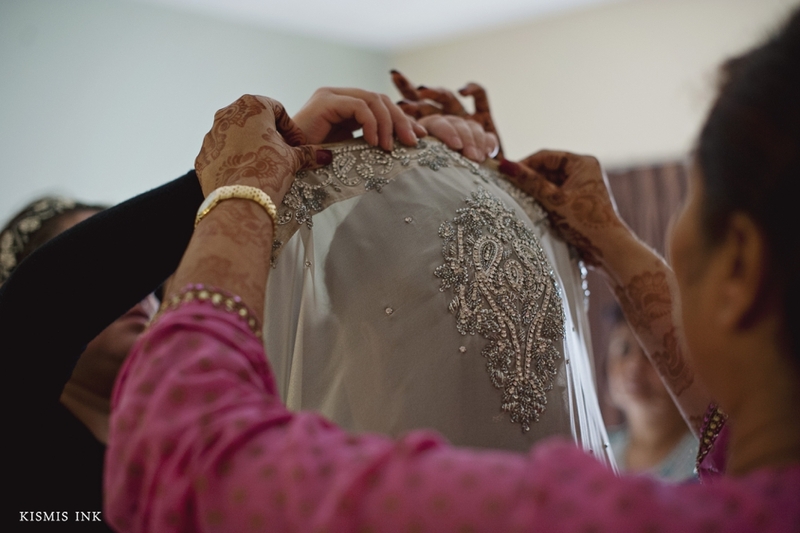 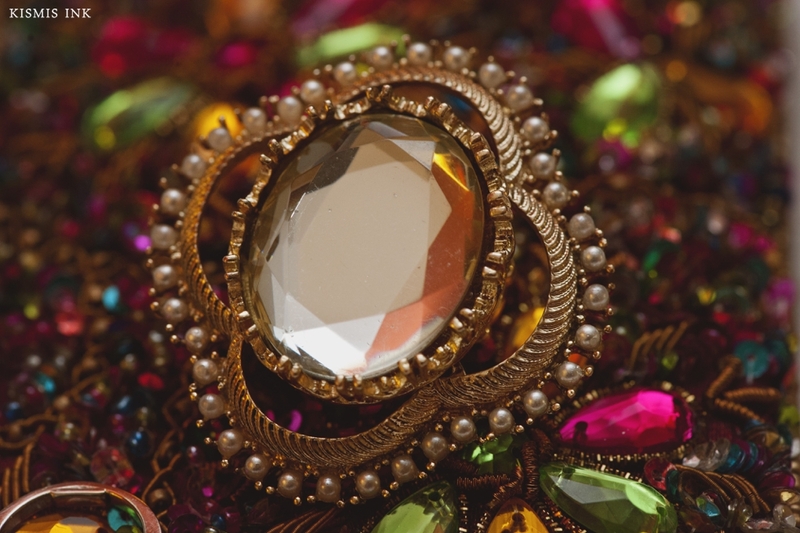 The day started with their emotional nikkah ceremony (which respectfully, could not be photographed or filmed) and followed with the different traditions and events leading up to their breathtaking reception. 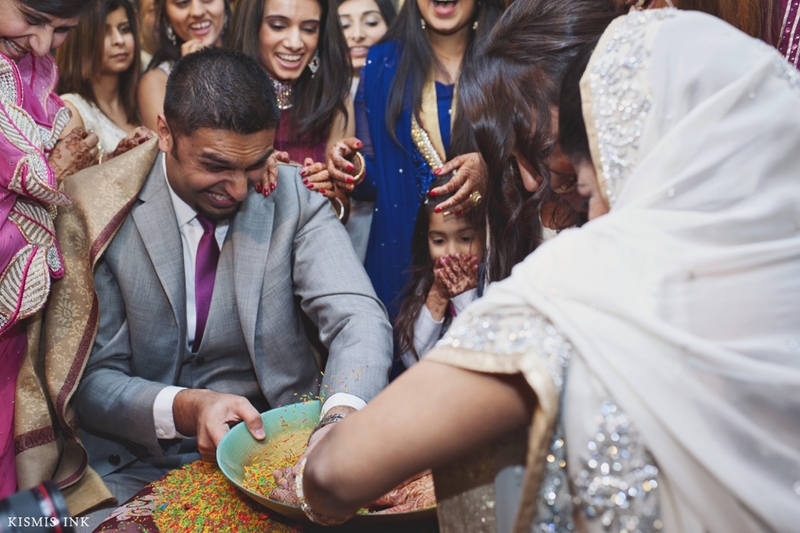 Watching Jasmin and Hameed hastily try to find her ring in a plate of rice during the koba kobi was one of the highlights of the day. 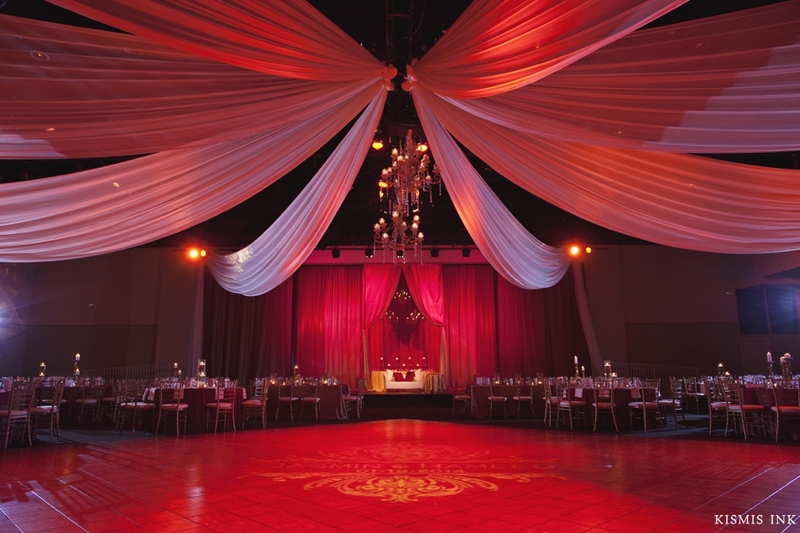 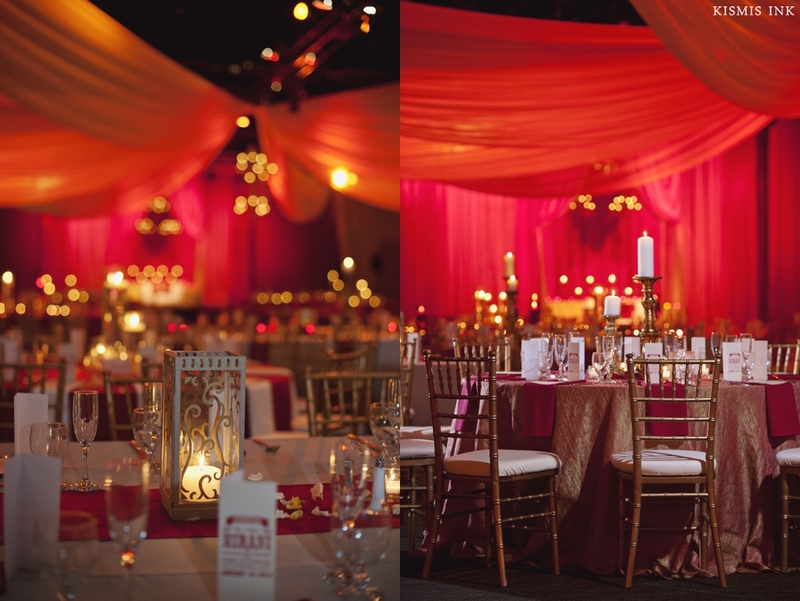 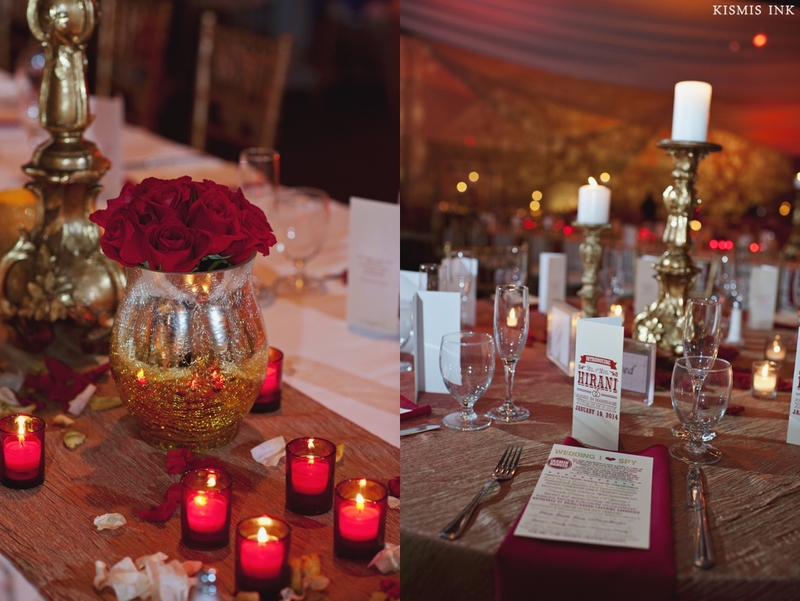 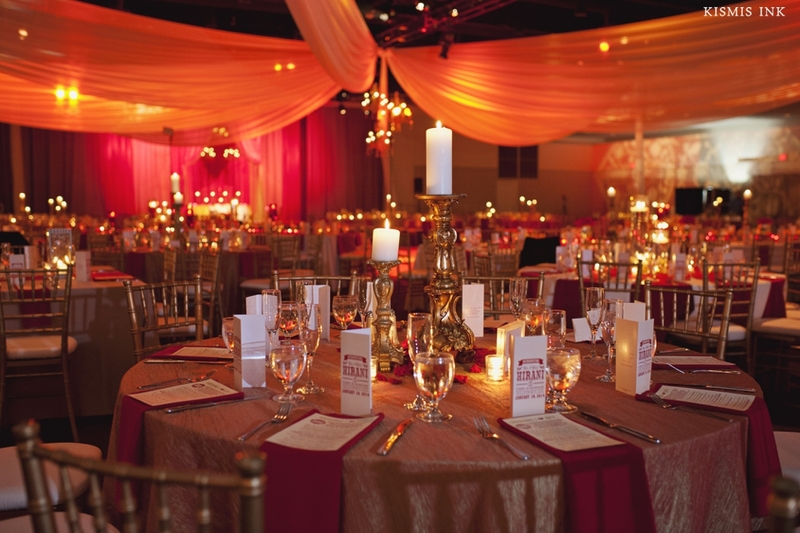 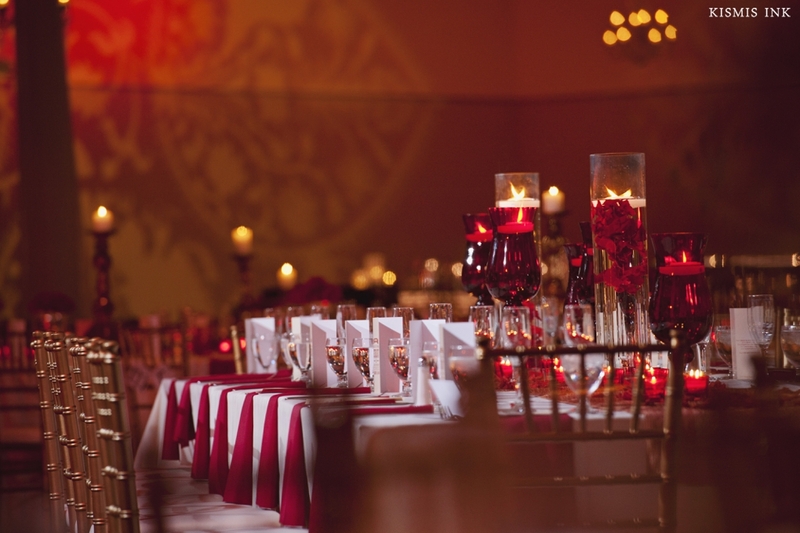 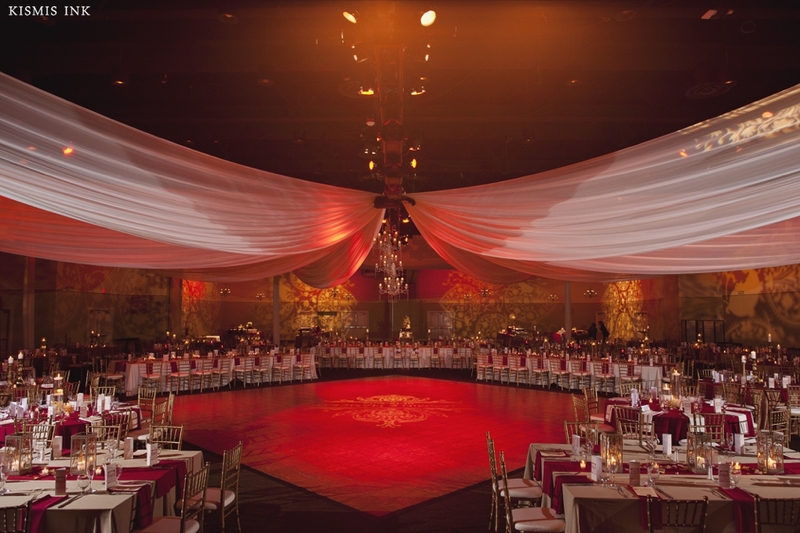 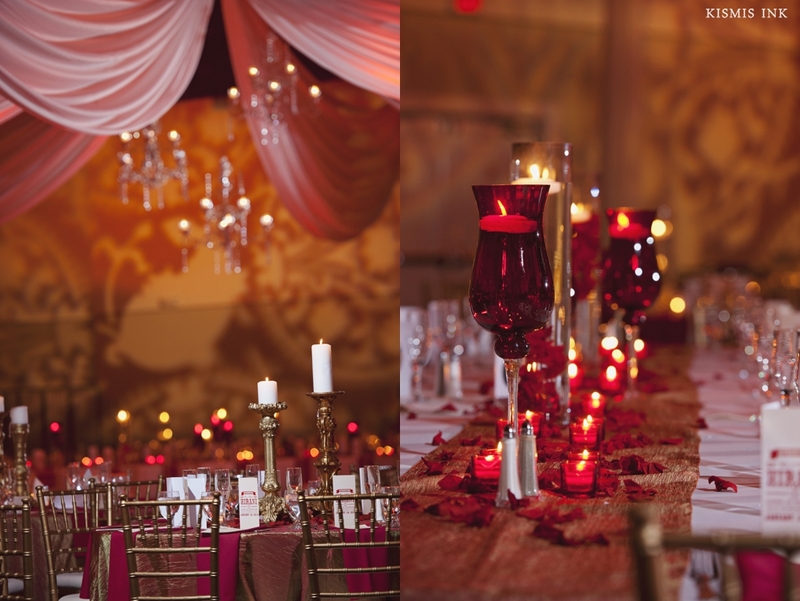 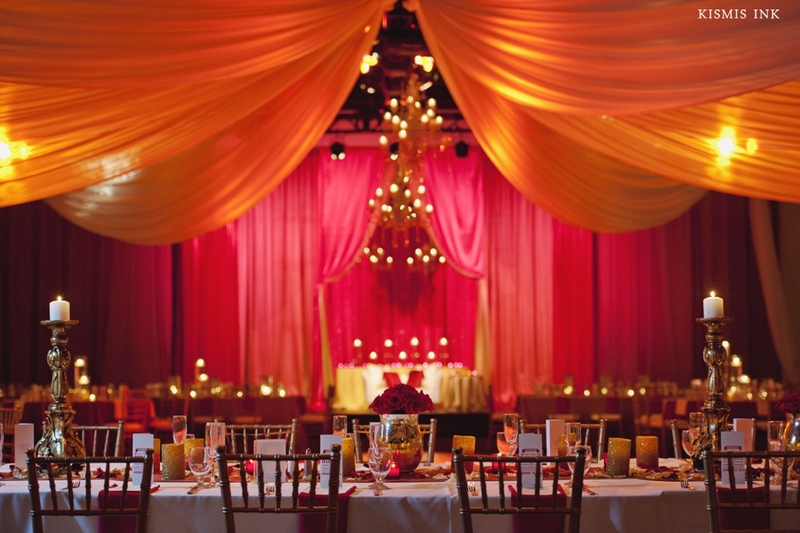 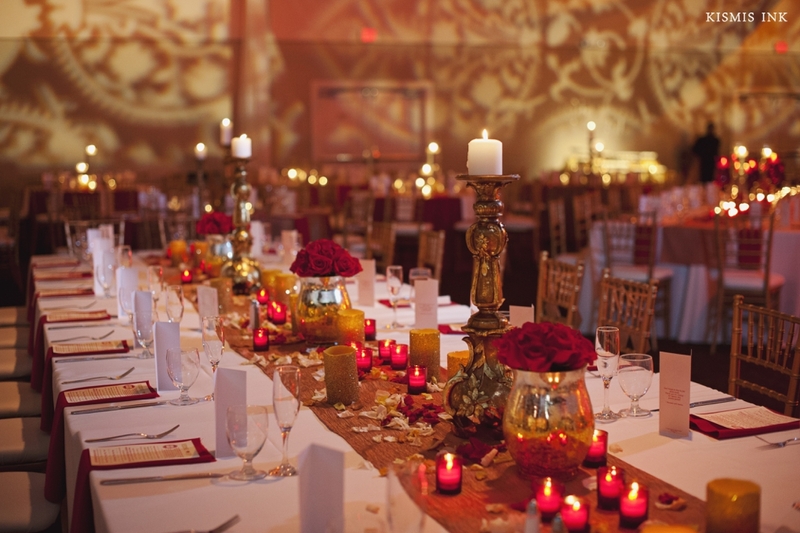 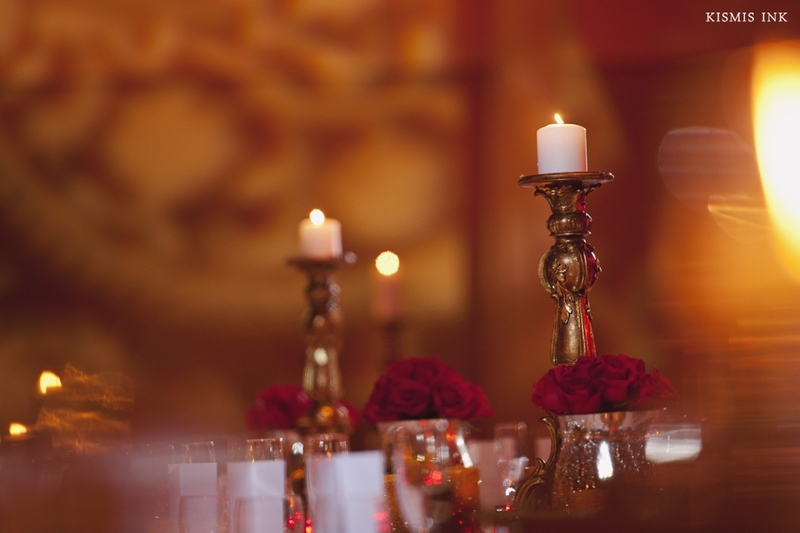 Later that evening, their stunning reception- filled with red and orange shimmer linens and plenty of romantic candlelight set the stage for an unforgettable evening. 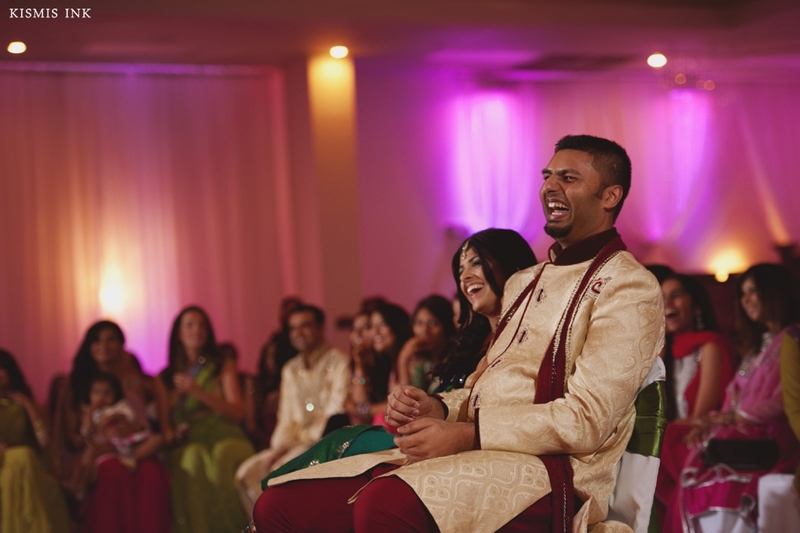 All the love and laughter came together to produce one fun, emotional and energetic end to a perfect weekend. 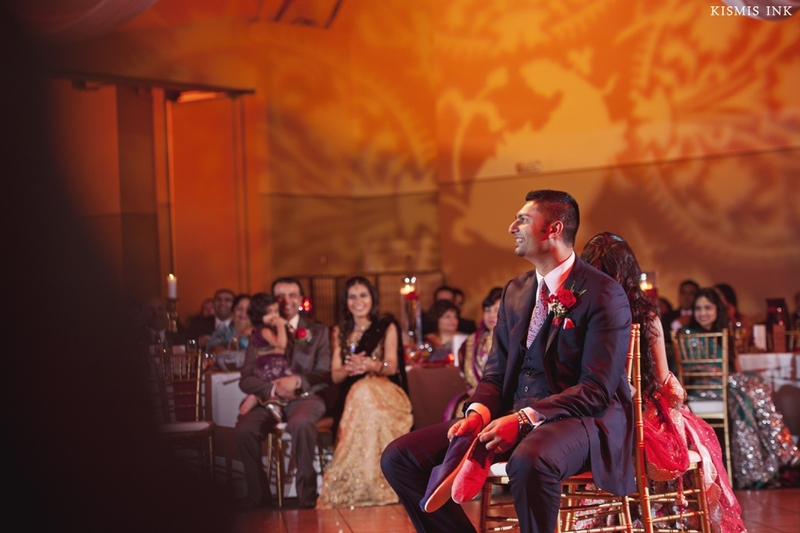 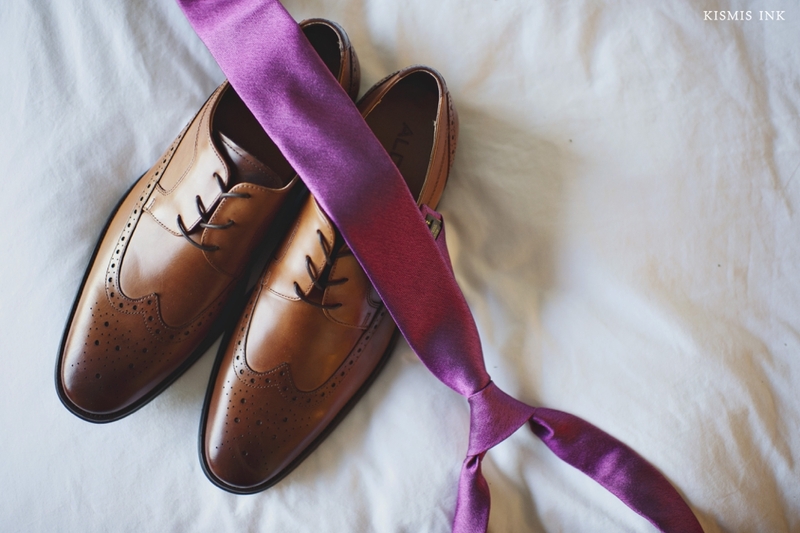 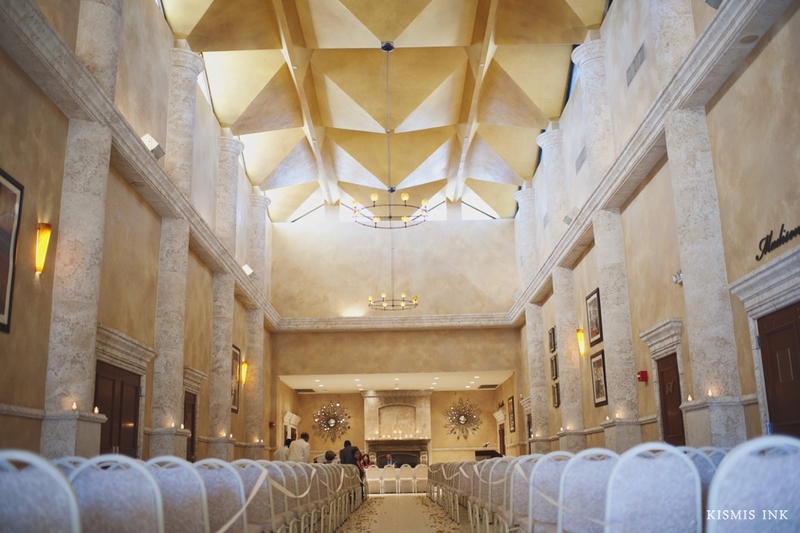 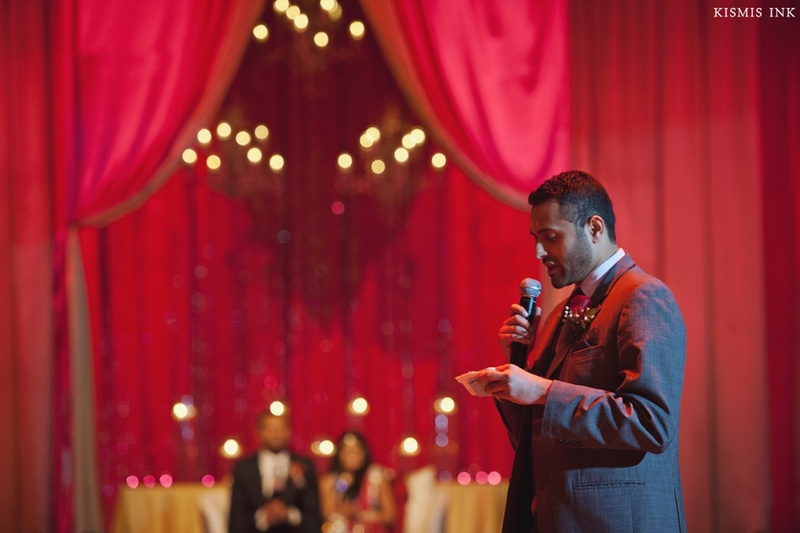 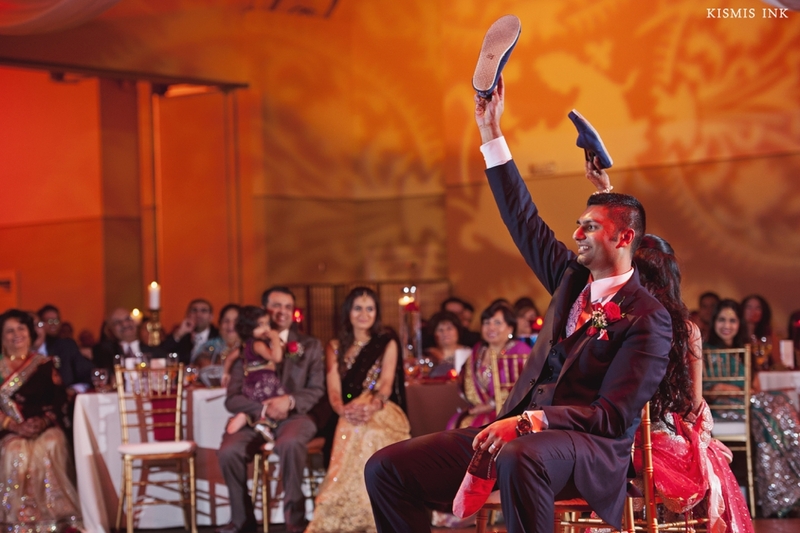 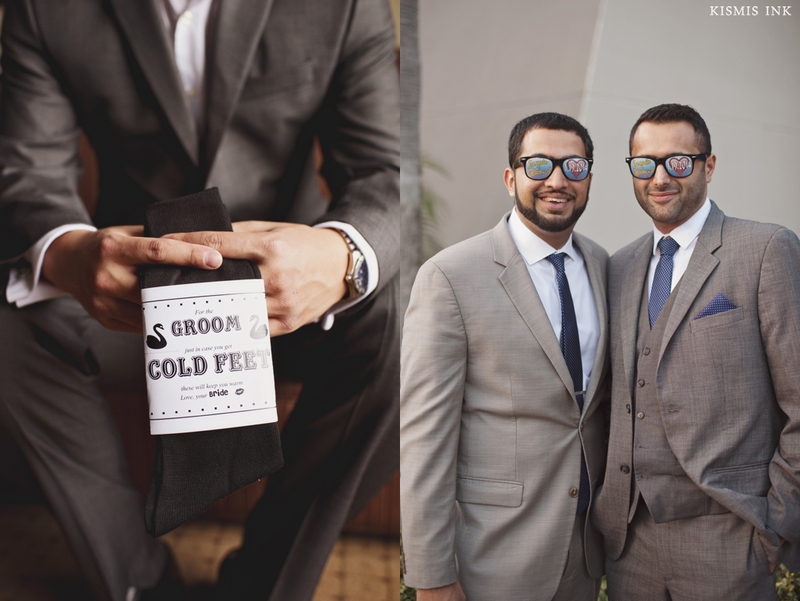 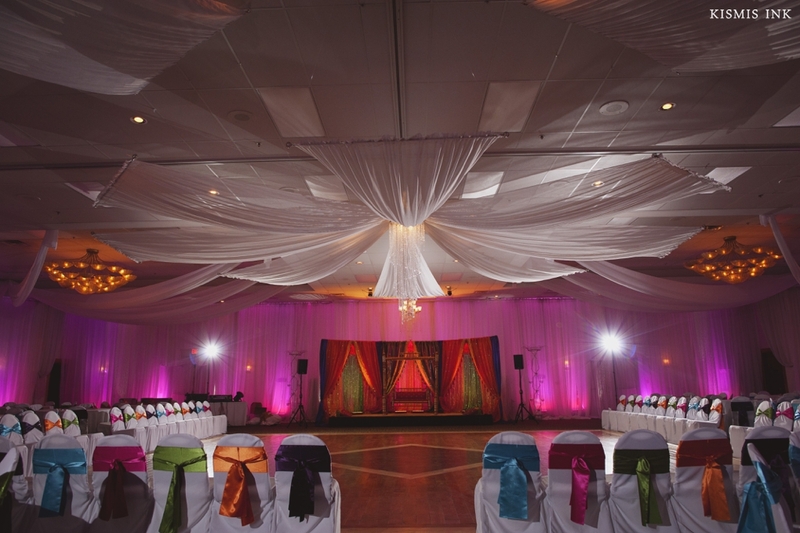 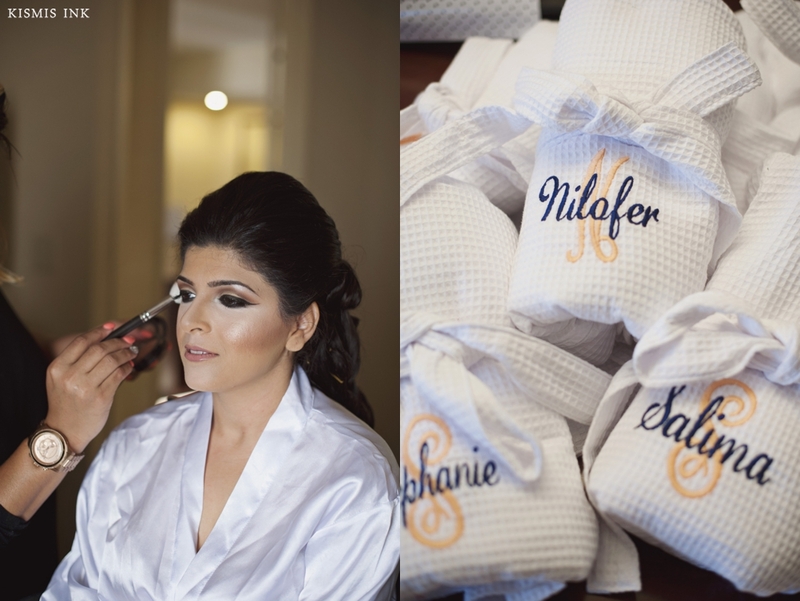 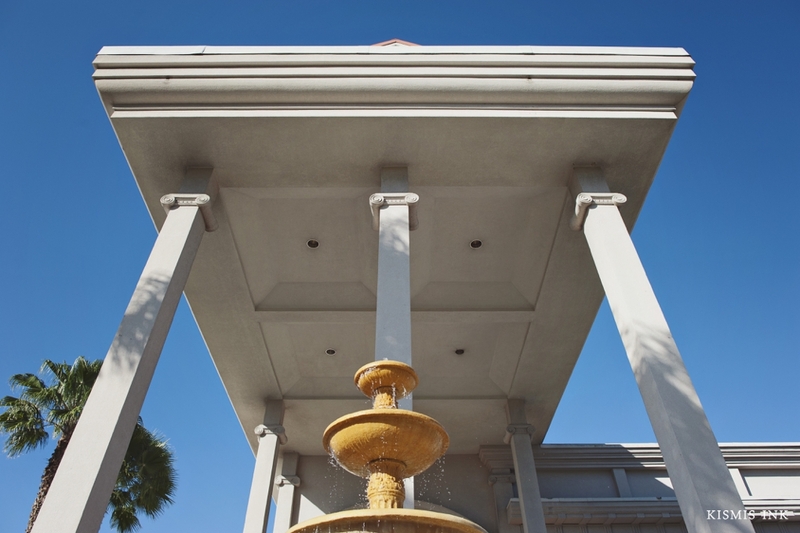 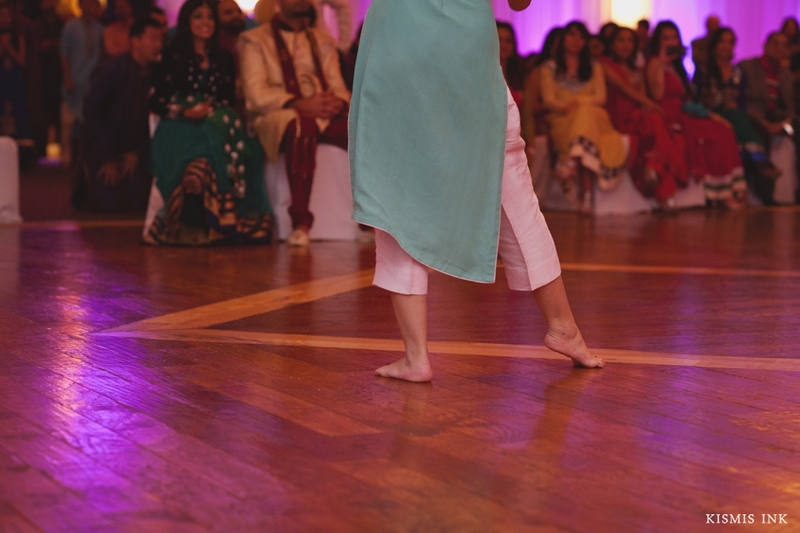 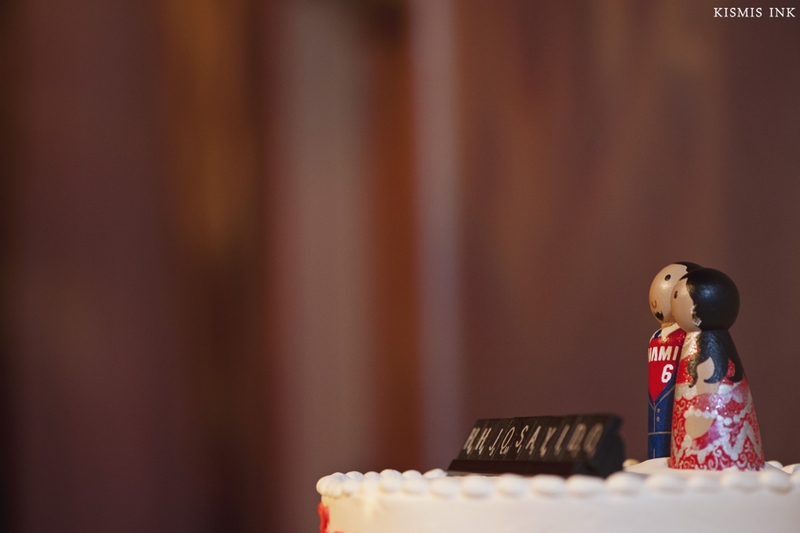 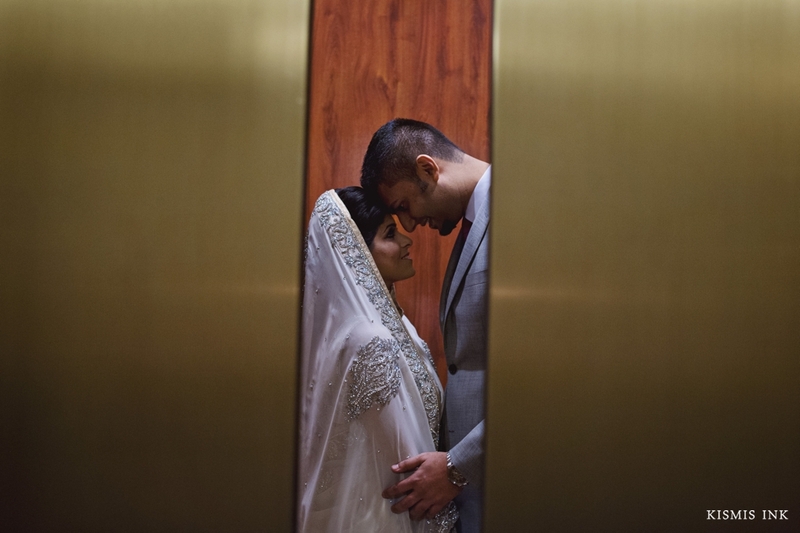 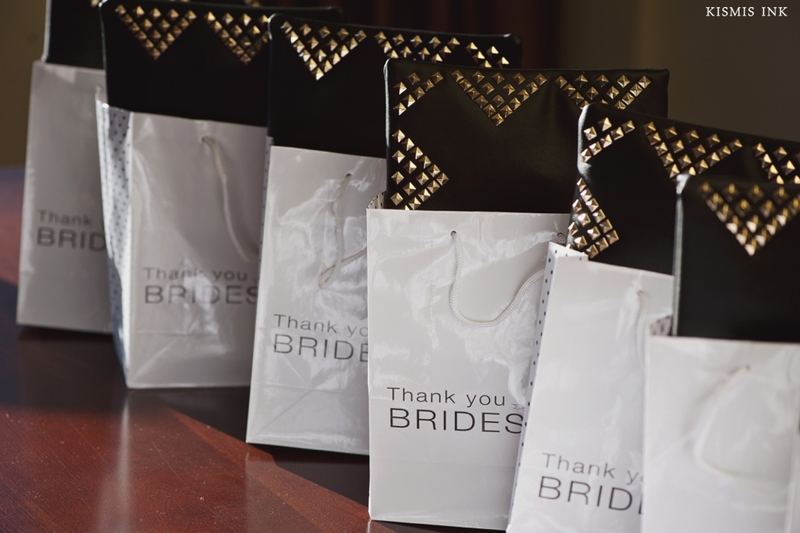 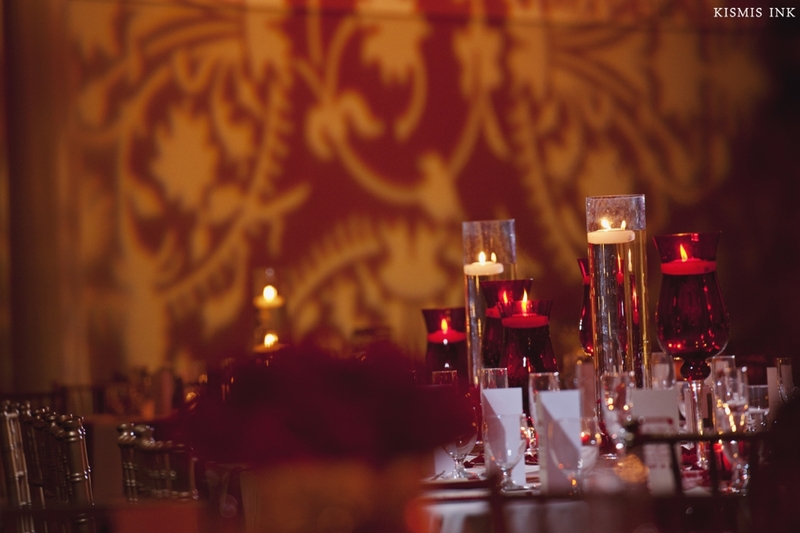 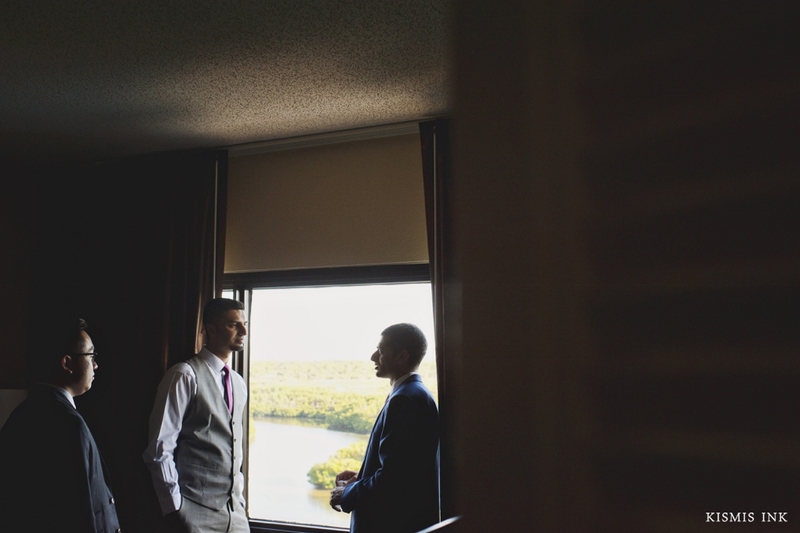 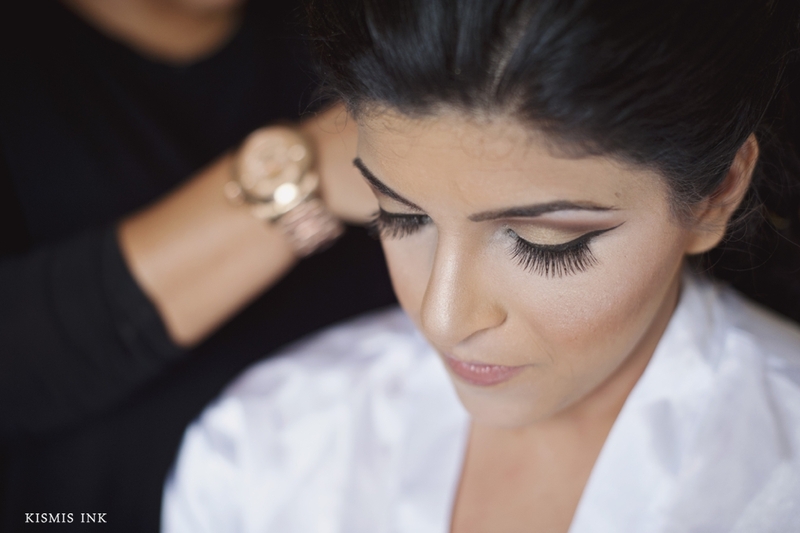 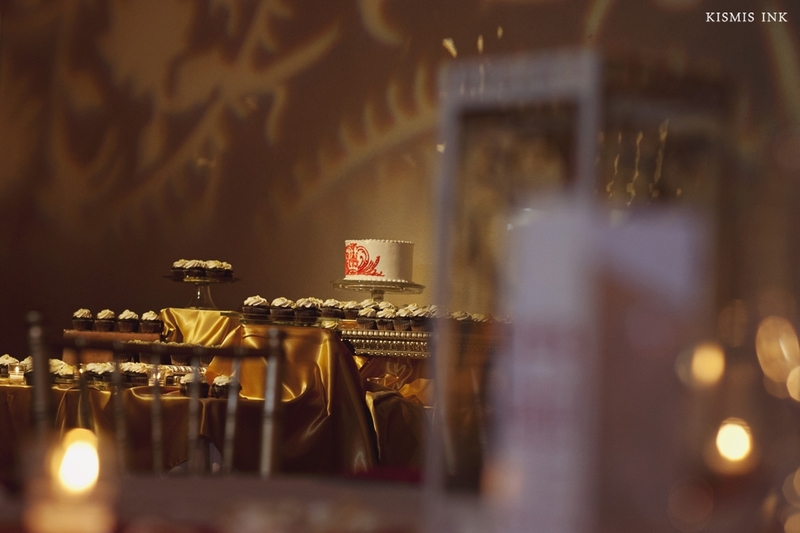 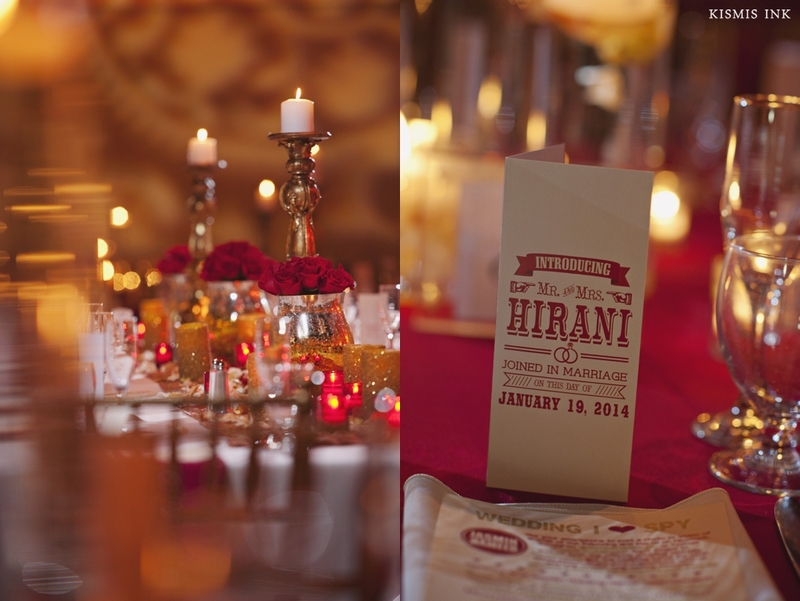 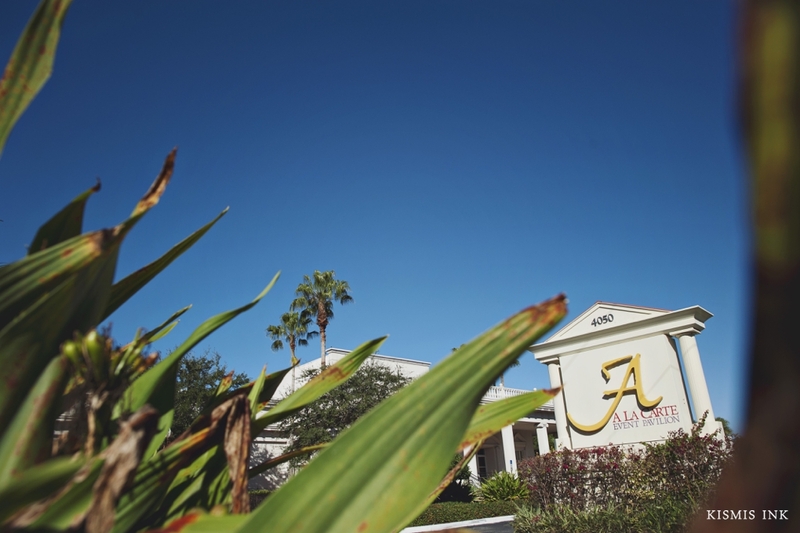 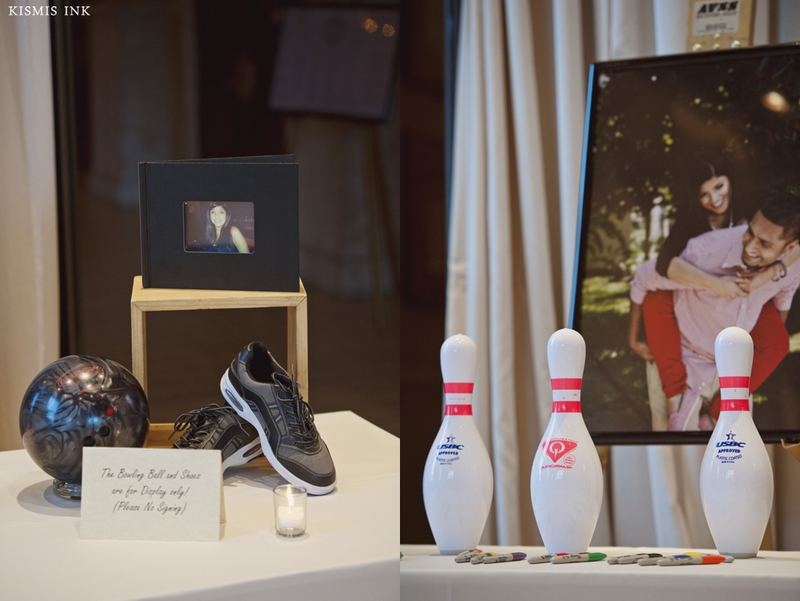 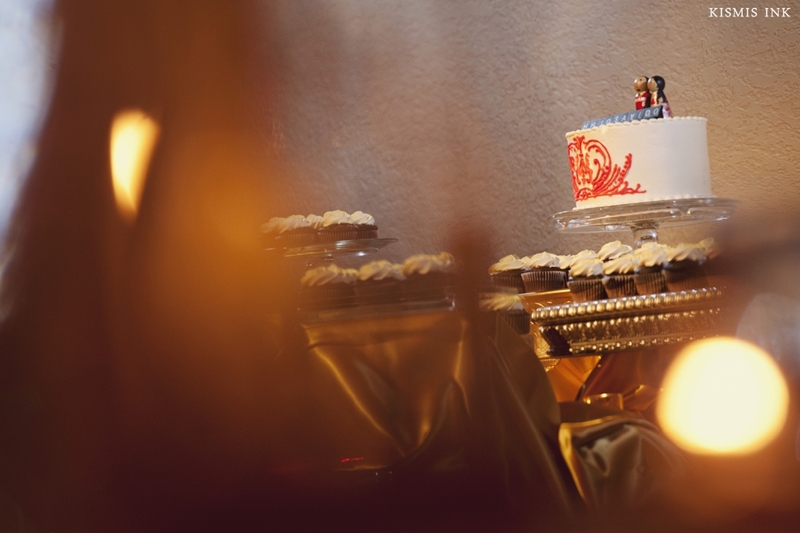 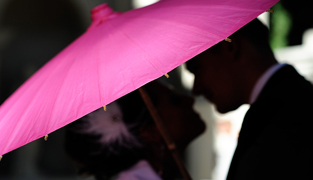 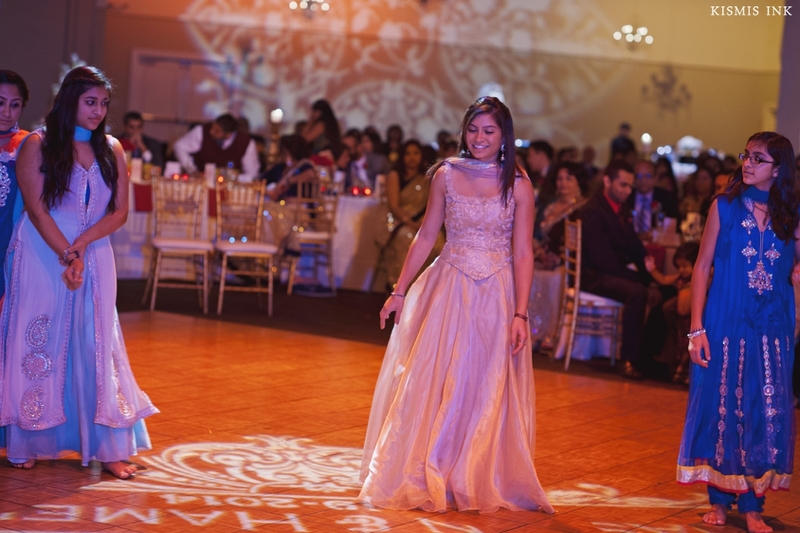 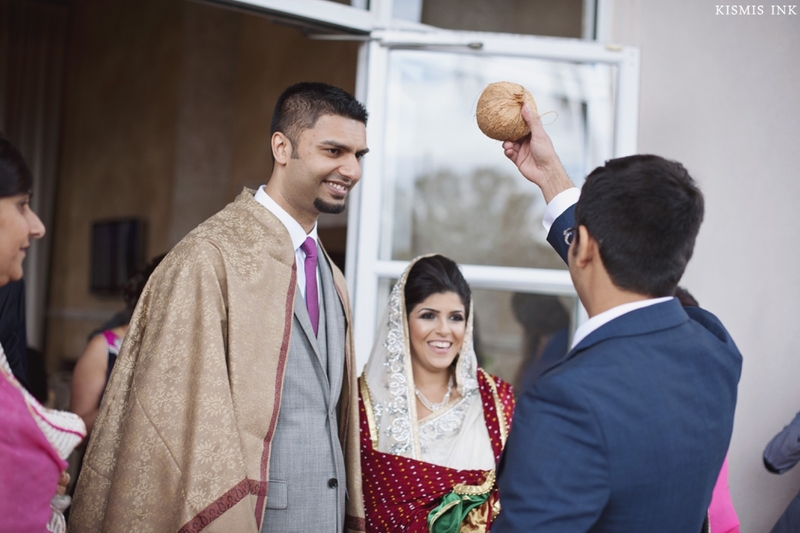 Jasmin and Hameed, we can’t thank you enough for the privelege of documenting your wedding celebration! 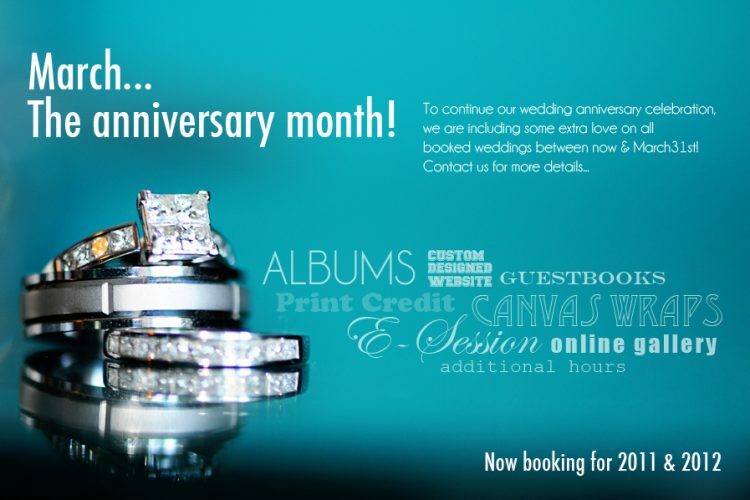 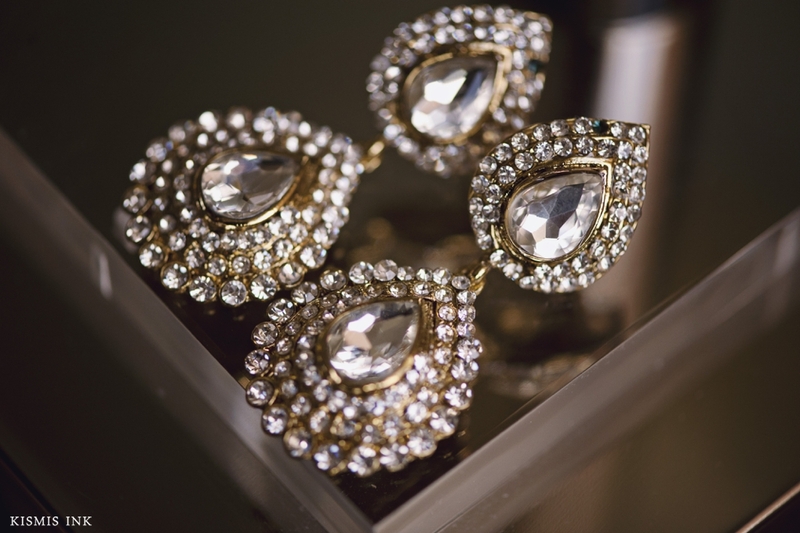 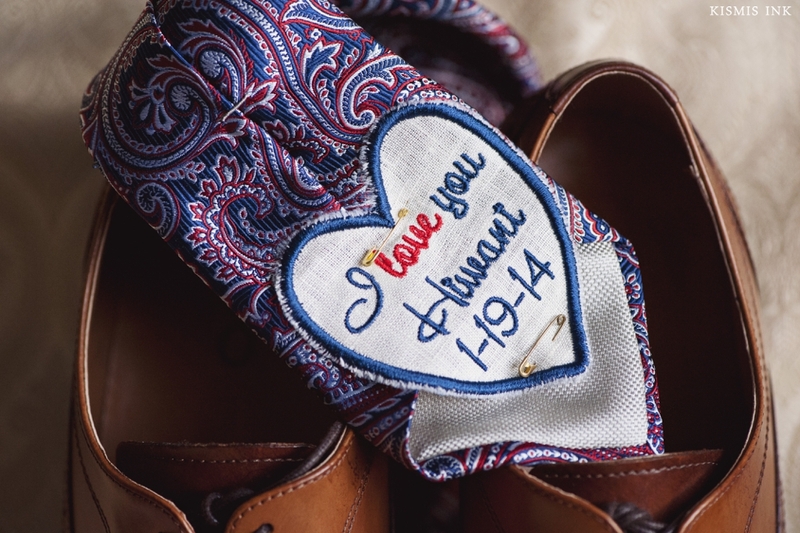 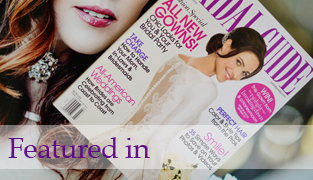 March, the anniversary month | Extra Wedding Love!